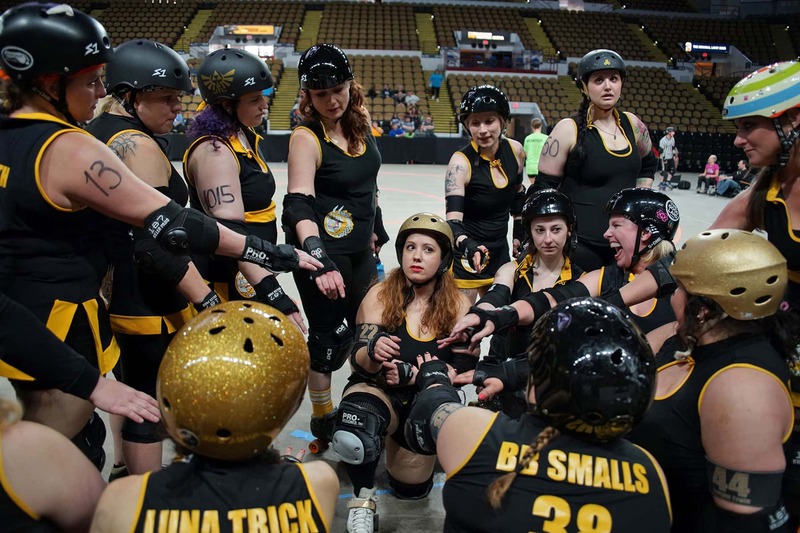 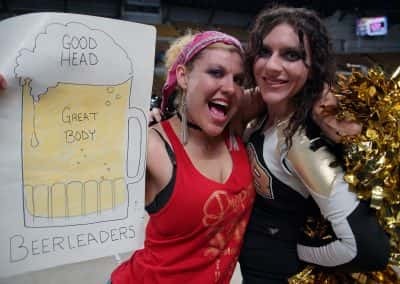 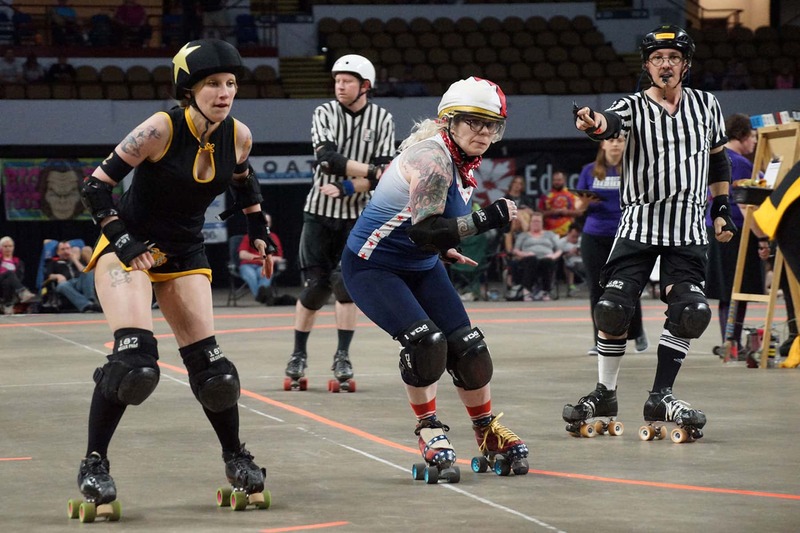 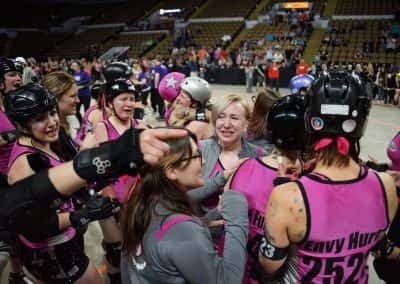 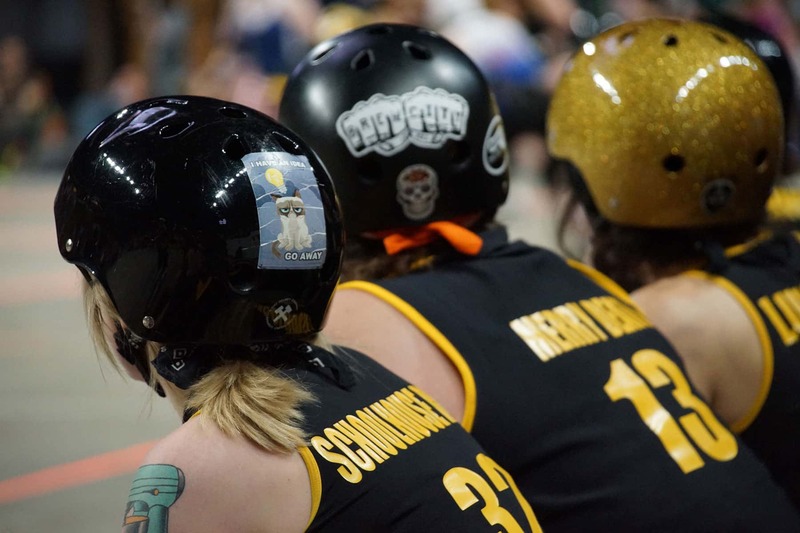 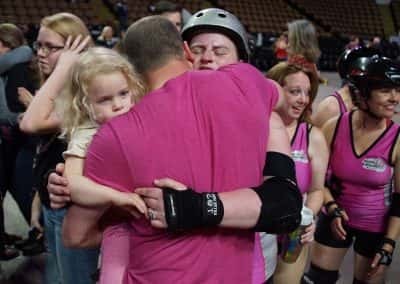 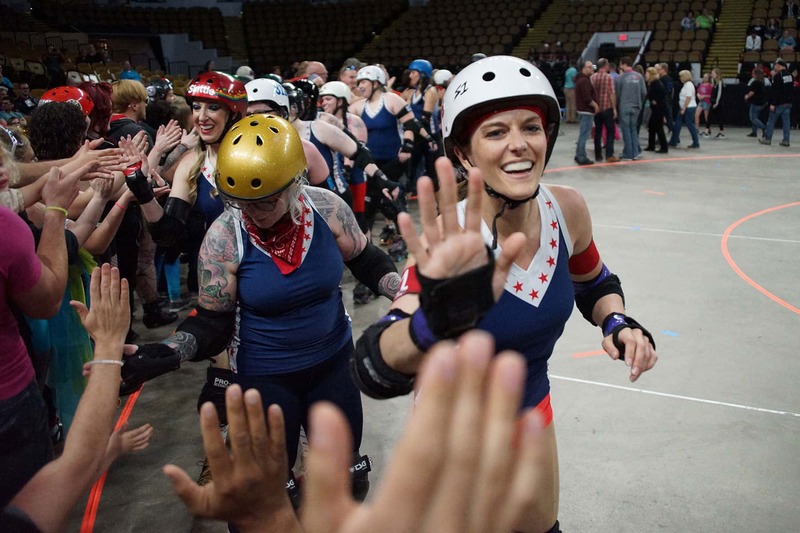 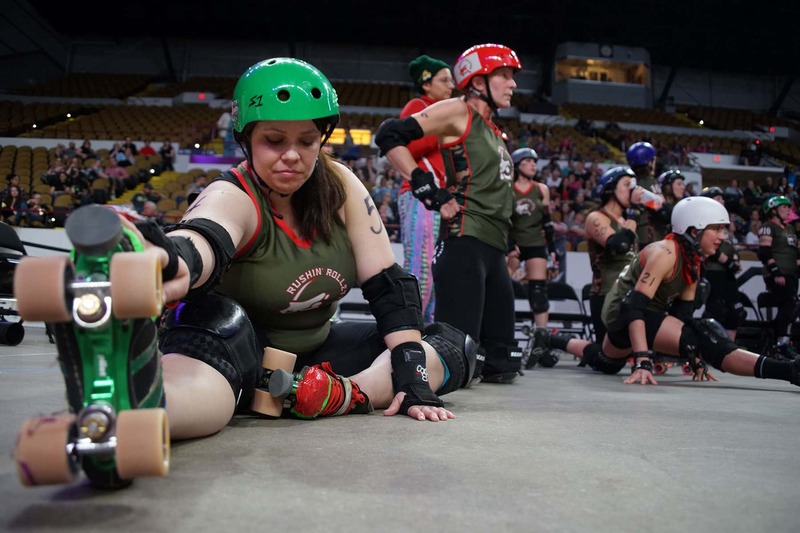 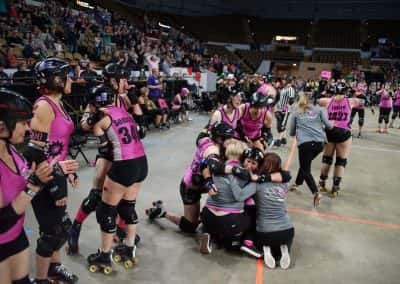 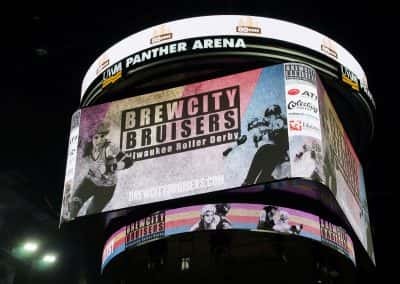 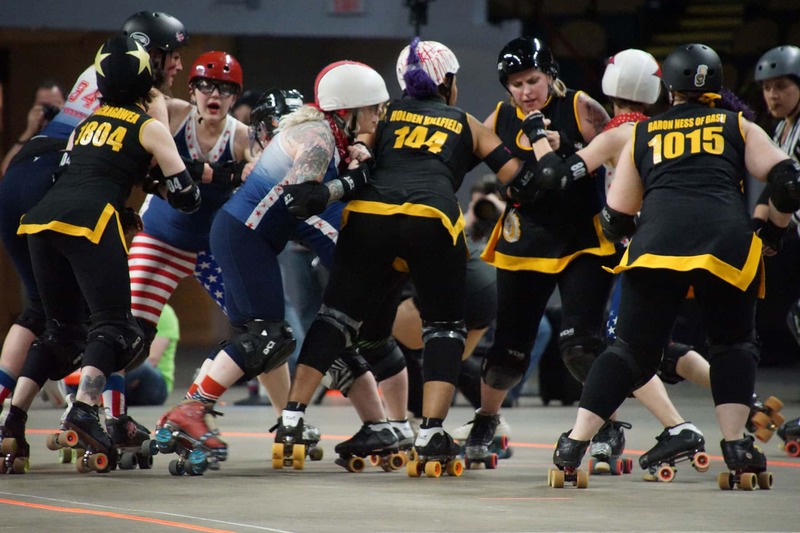 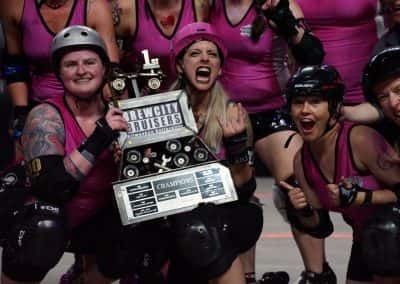 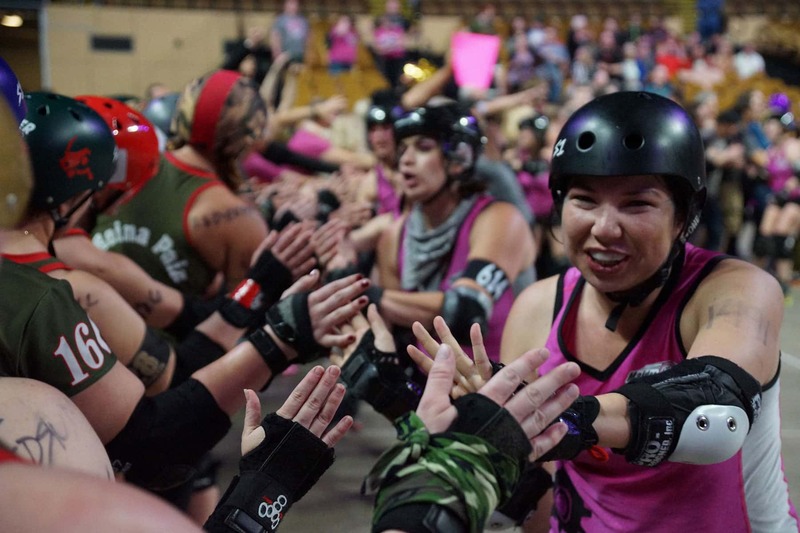 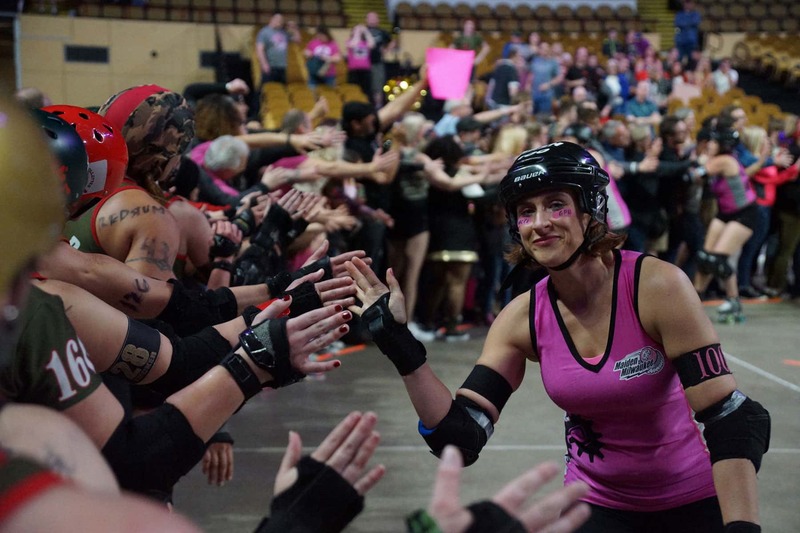 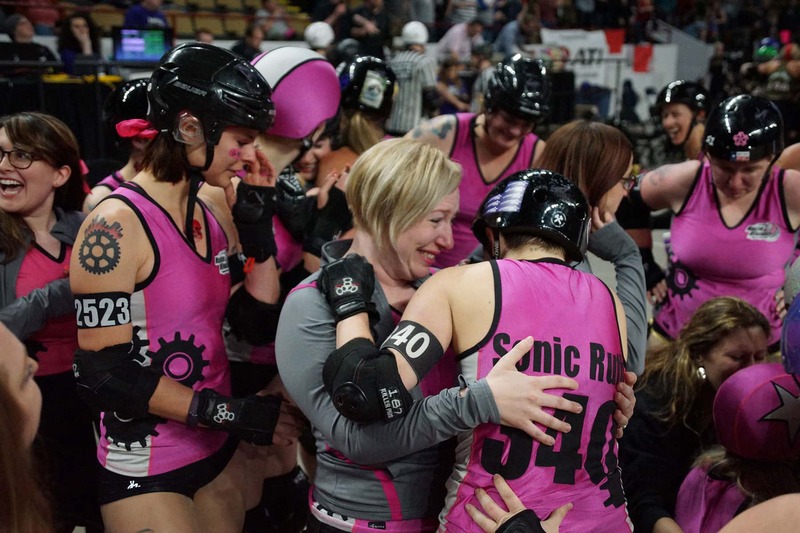 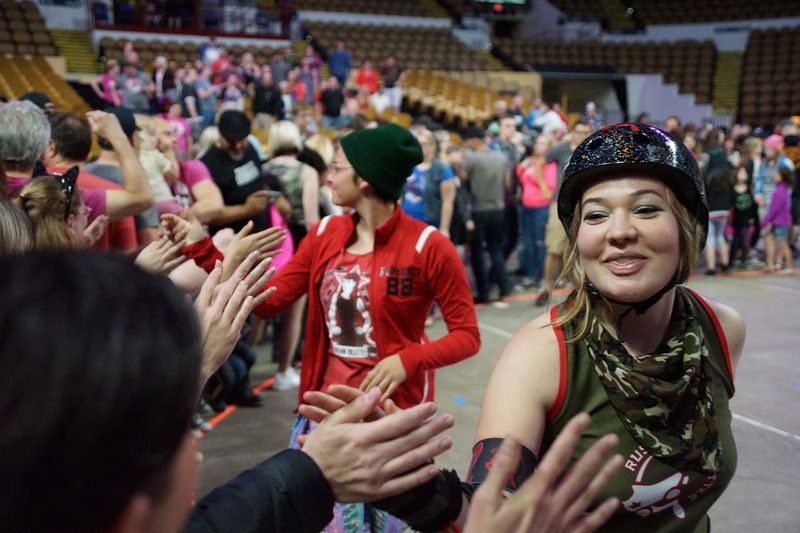 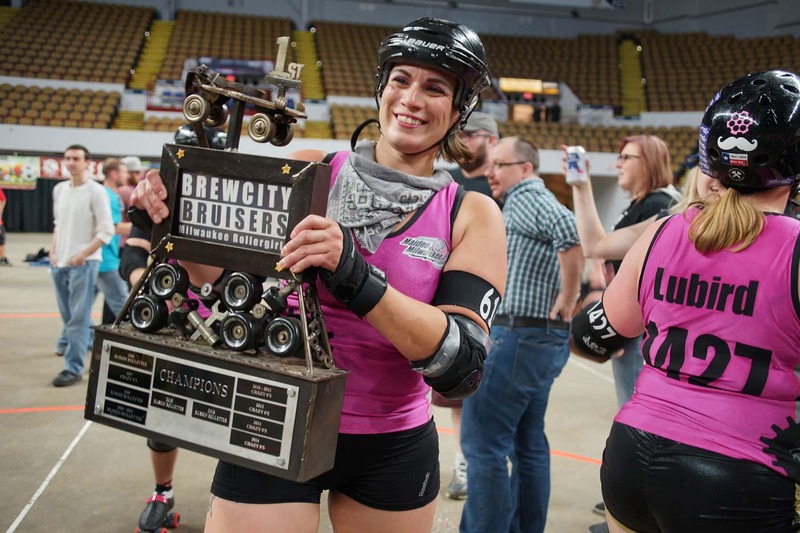 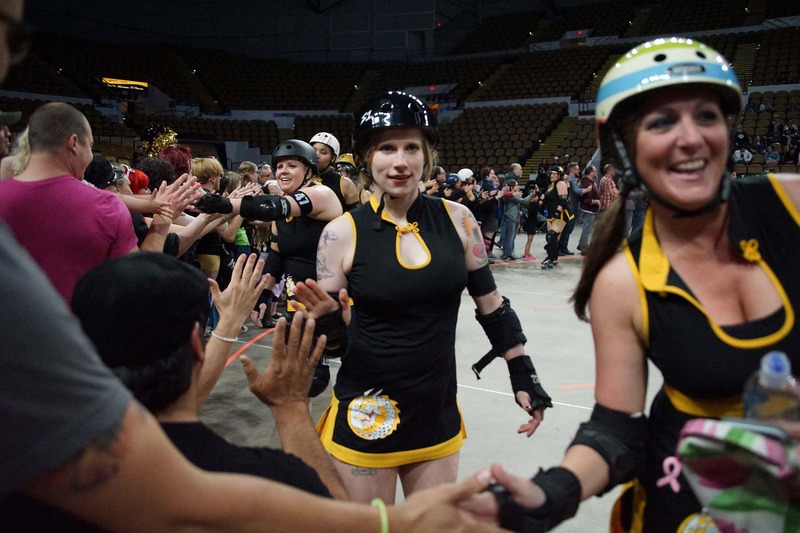 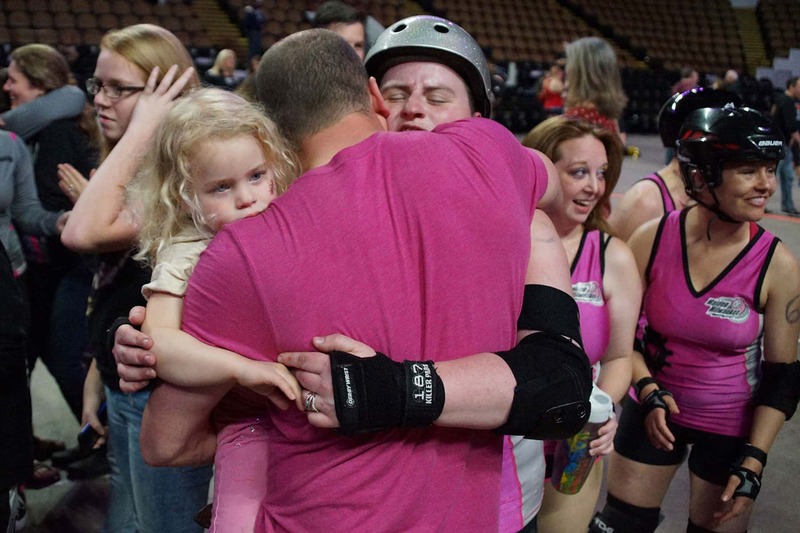 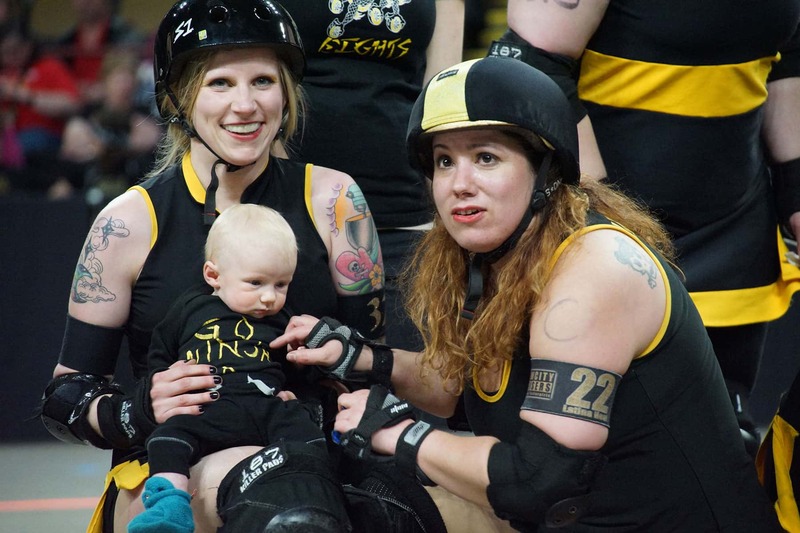 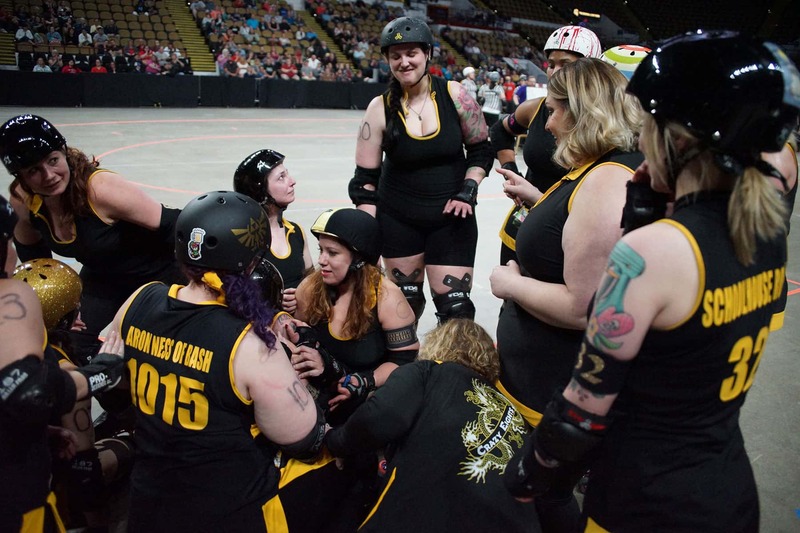 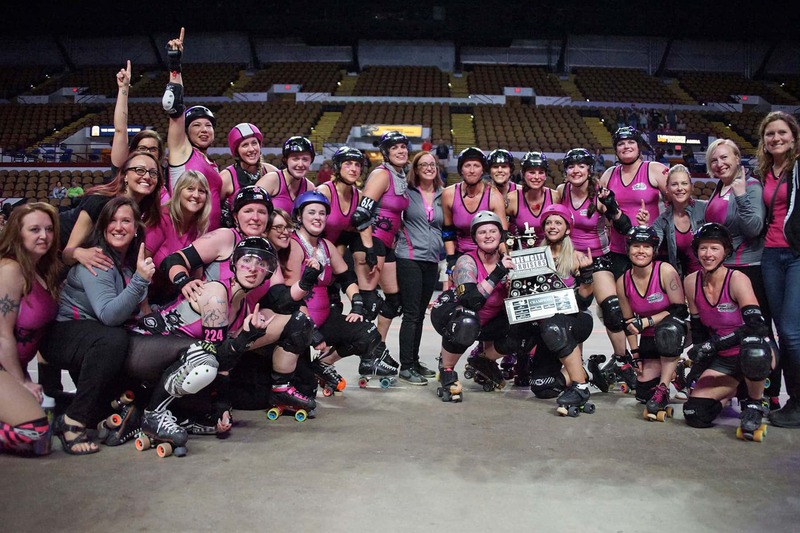 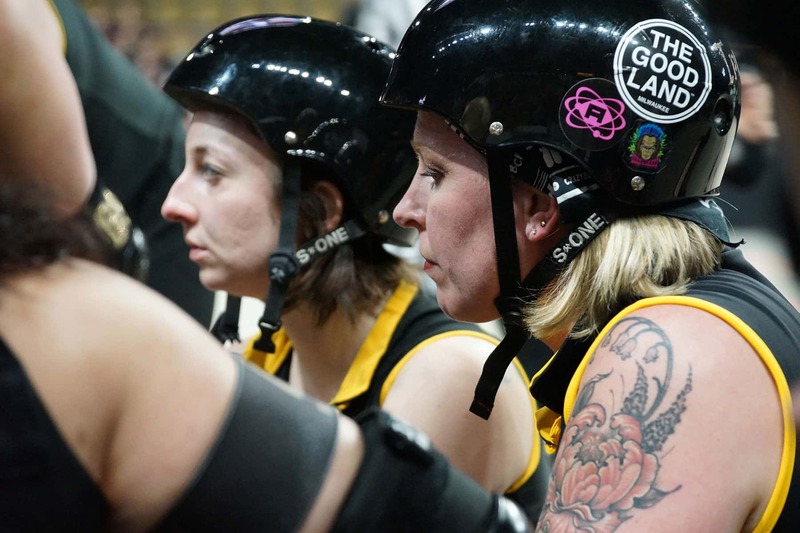 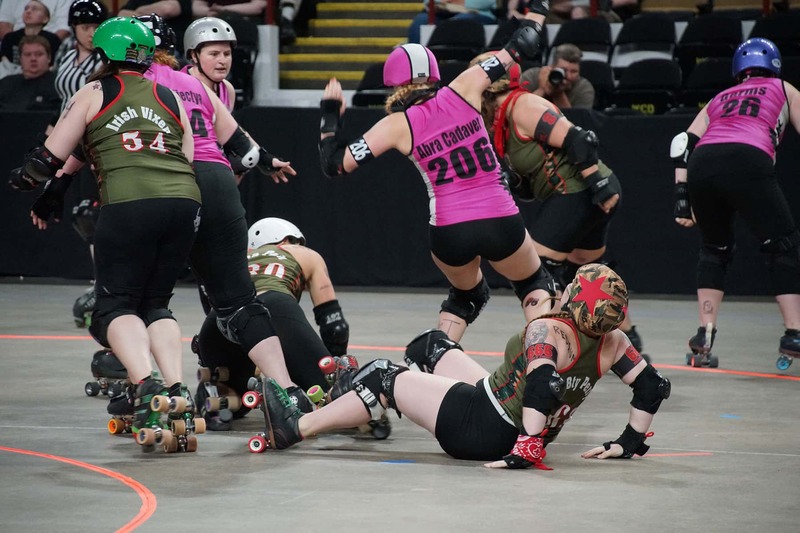 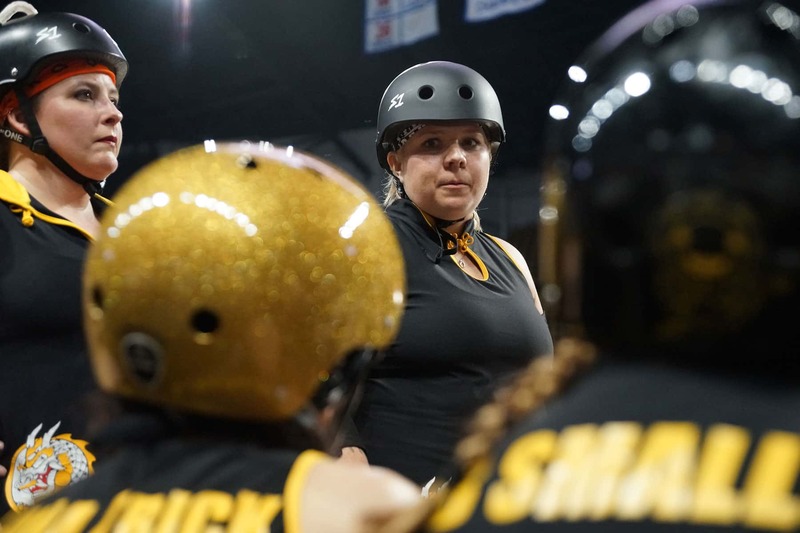 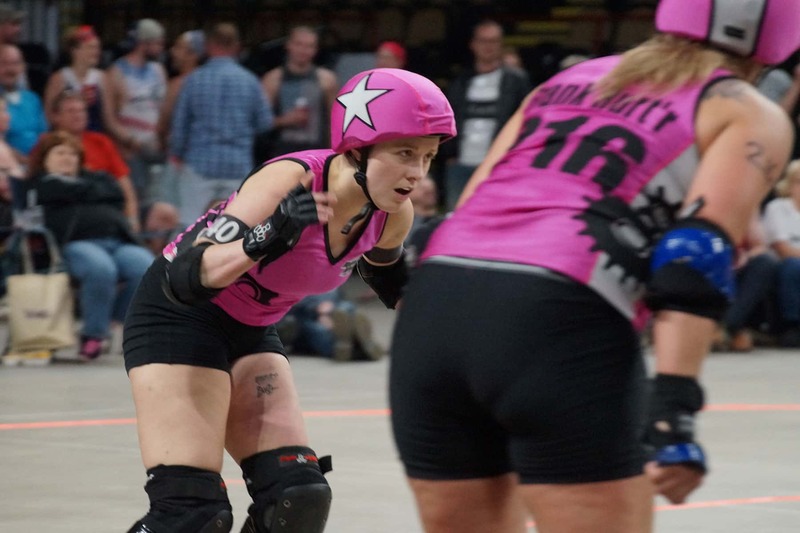 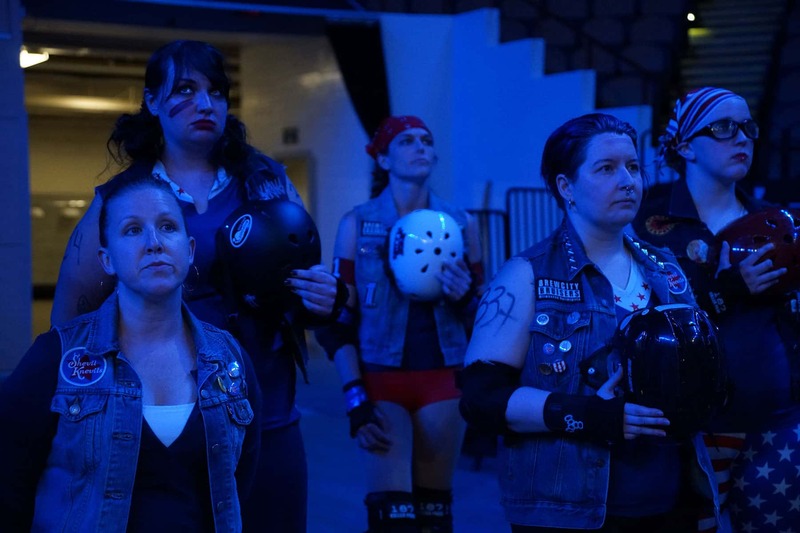 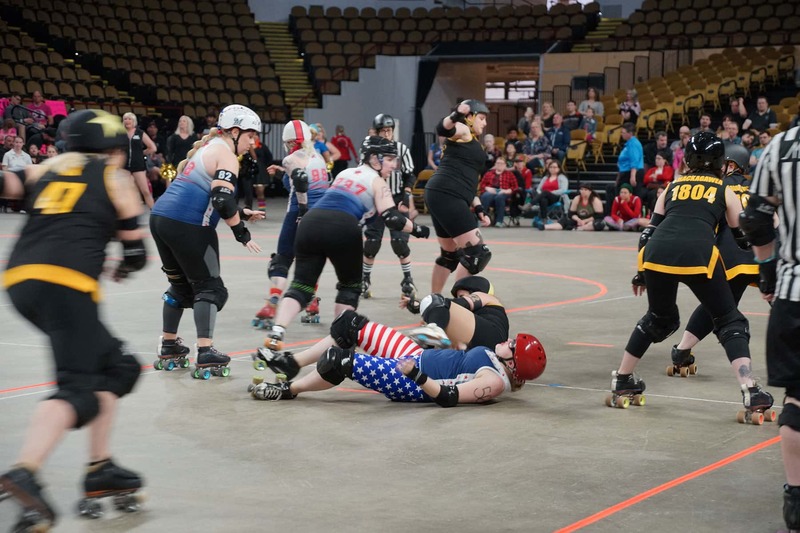 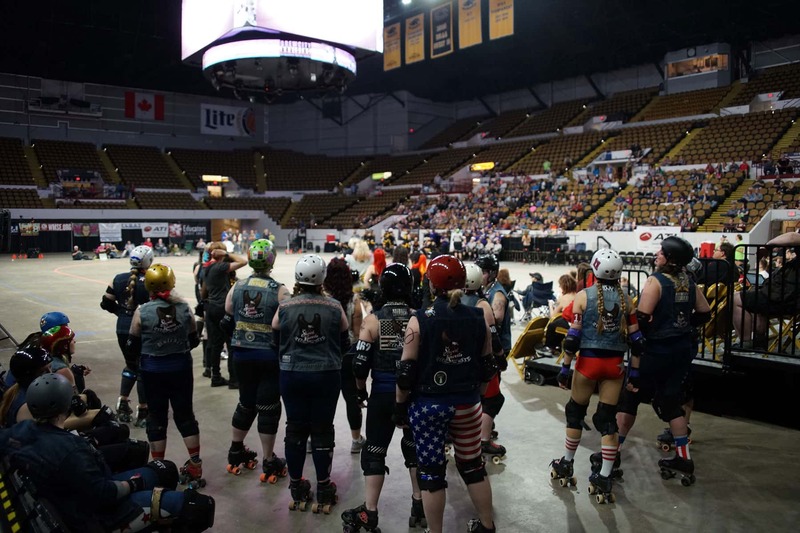 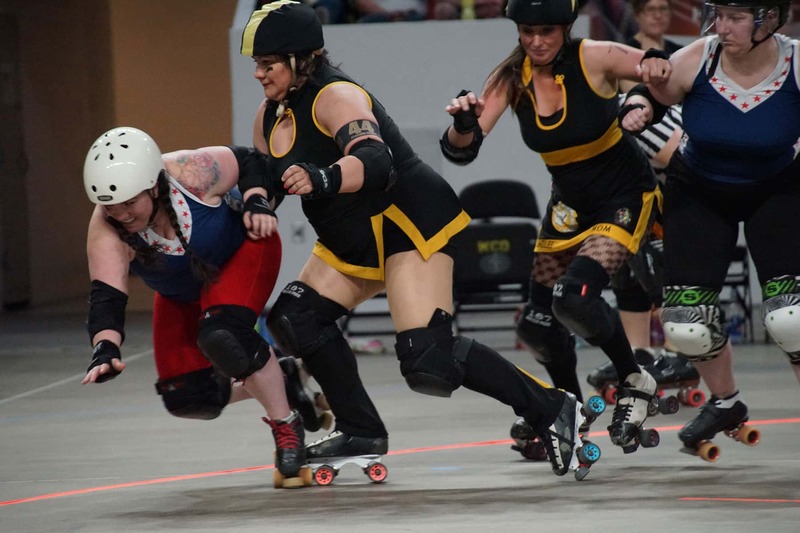 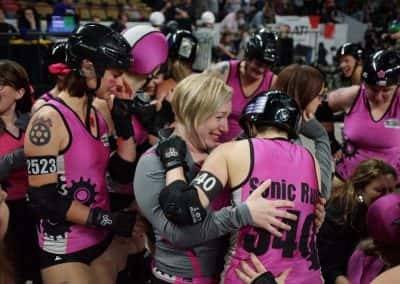 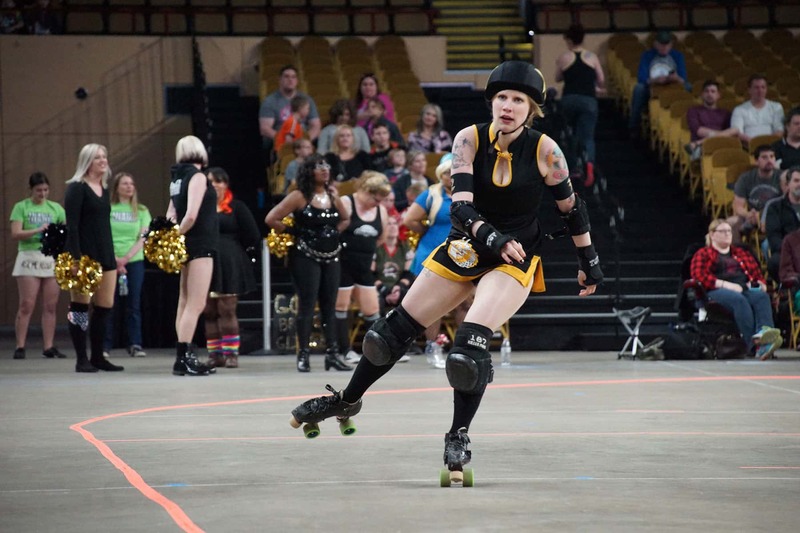 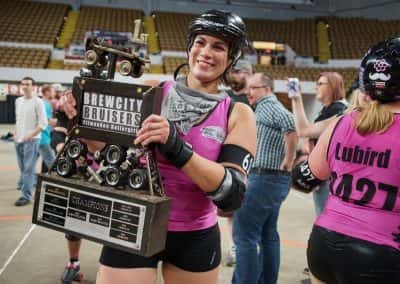 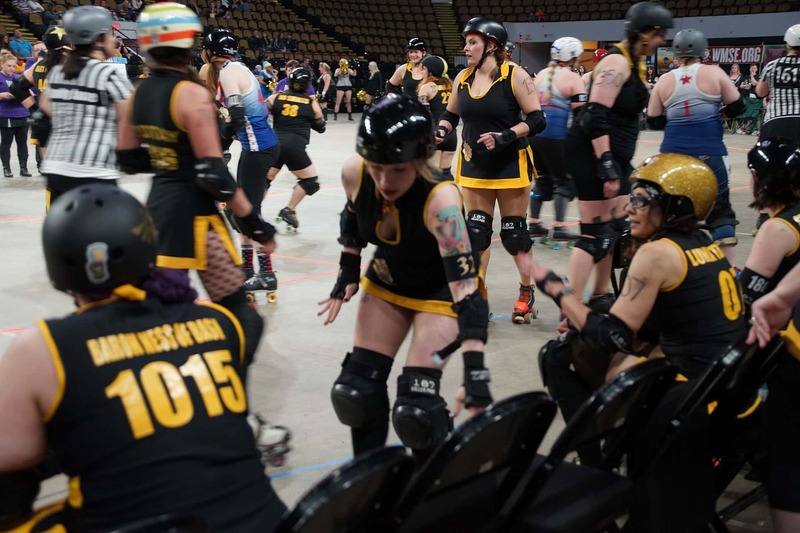 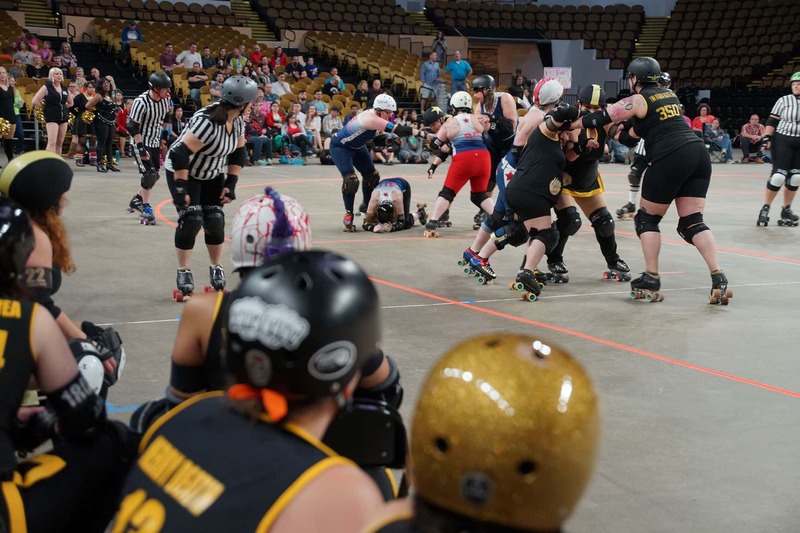 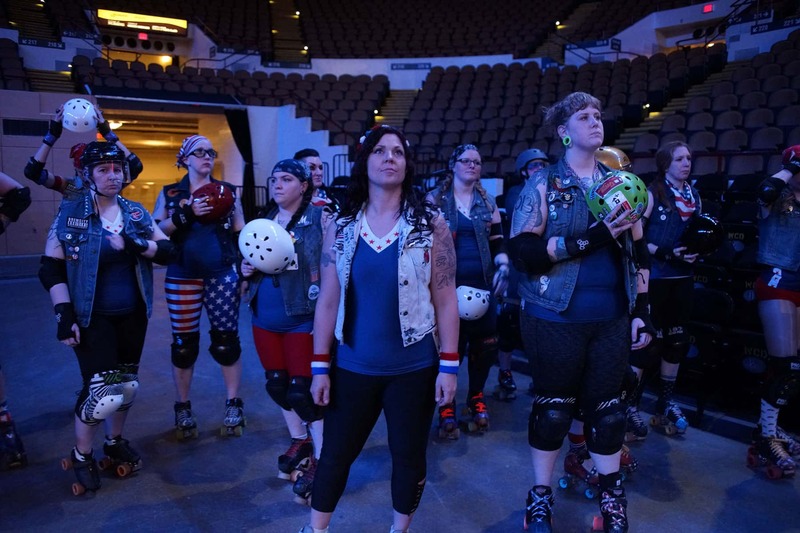 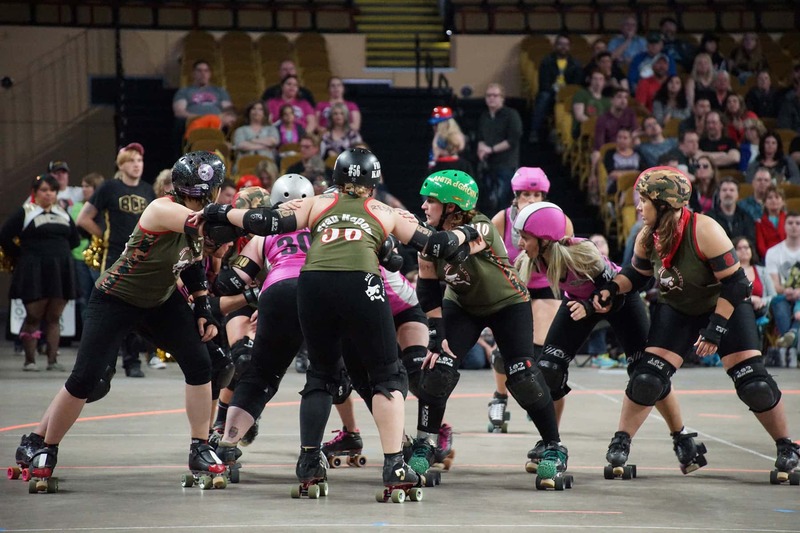 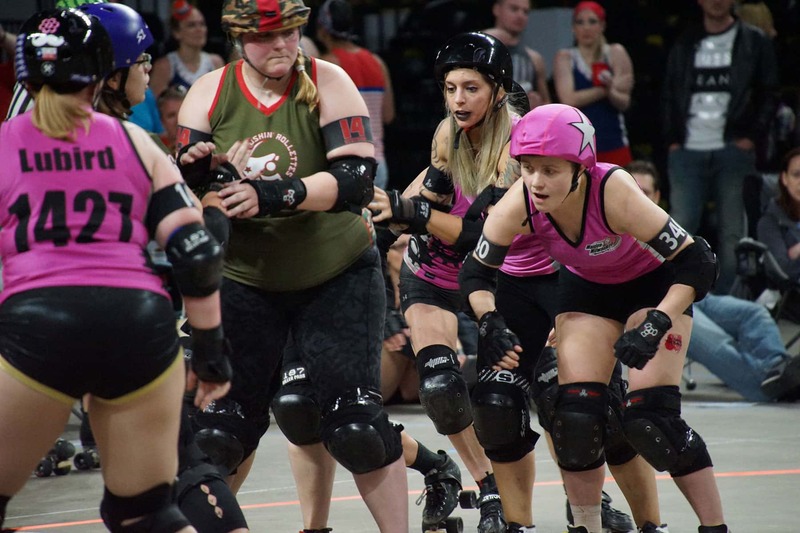 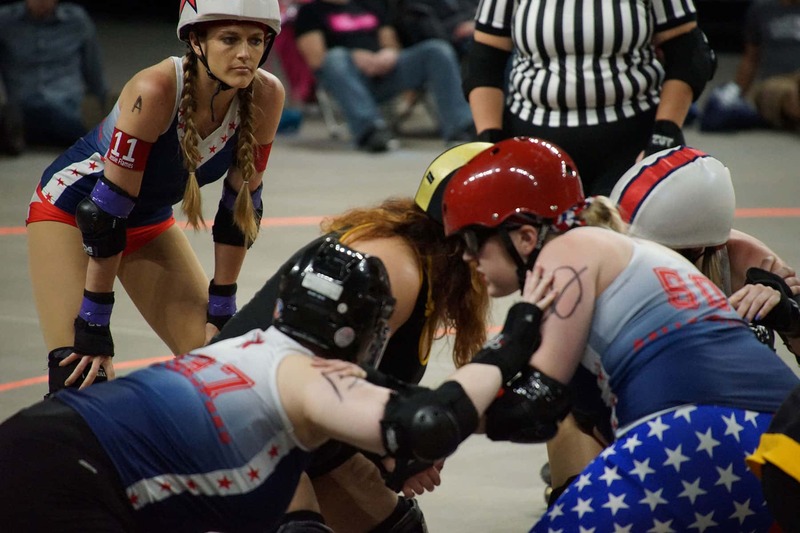 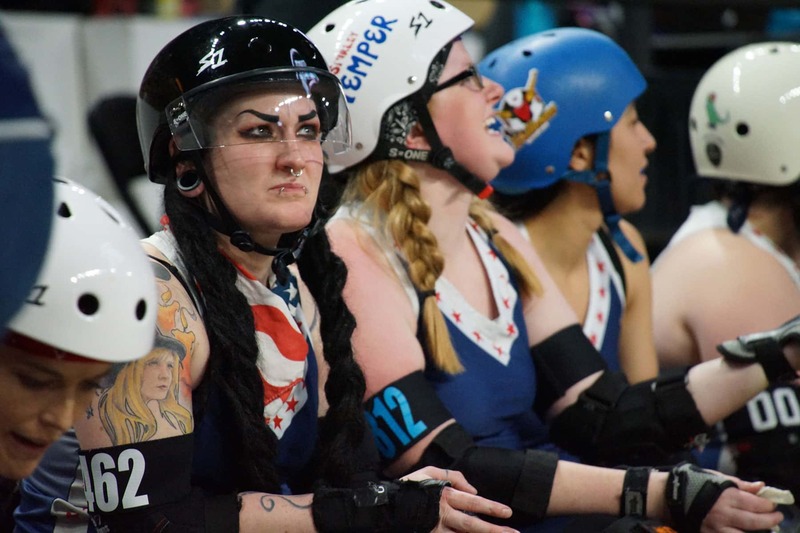 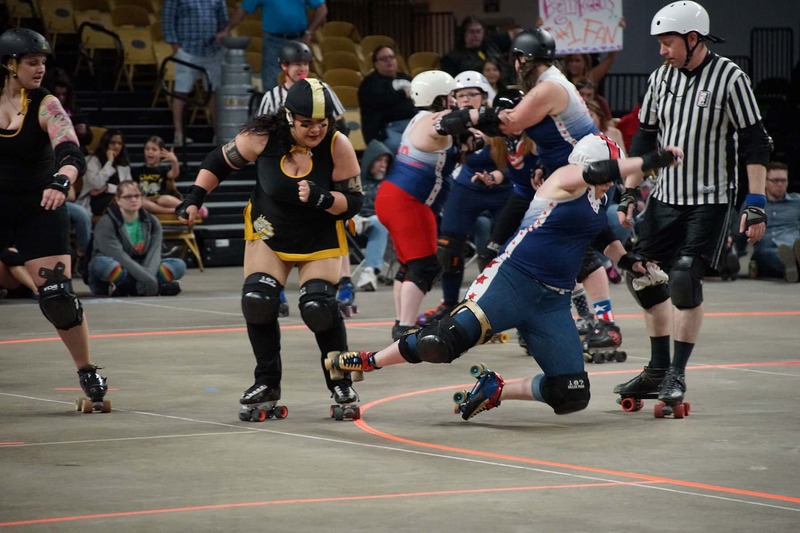 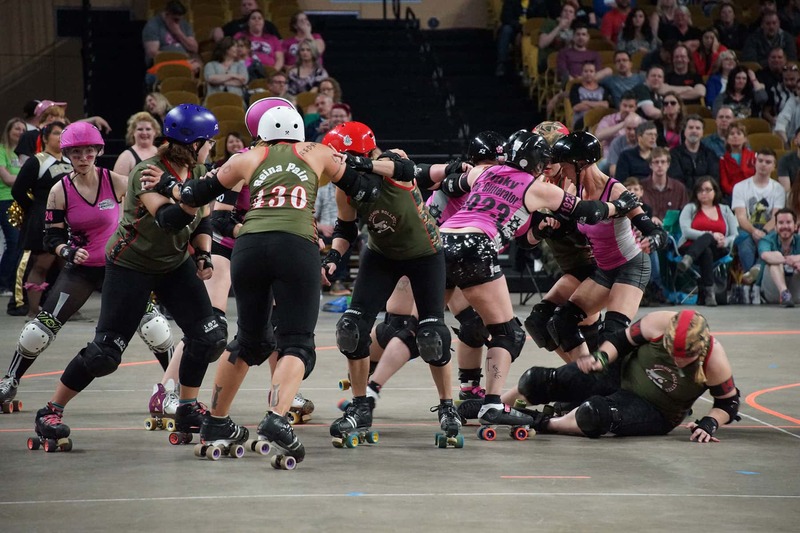 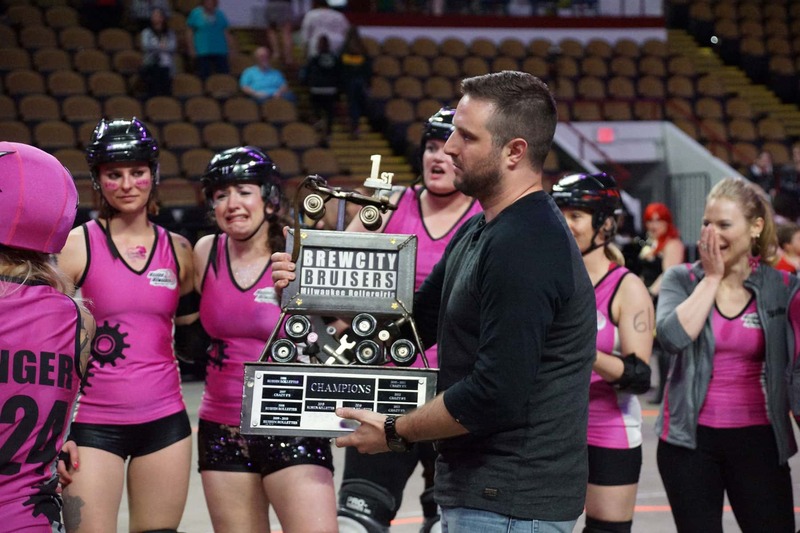 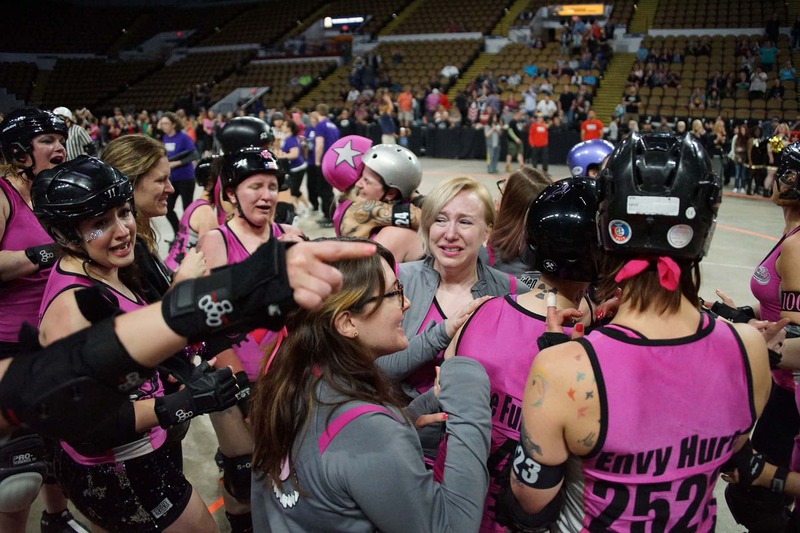 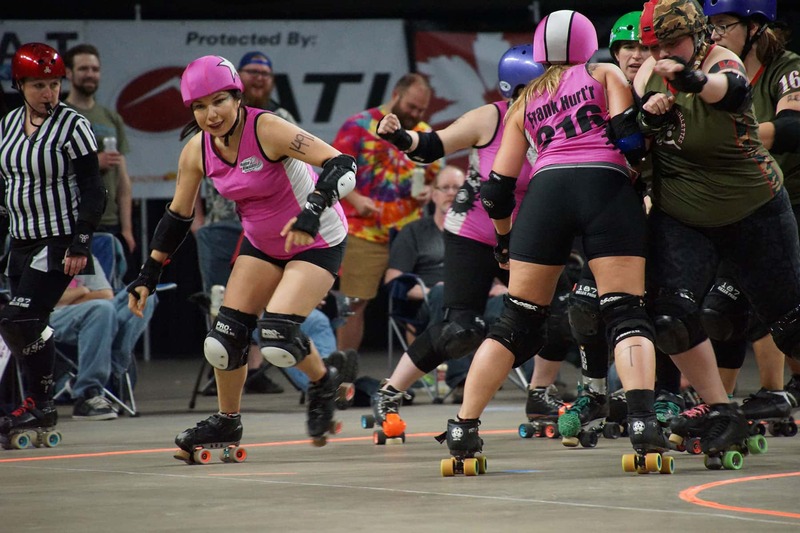 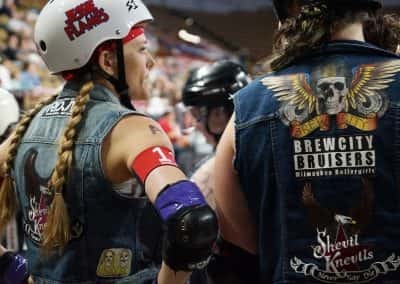 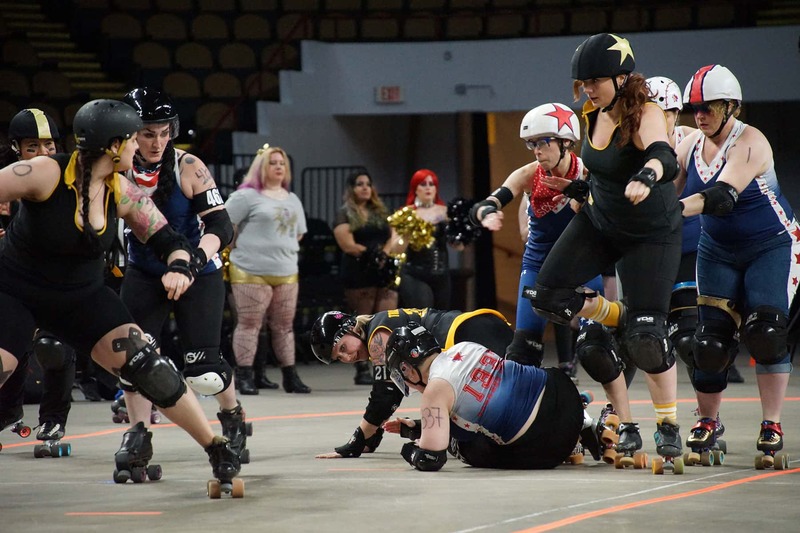 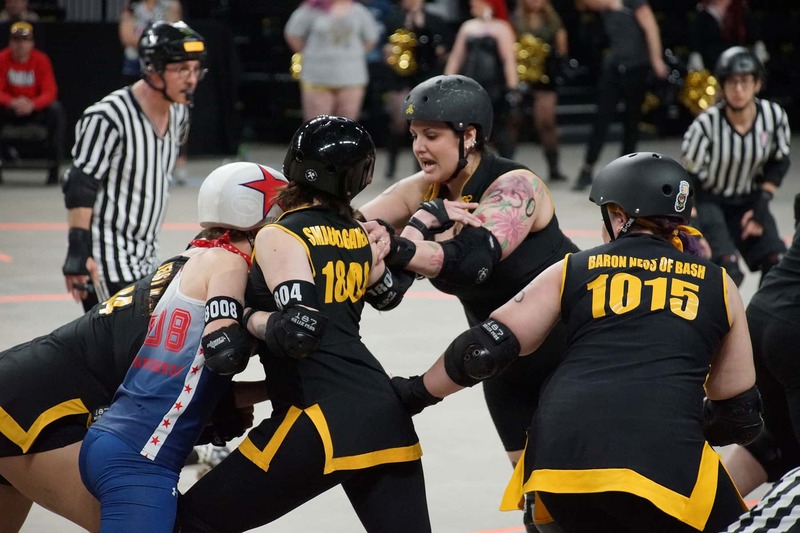 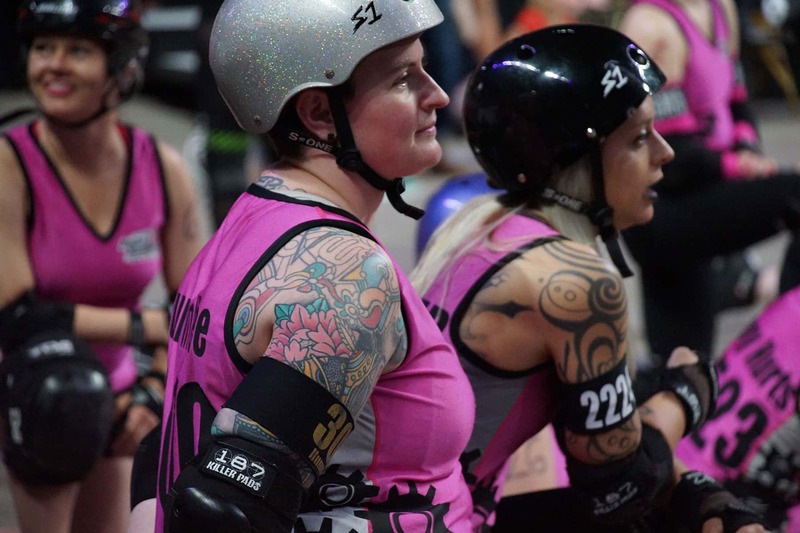 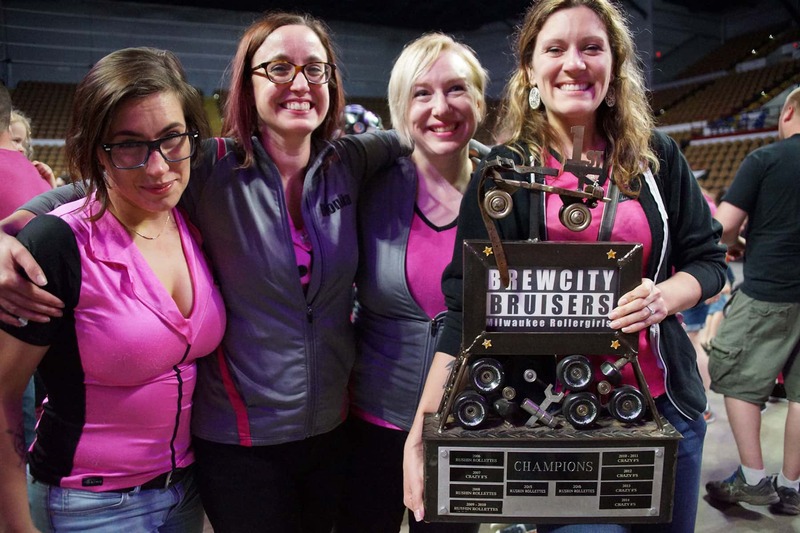 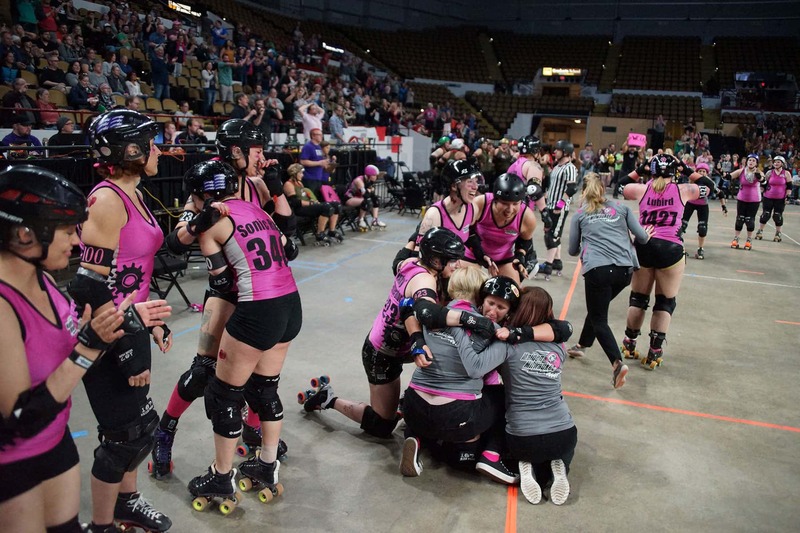 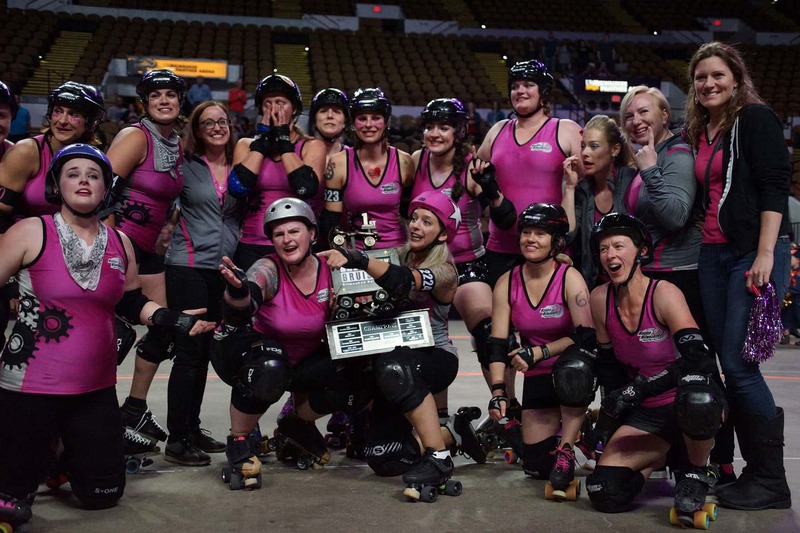 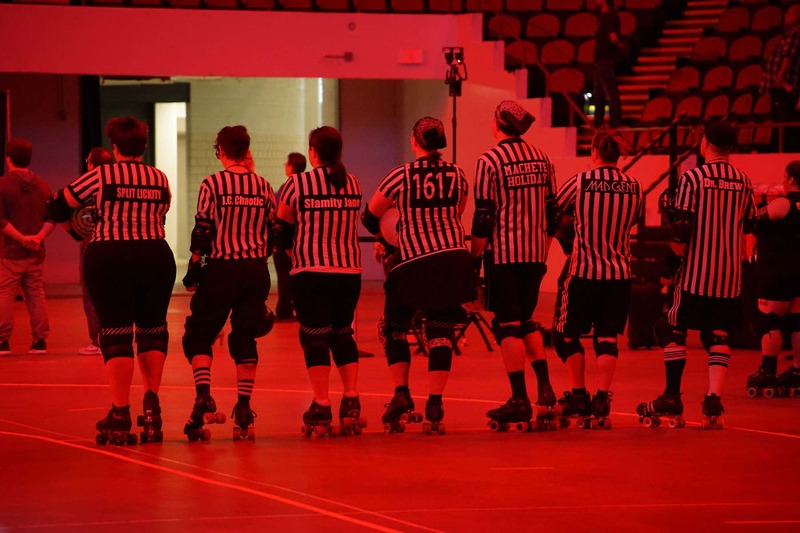 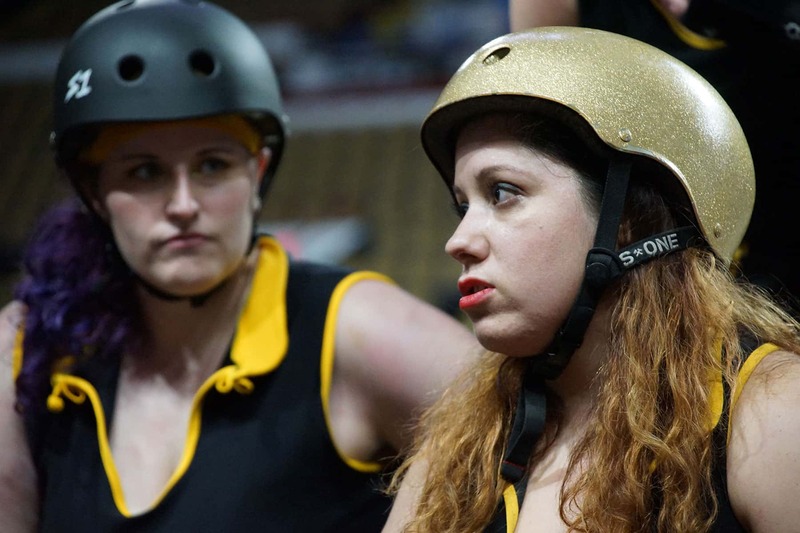 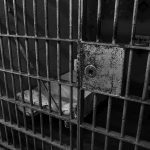 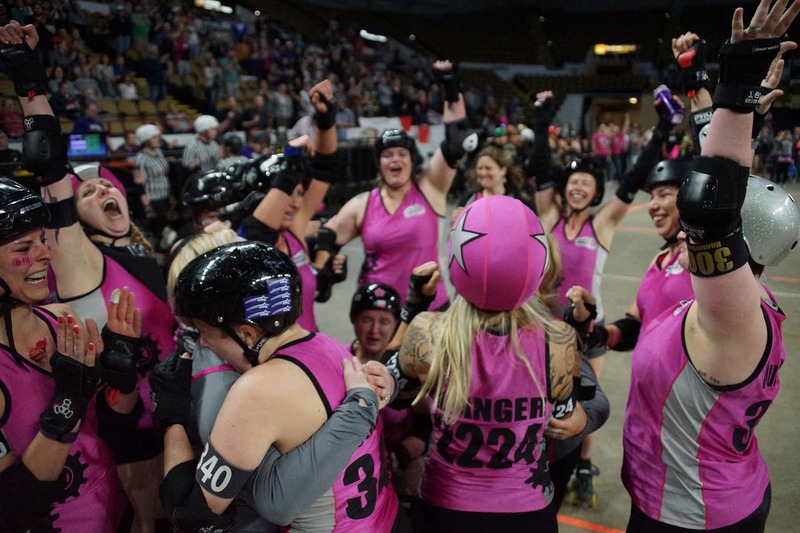 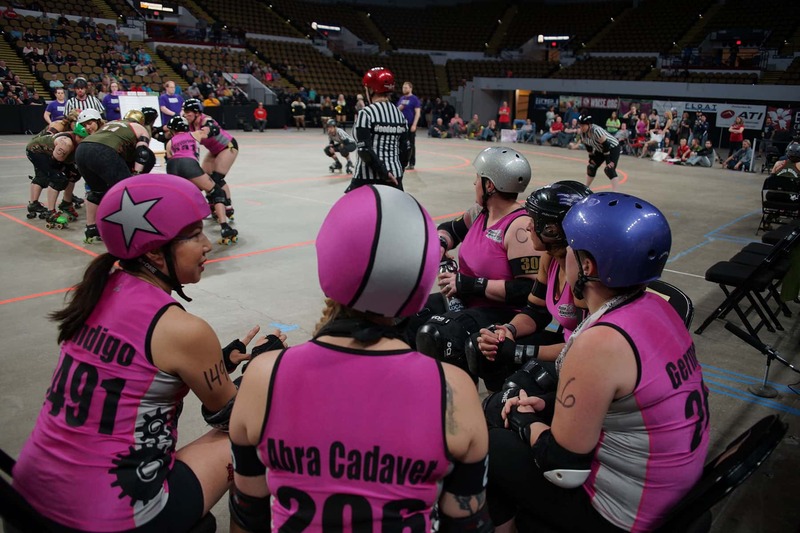 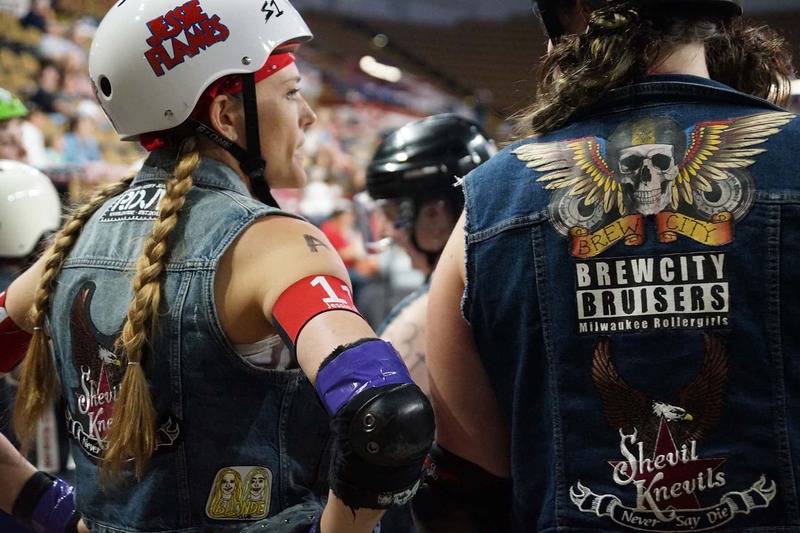 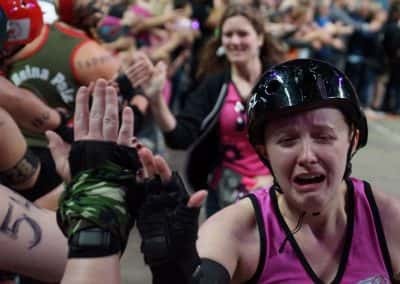 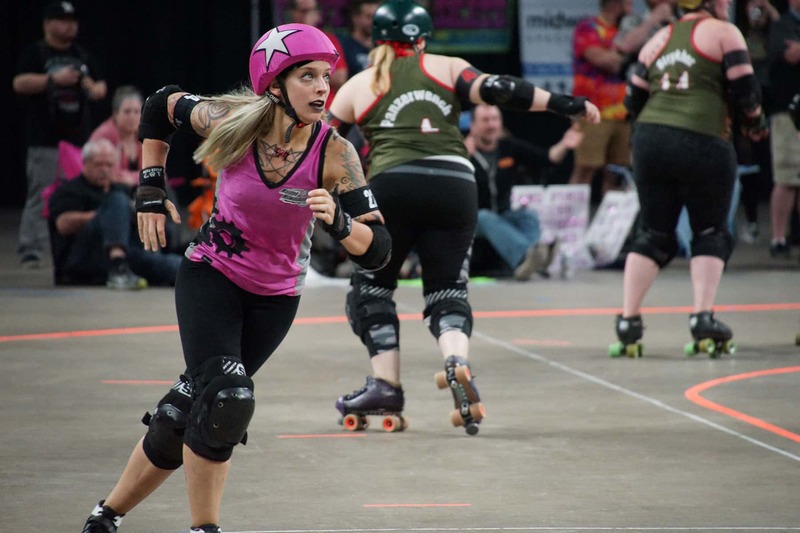 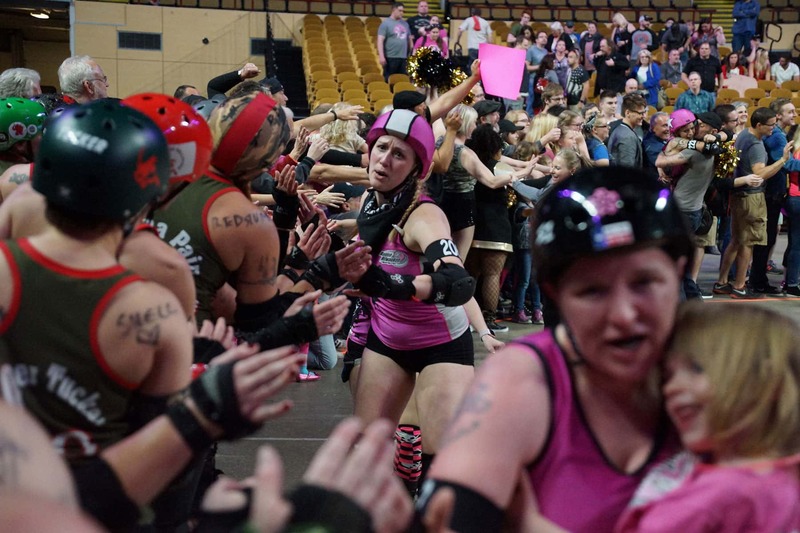 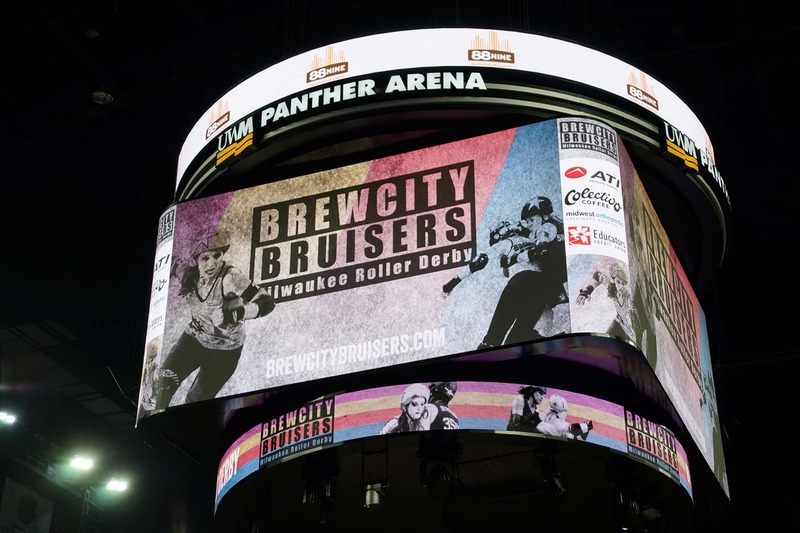 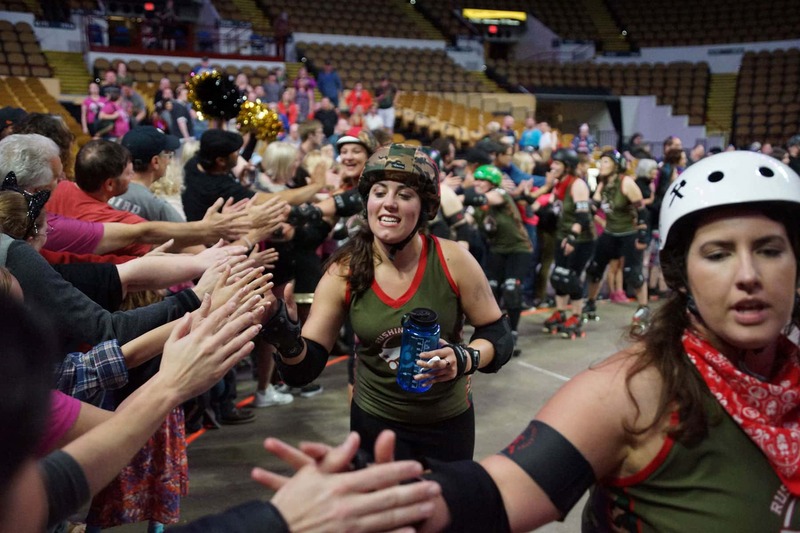 This Photo Essay captures moments from the final two championship bouts of the 2017 home season for the Brewcity Bruisers (BCB). 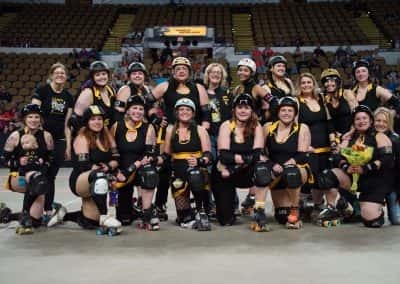 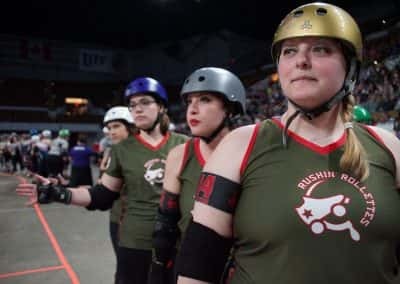 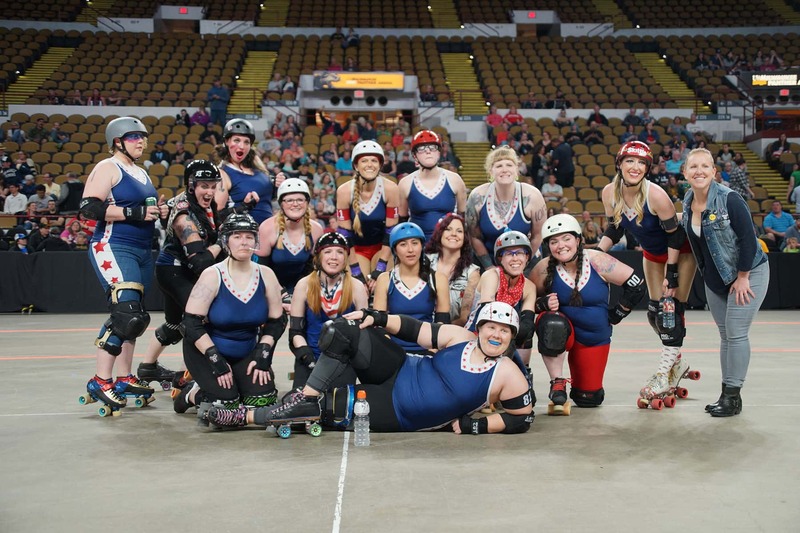 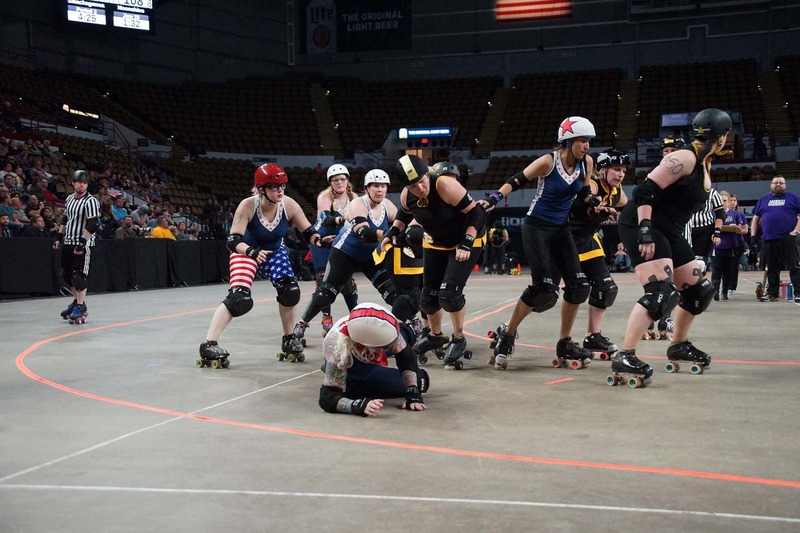 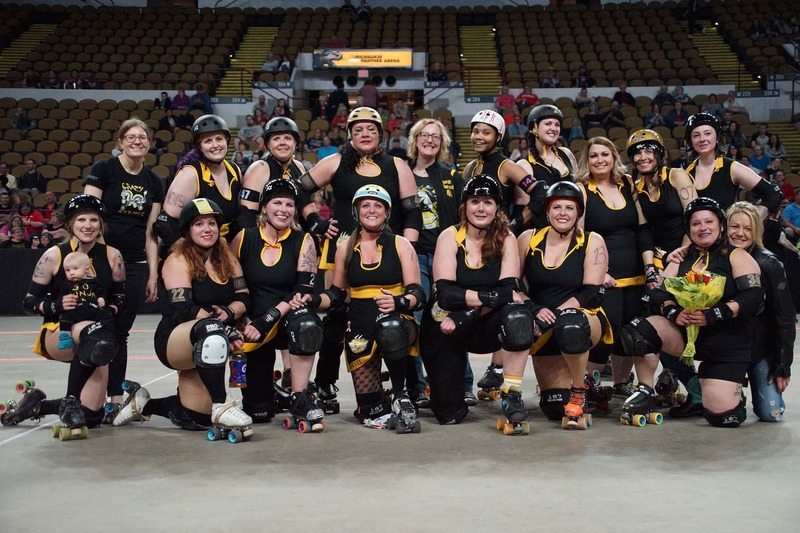 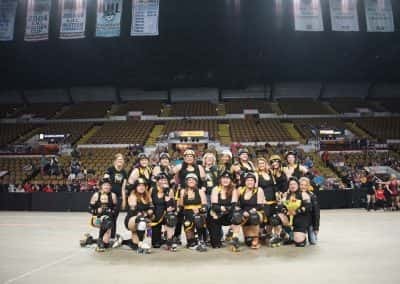 Bout #1 between the Crazy Eights and Shevil Knevils was for third place, and Bout #2 between Maiden Milwaukee and Rushin’ Rollettes was for first. 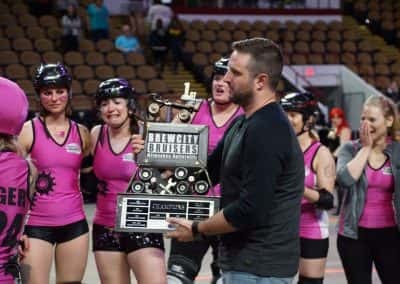 The Maidens went on to win 122-120 in overtime, snatching the trophy from the defending champions for the team’s first ever league title victory in 11 seasons. 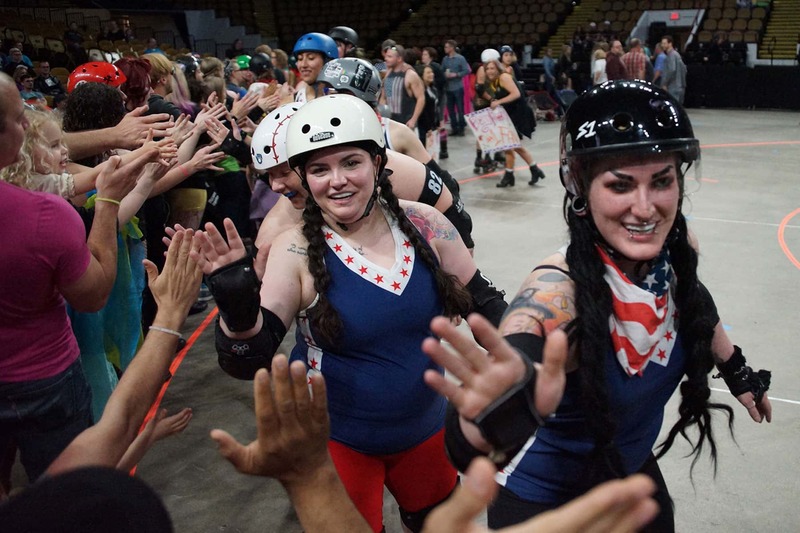 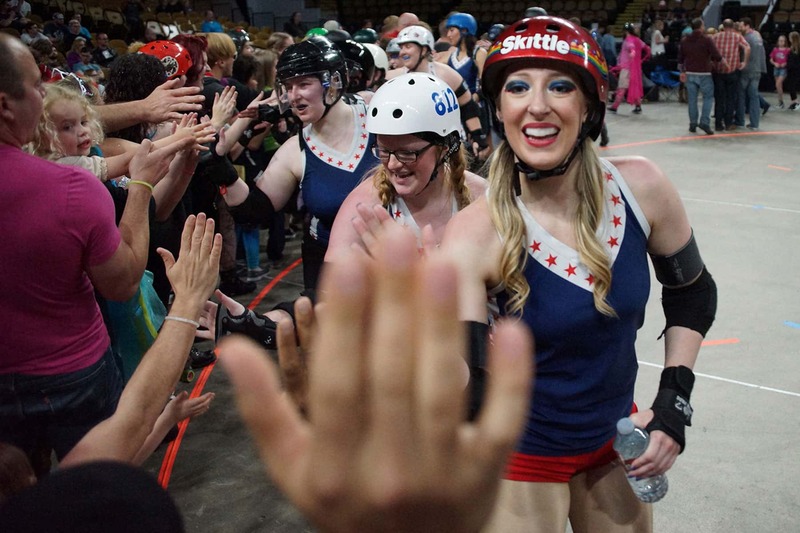 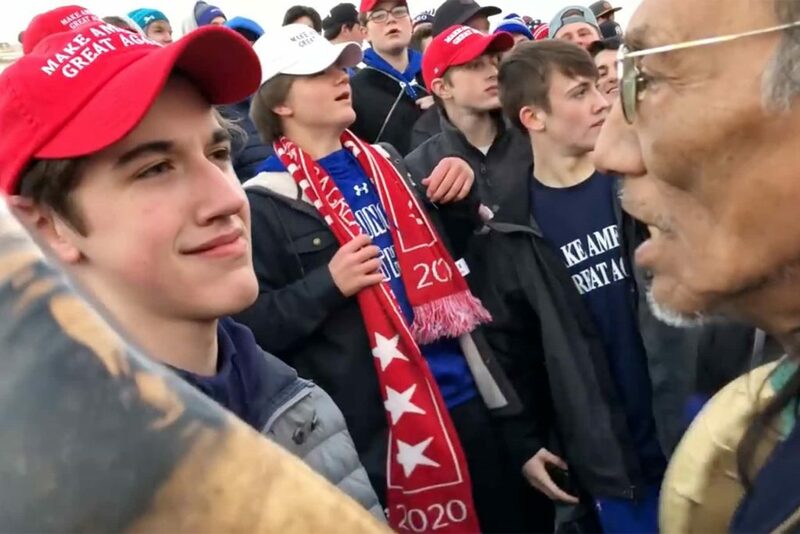 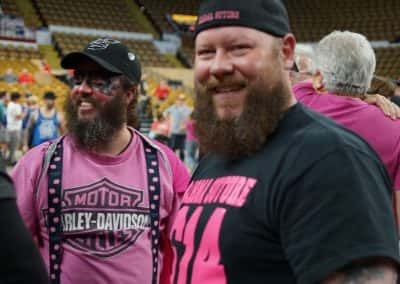 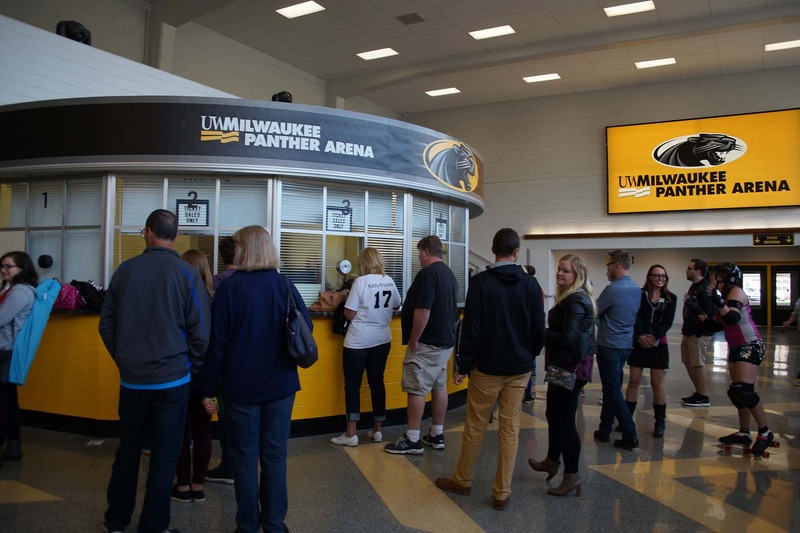 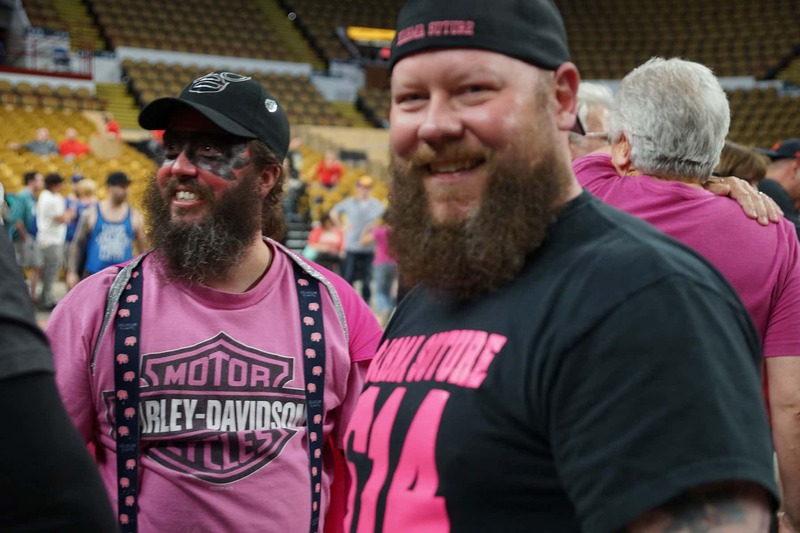 The bout was highly competitive in the rink, and equally emotional for fans who cheered on the underdog. 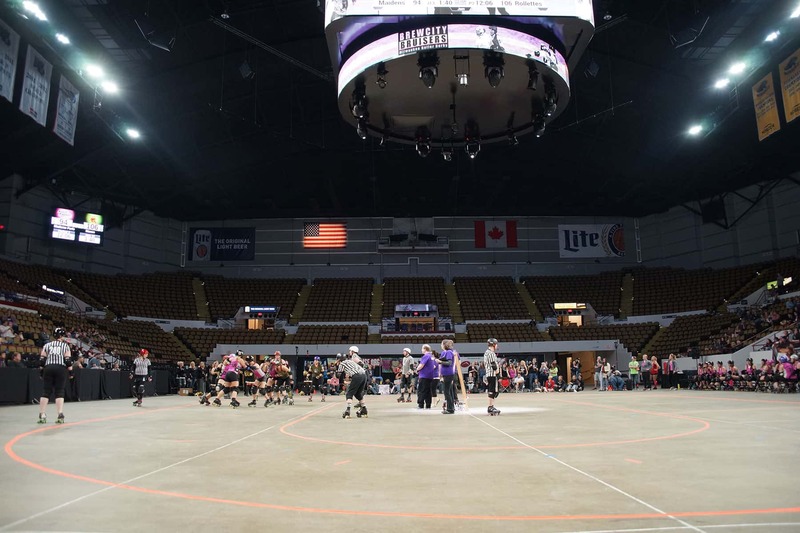 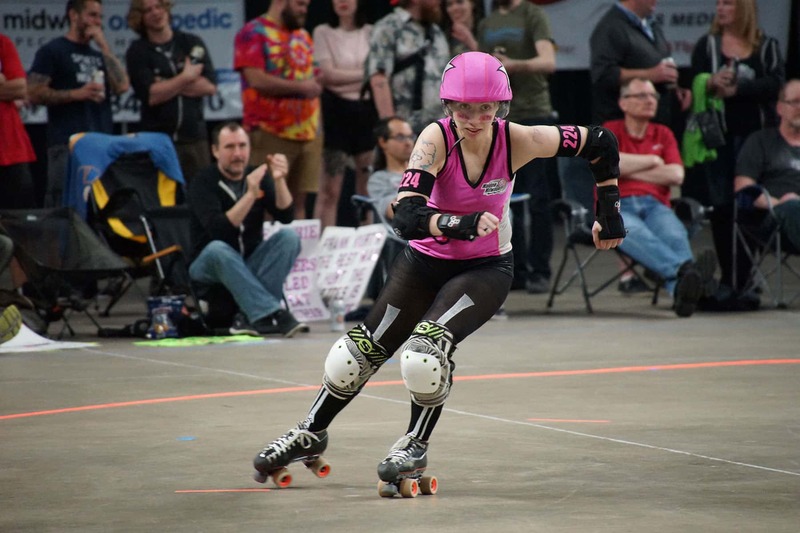 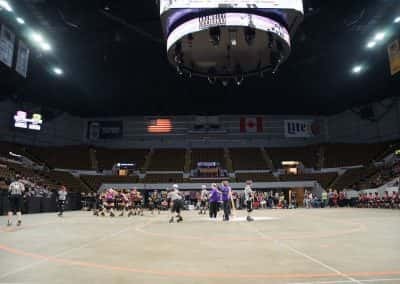 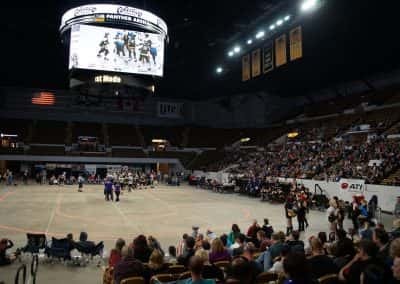 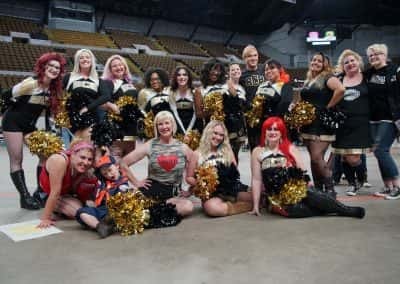 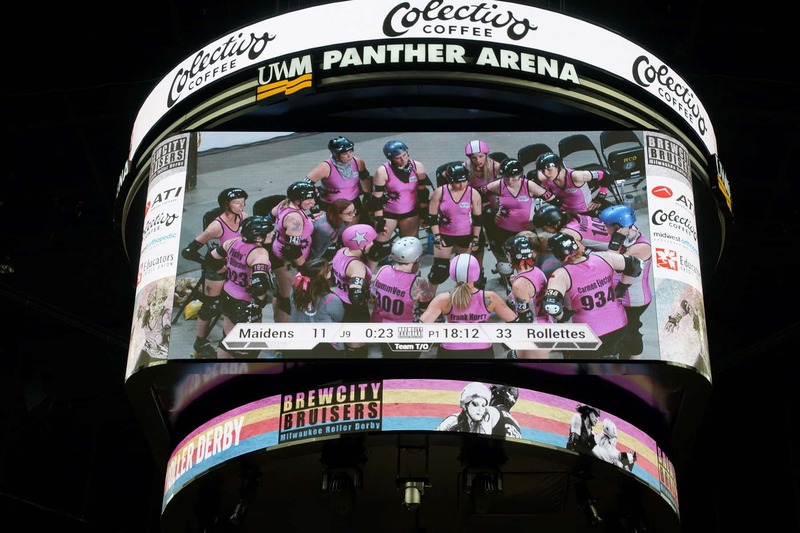 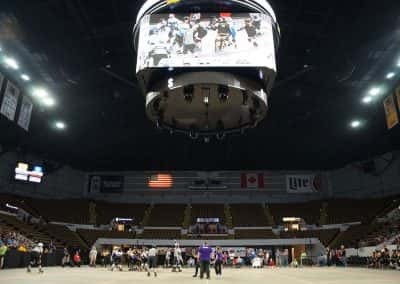 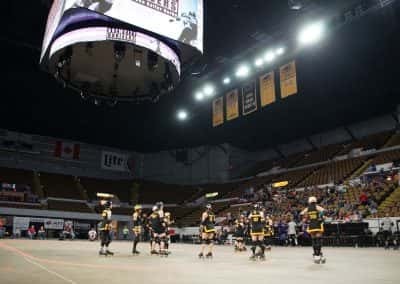 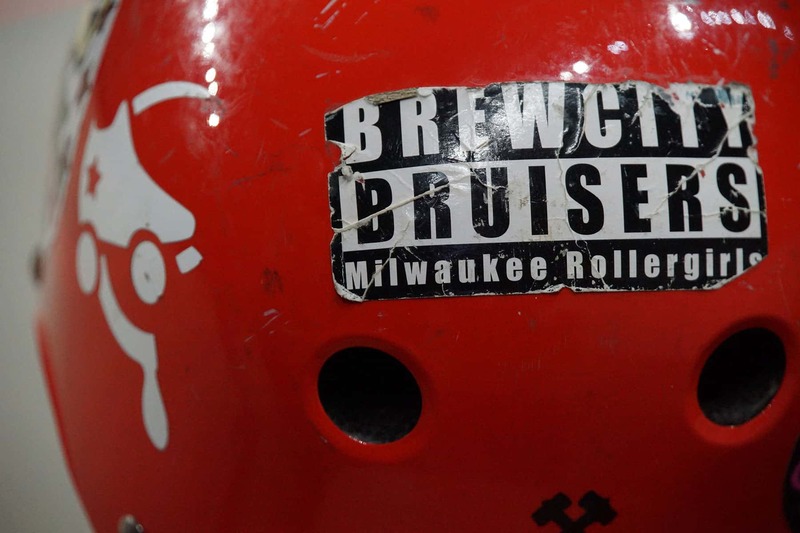 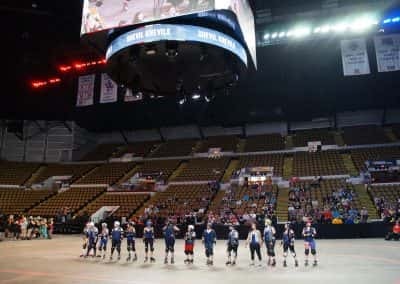 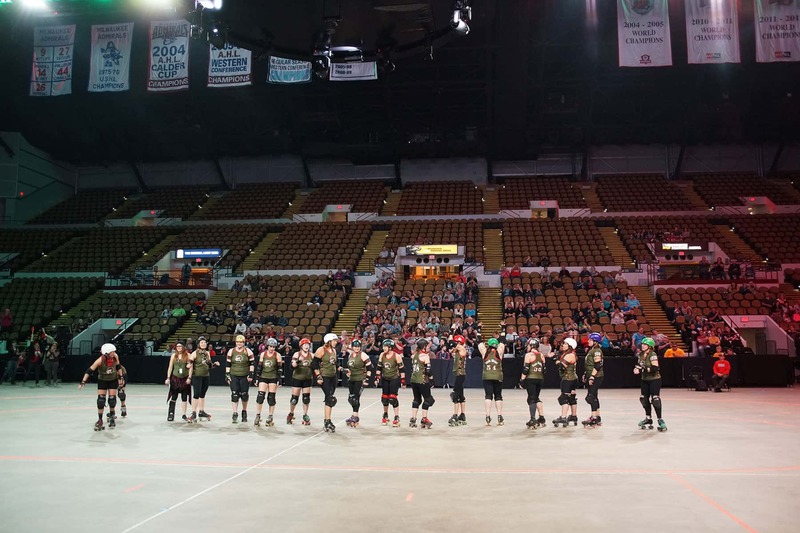 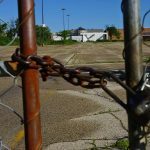 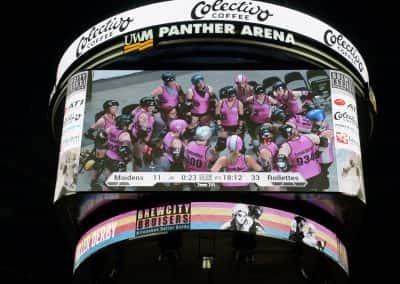 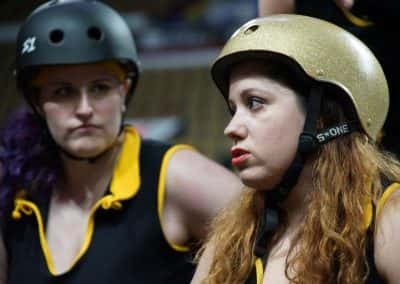 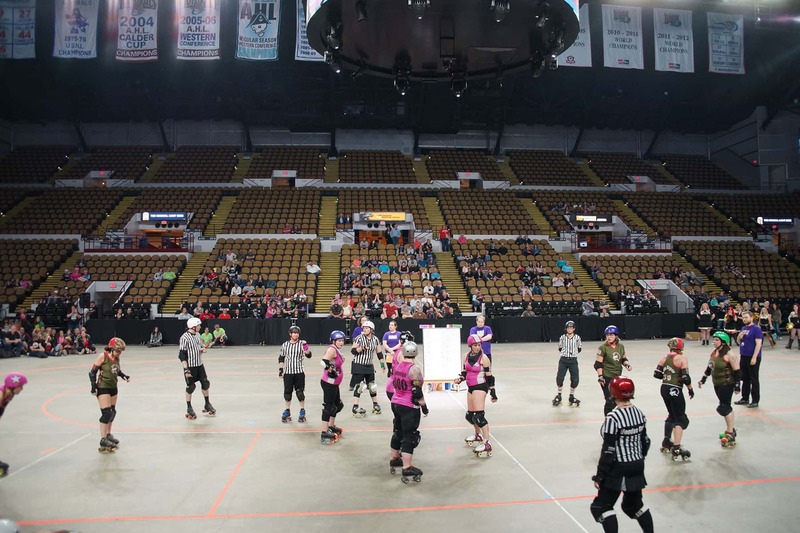 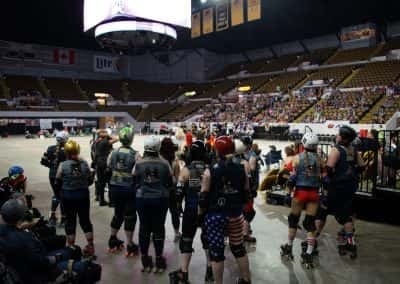 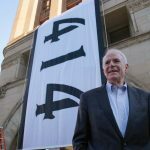 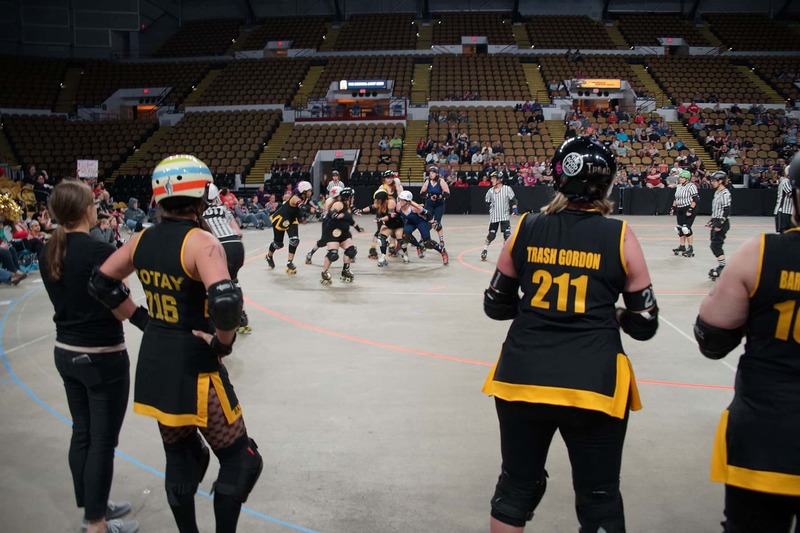 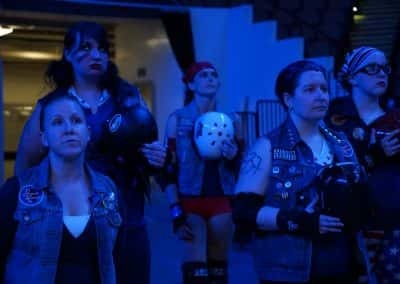 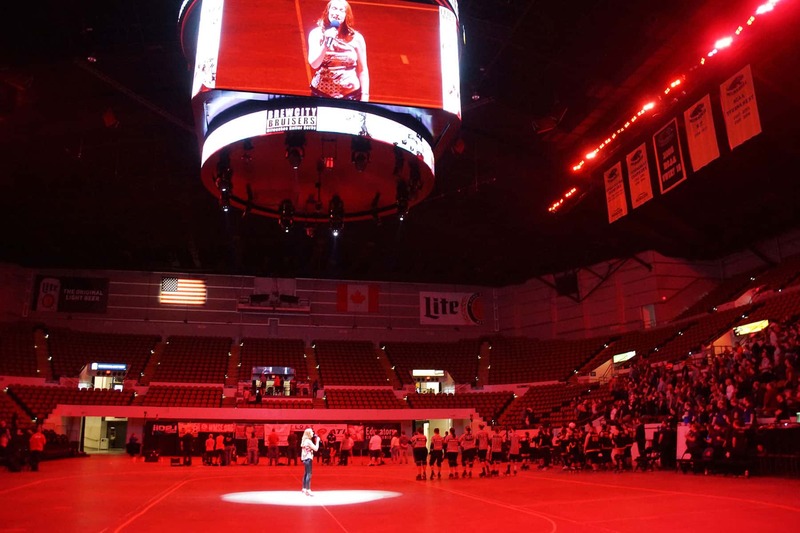 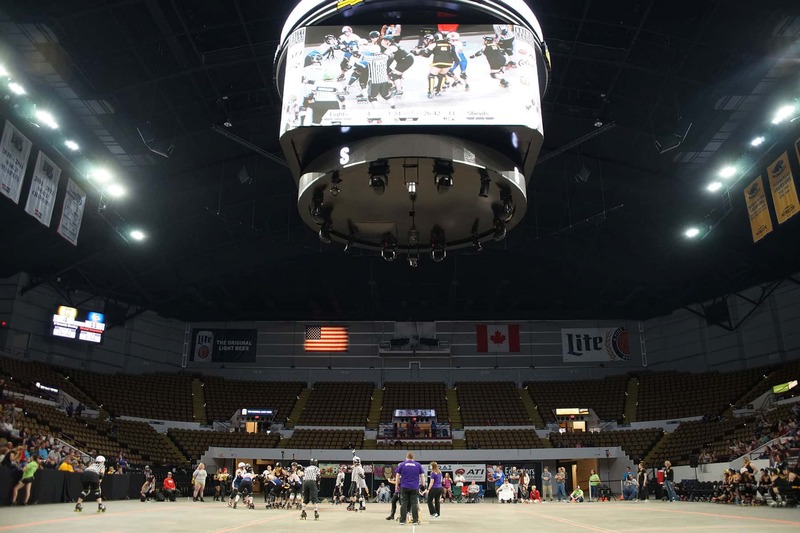 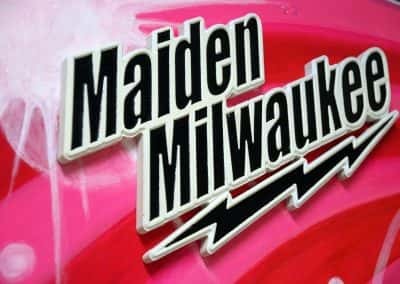 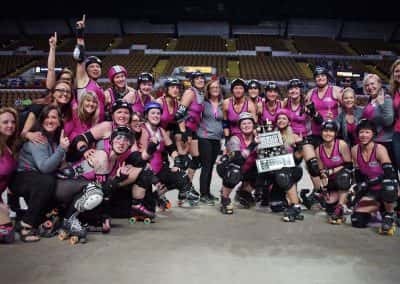 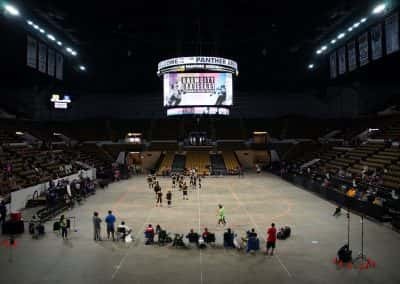 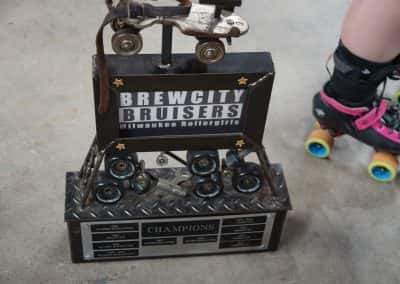 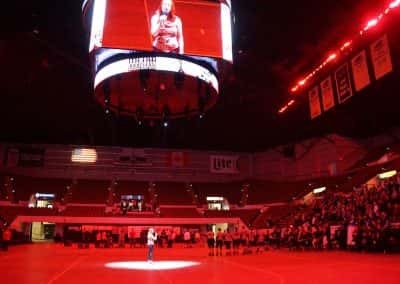 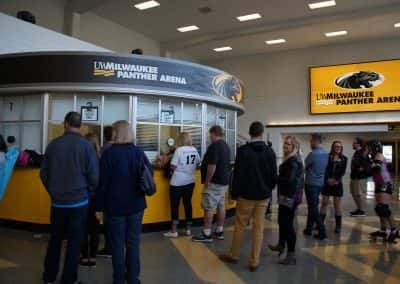 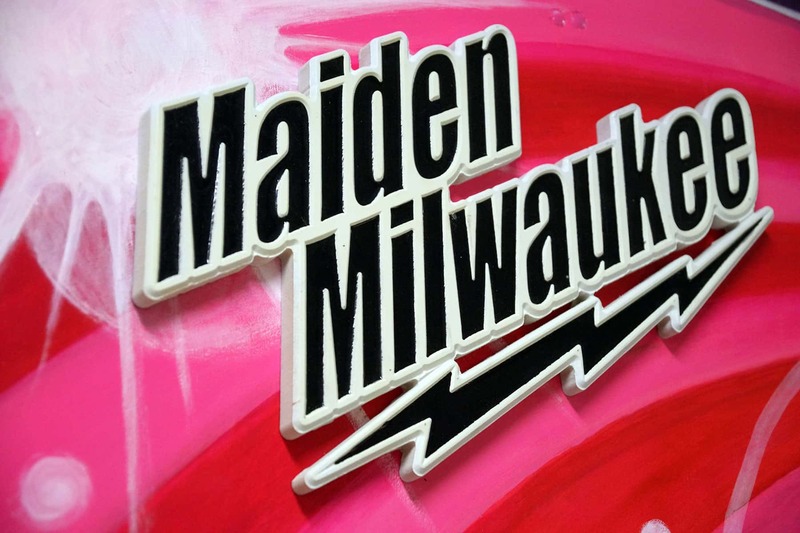 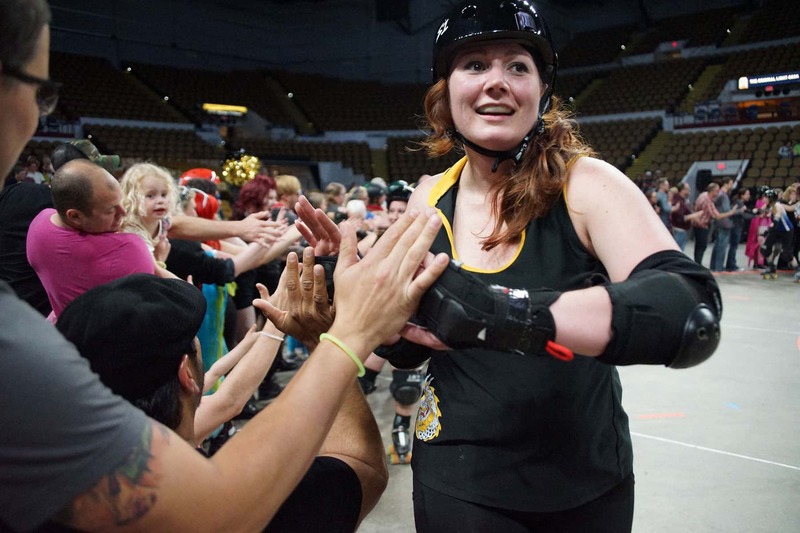 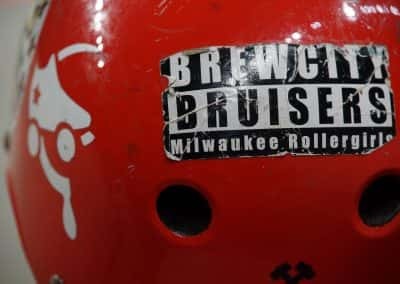 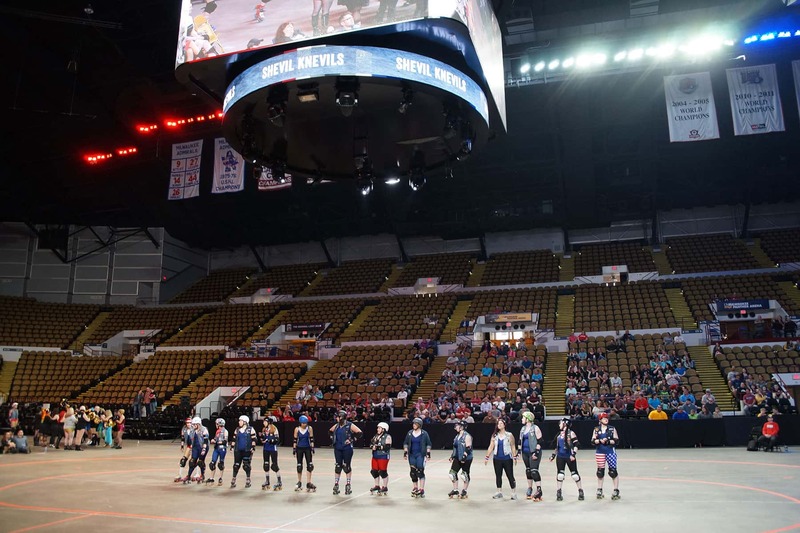 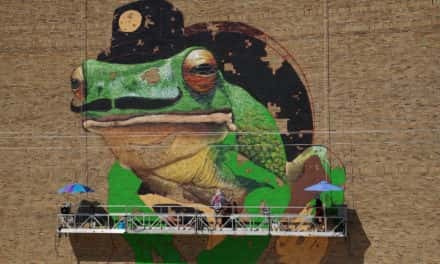 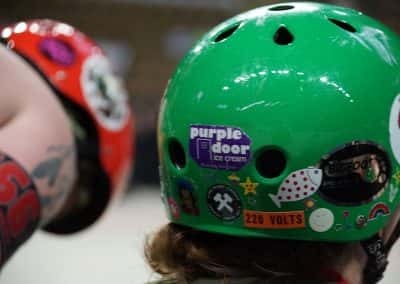 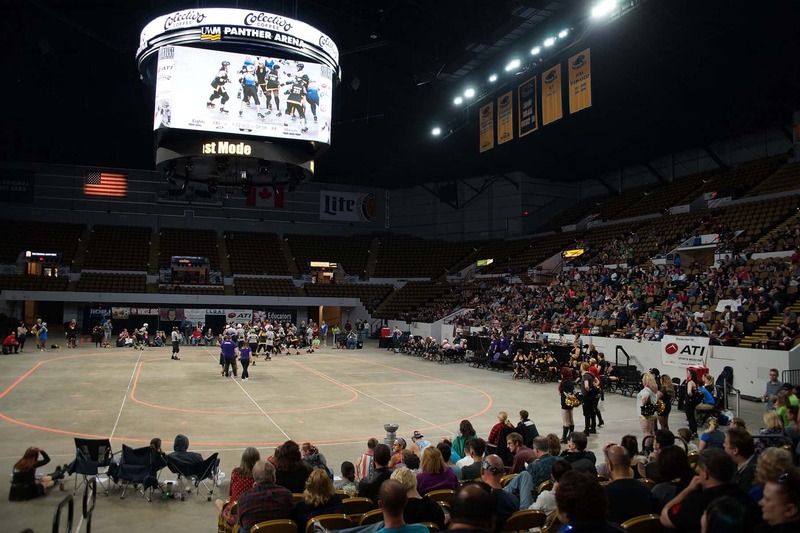 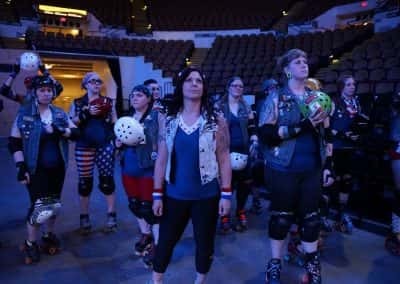 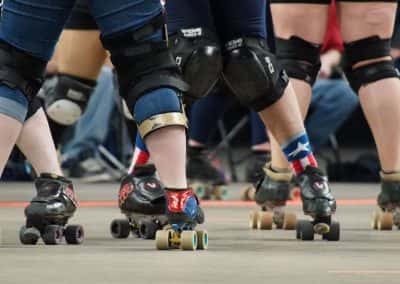 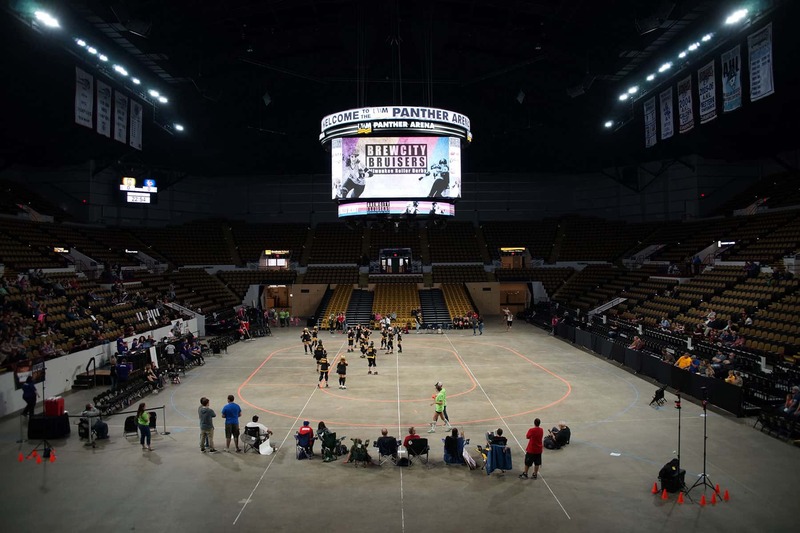 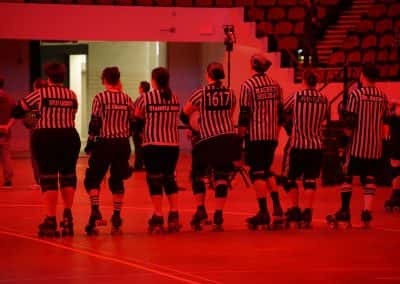 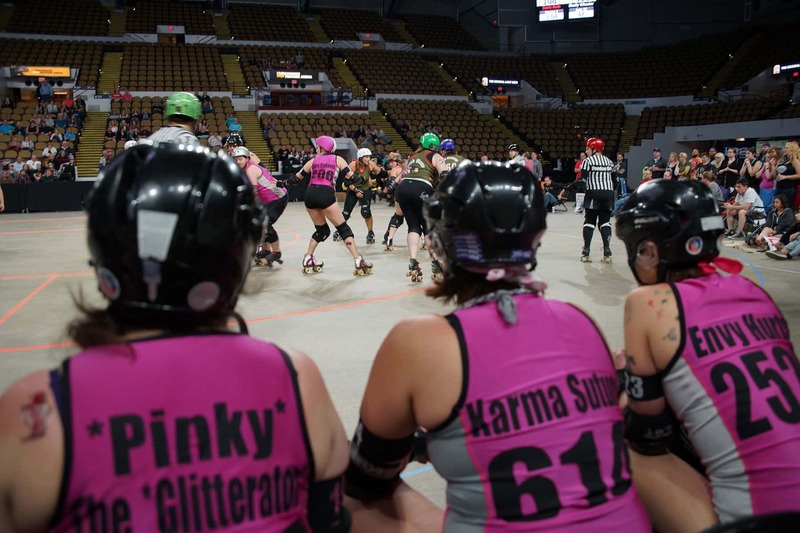 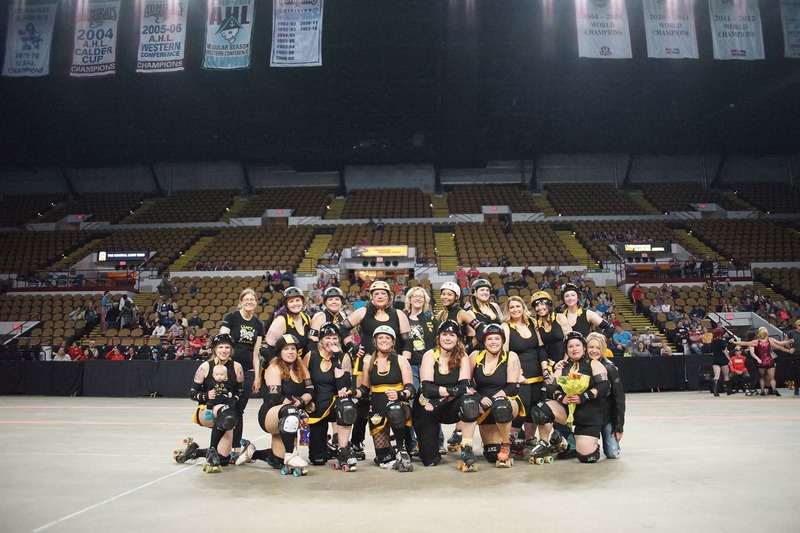 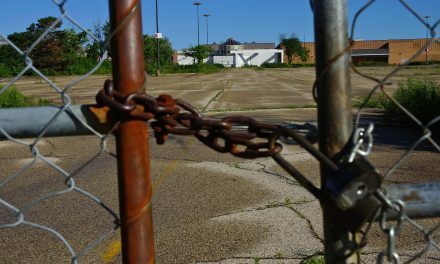 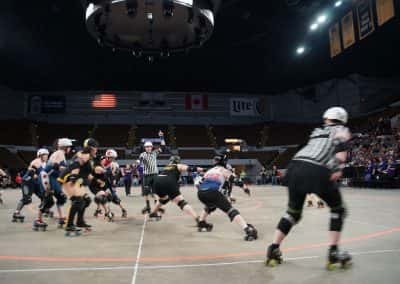 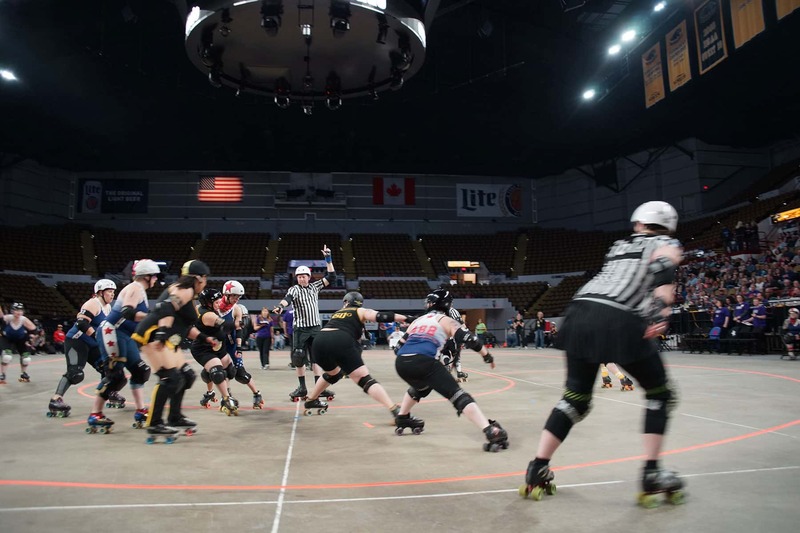 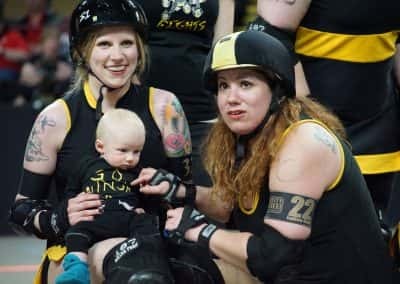 Founded in 2005, the Brewcity Bruisers are a women’s flat-track roller derby league comprised of four teams based in Milwaukee. 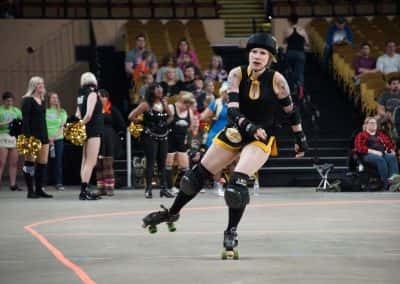 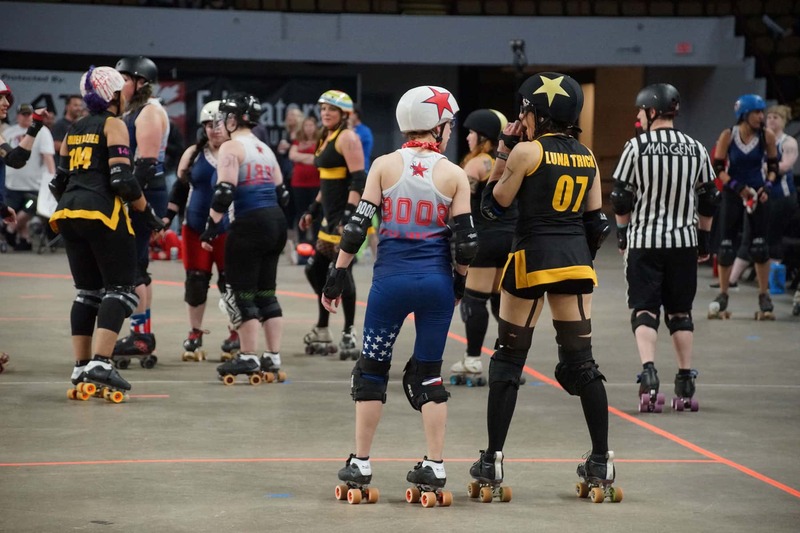 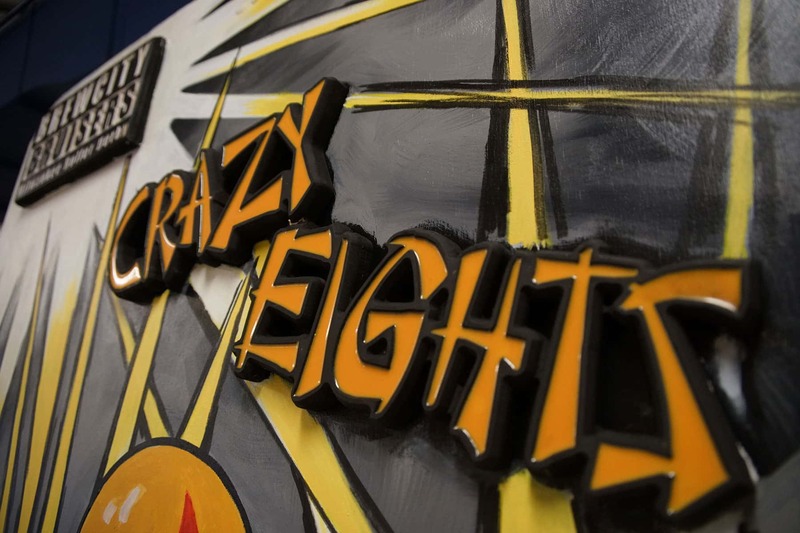 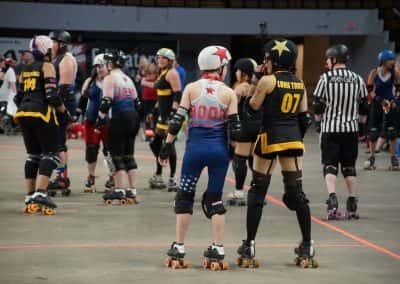 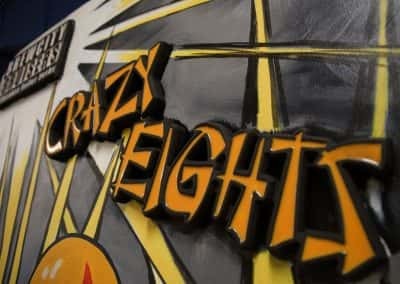 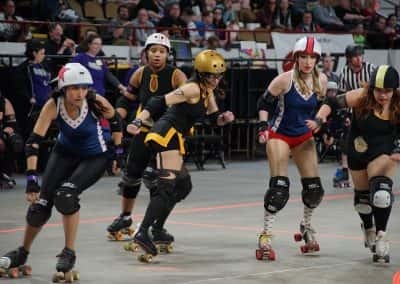 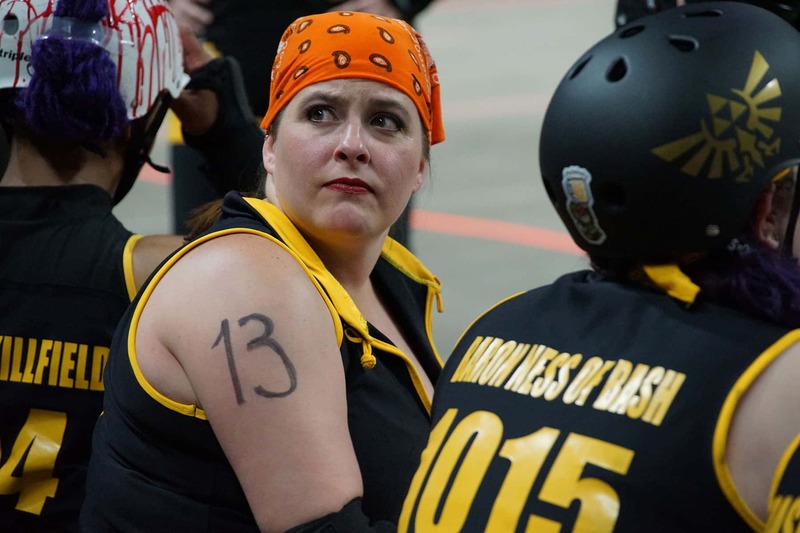 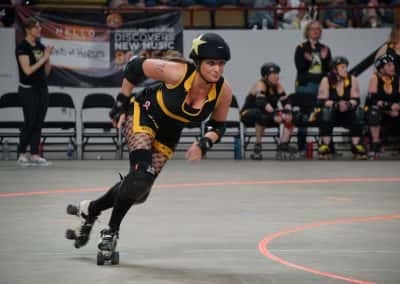 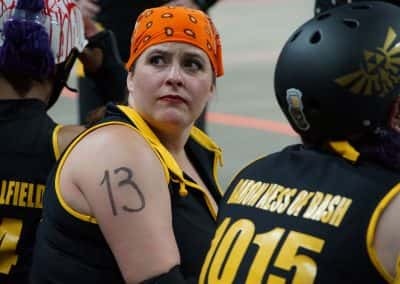 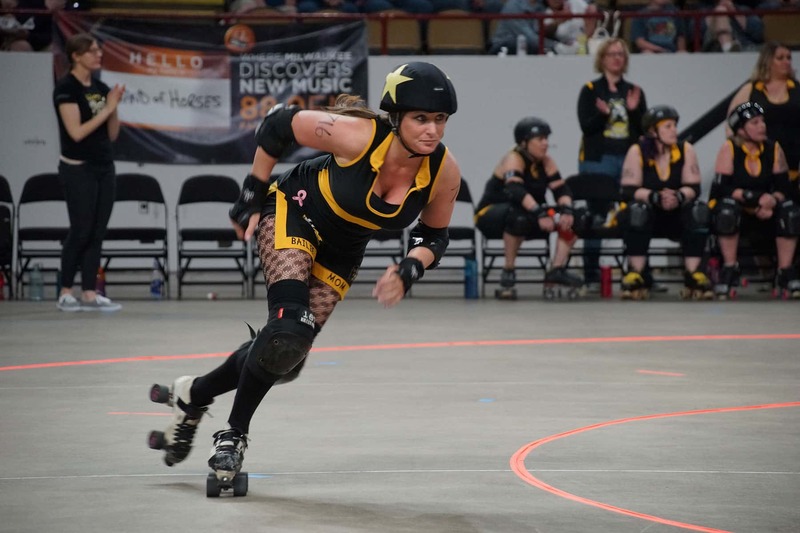 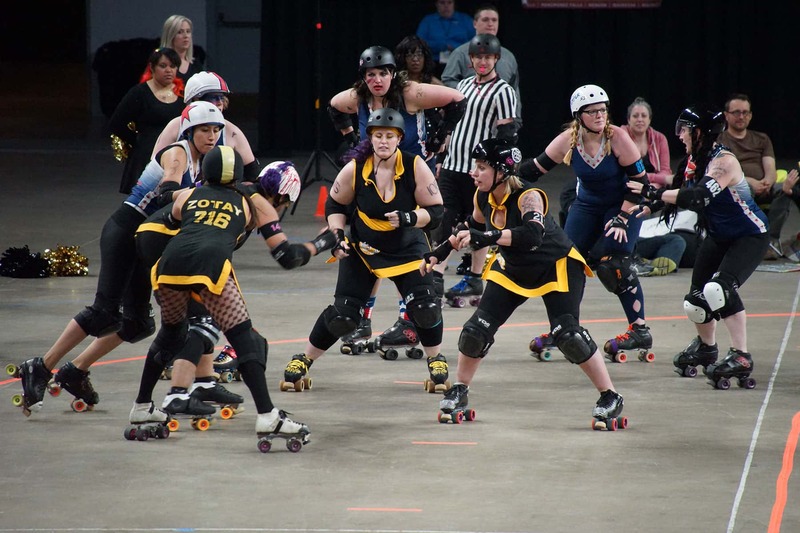 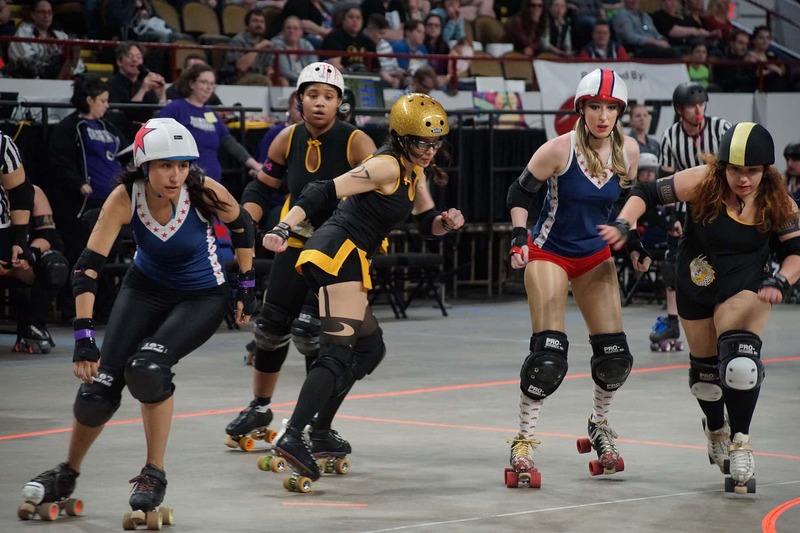 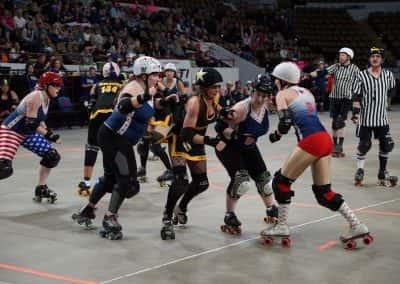 The Crazy Eights dominated the rink especially in the second half, alternating their usual lineups to include jammers they have not played as frequently this season. 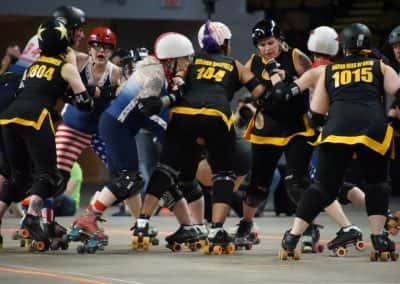 Both teams were last matched in the championships in 2015. 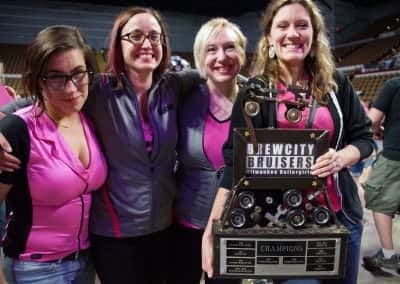 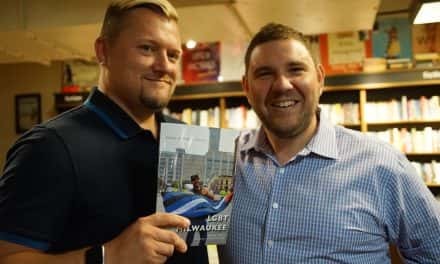 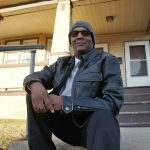 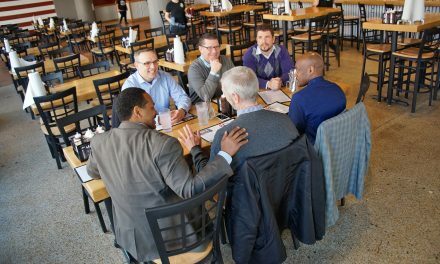 Although the Crazy Eights have an impressive record, winning five championships in the last ten years, the Shevil Knevils were BCB’s underdog team. 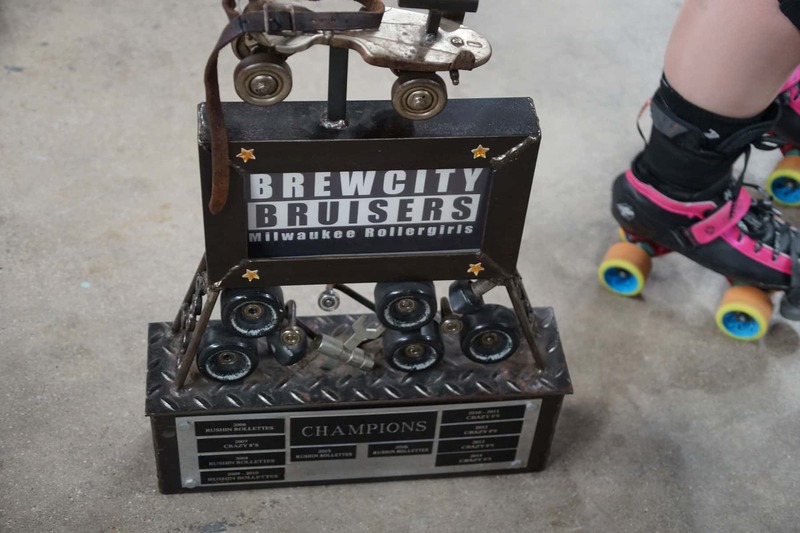 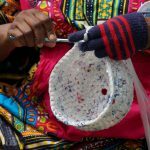 They have come close to reaching the top spot for many years but never far enough to clinch the trophy. 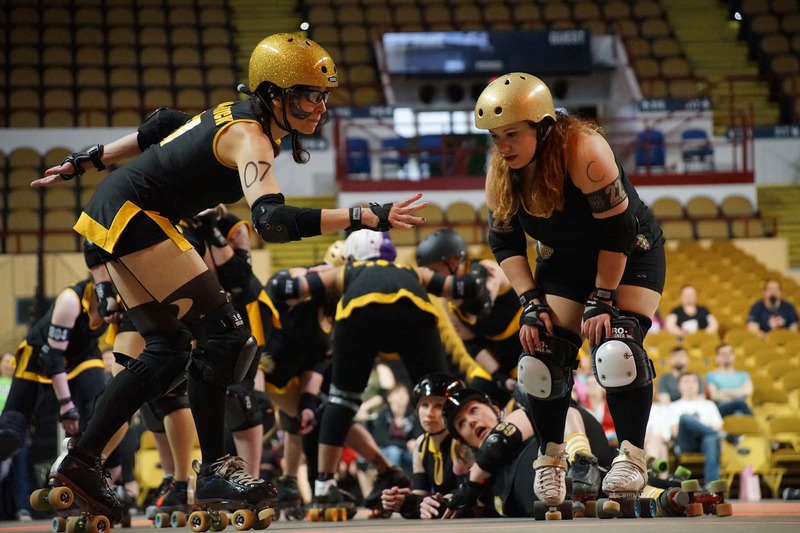 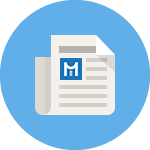 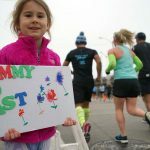 The Maidens were driven by an intense desire to elevate their team to championship status for 2017. 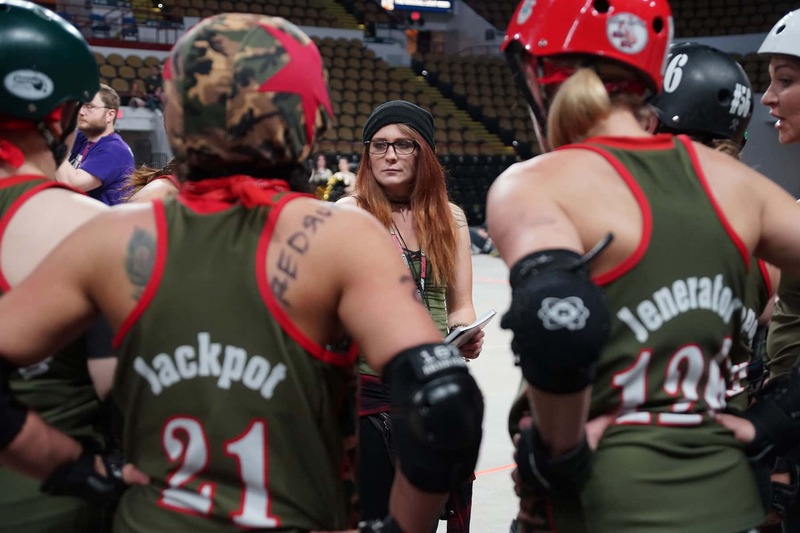 Having cross-trained and strategized all season, the skaters worked to build up each member of the team to their best potential. 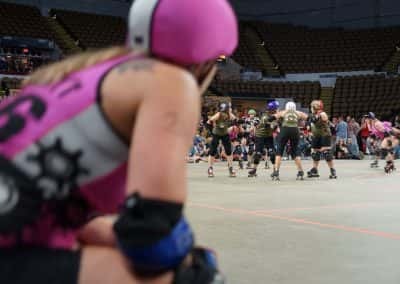 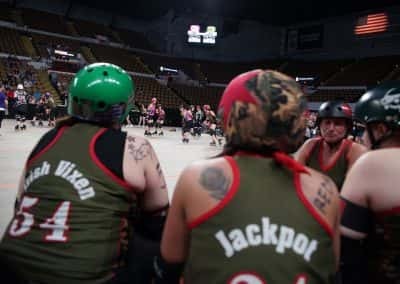 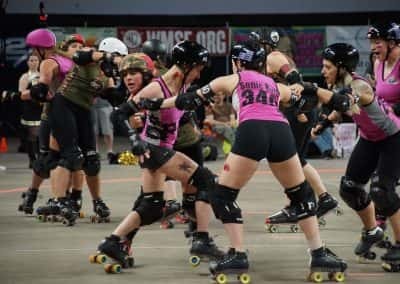 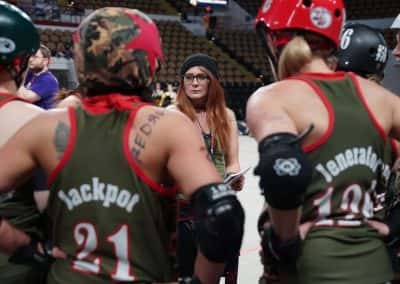 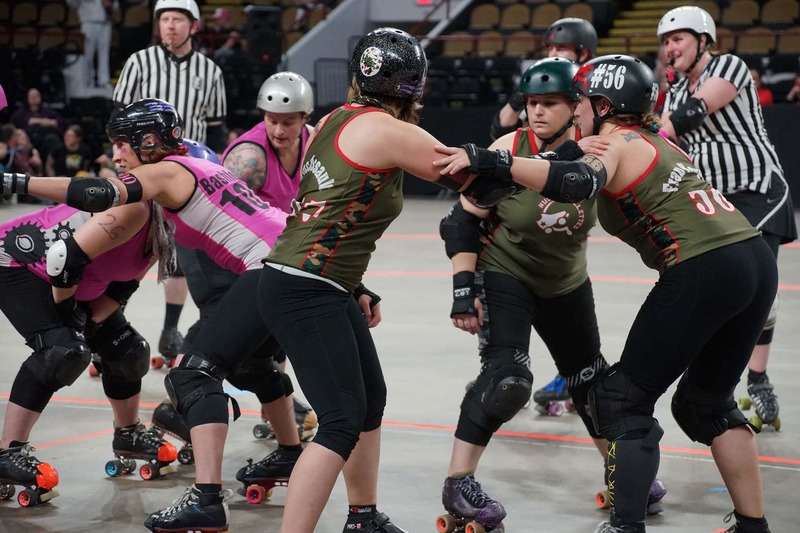 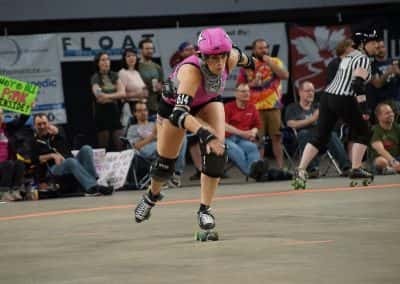 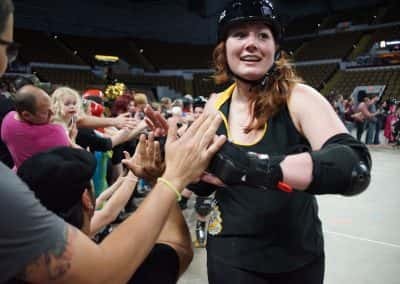 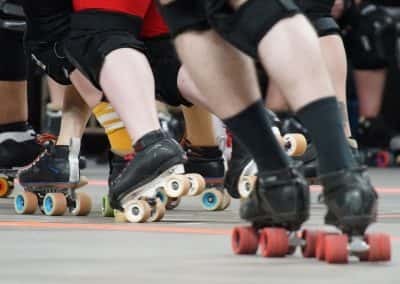 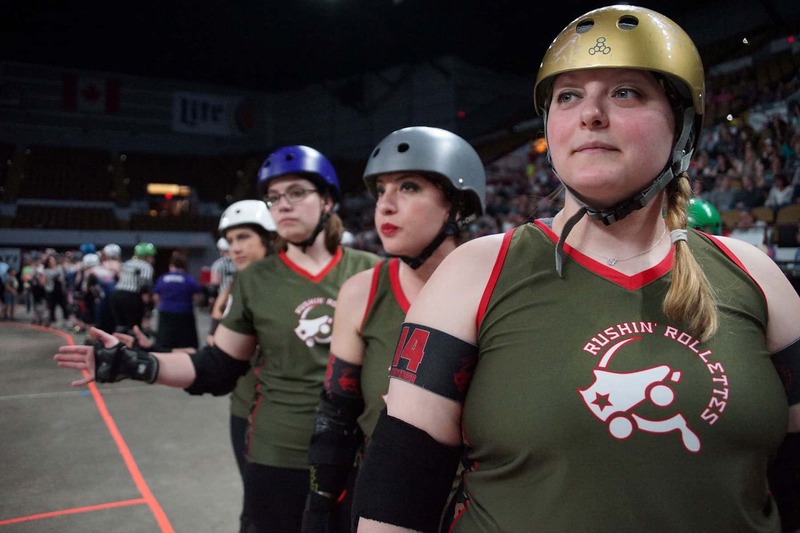 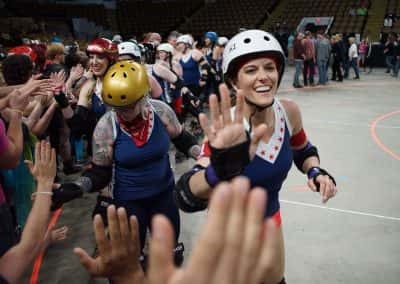 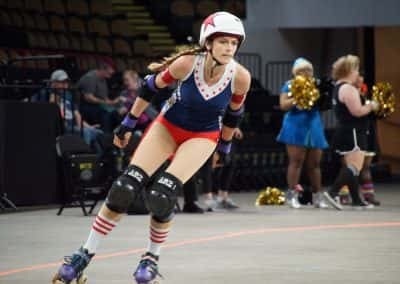 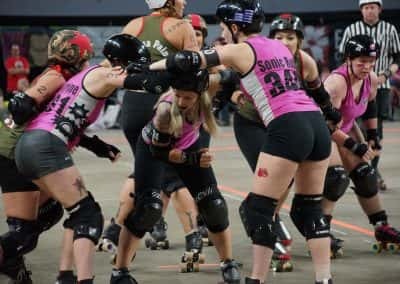 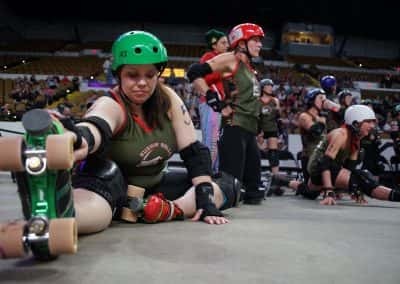 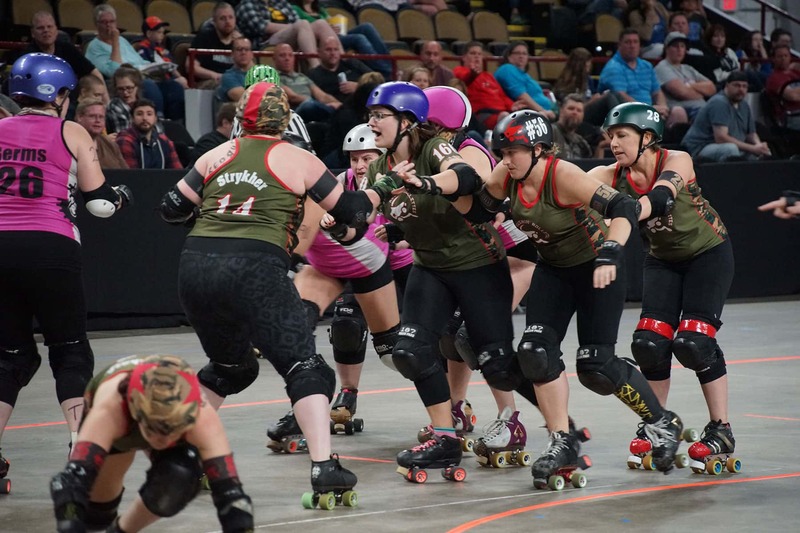 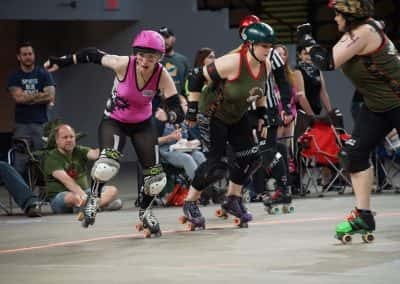 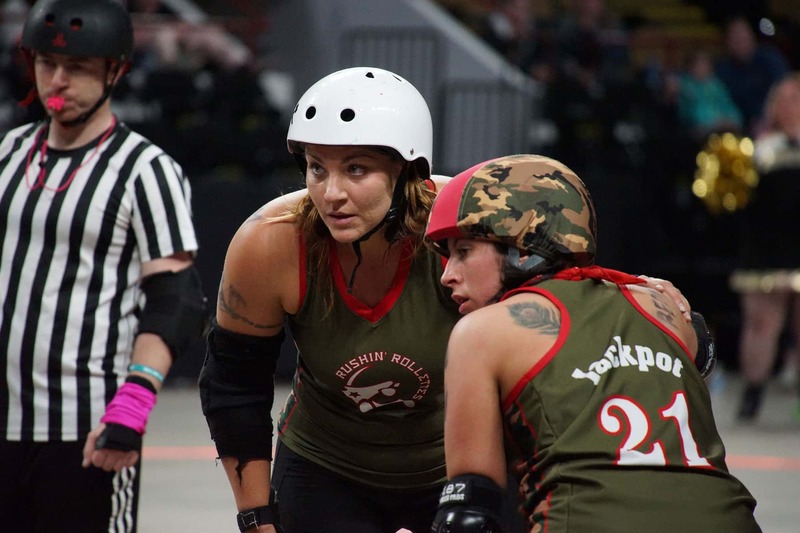 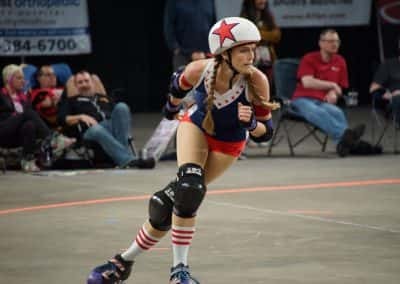 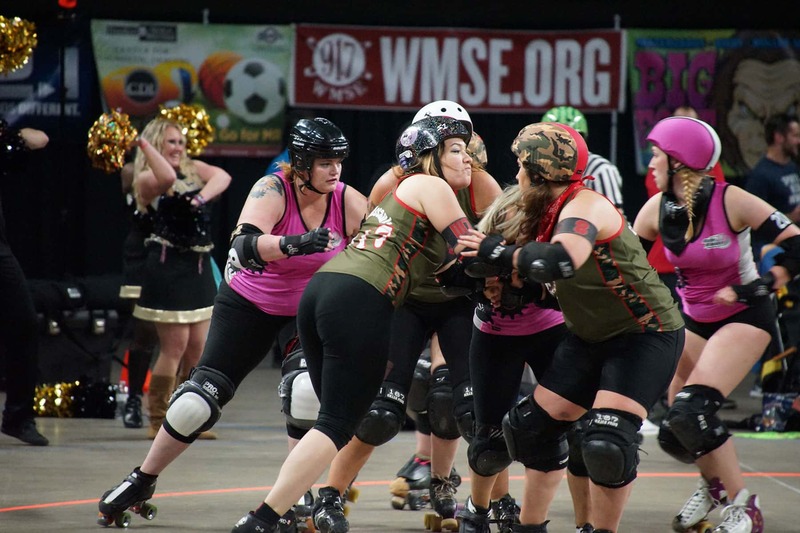 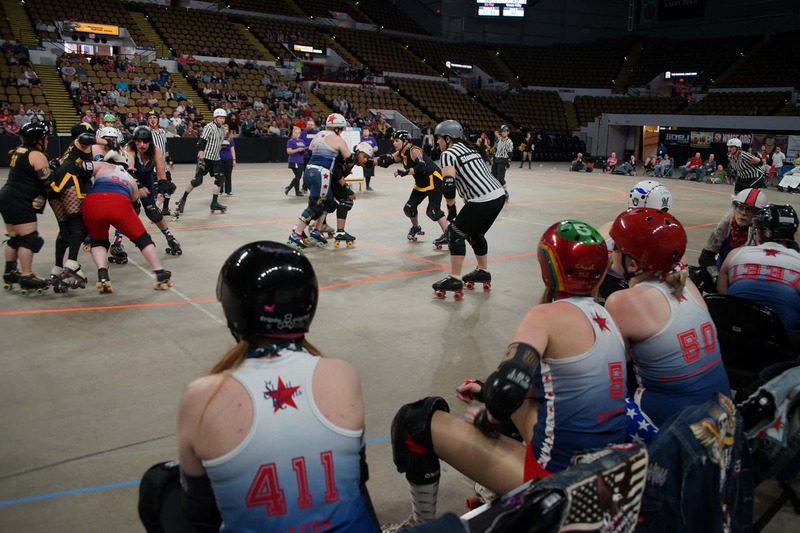 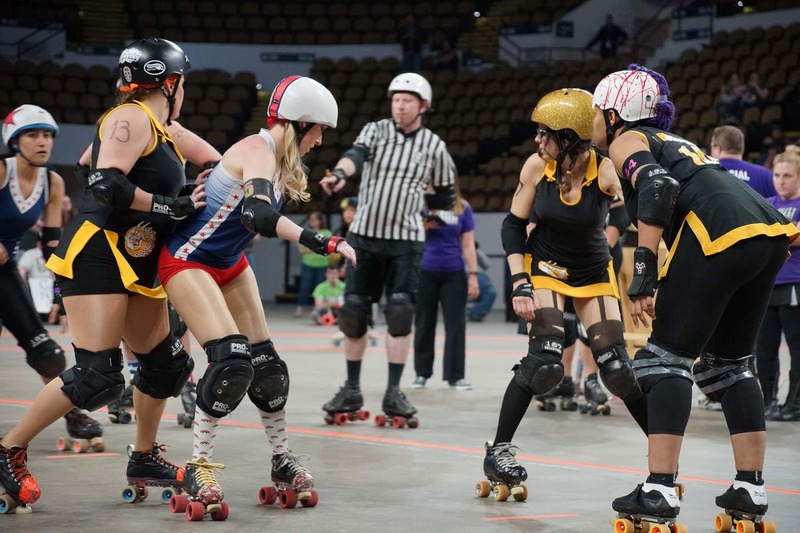 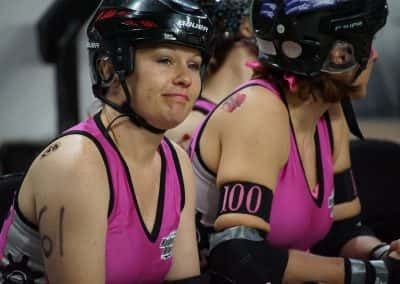 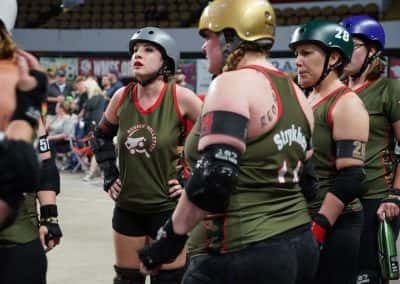 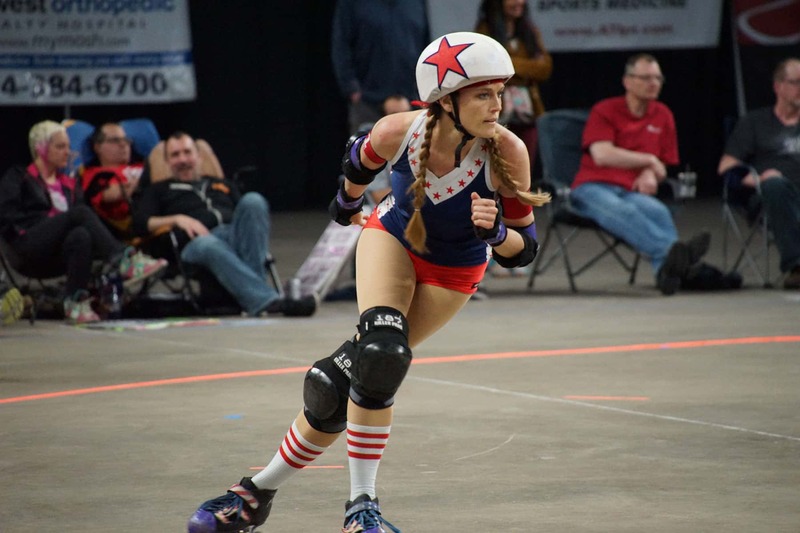 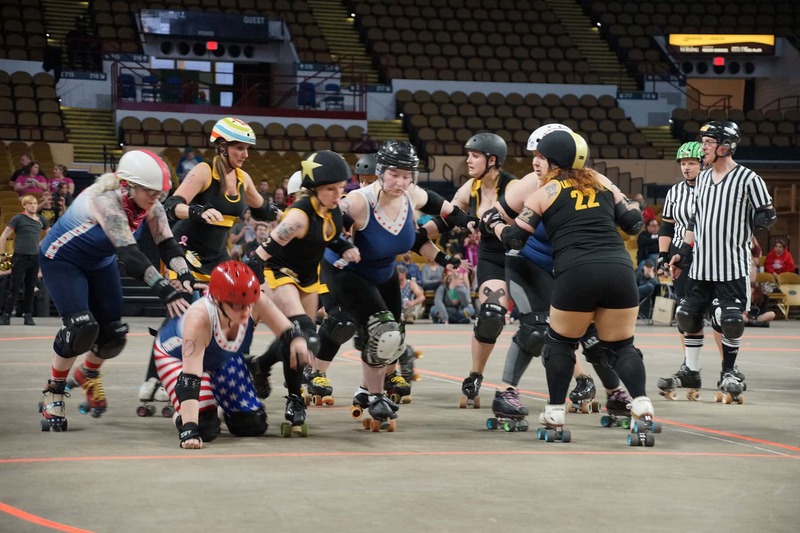 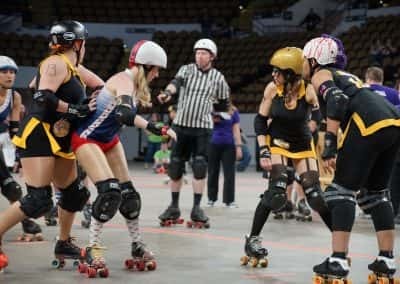 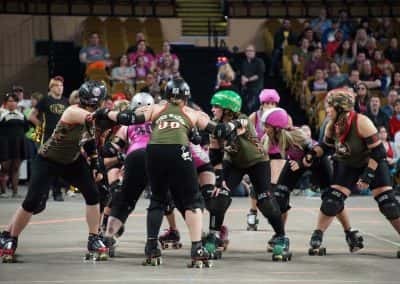 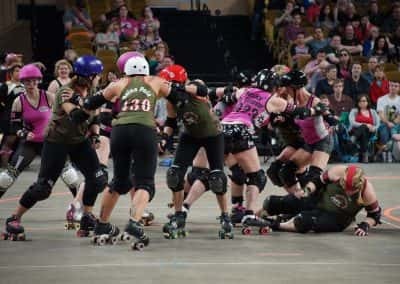 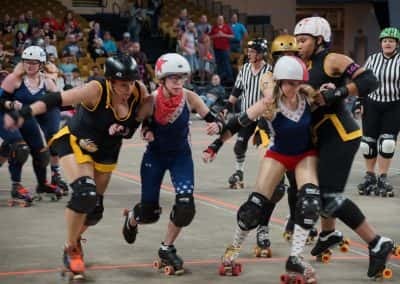 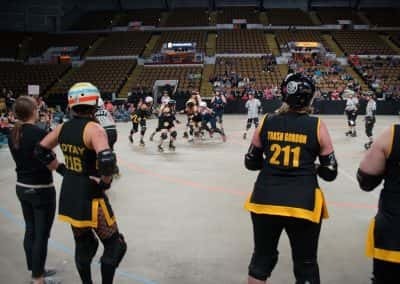 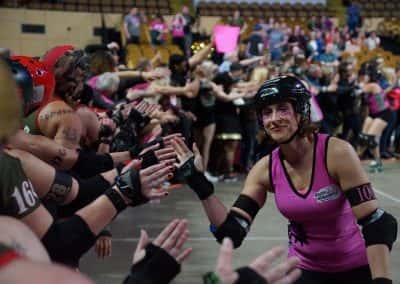 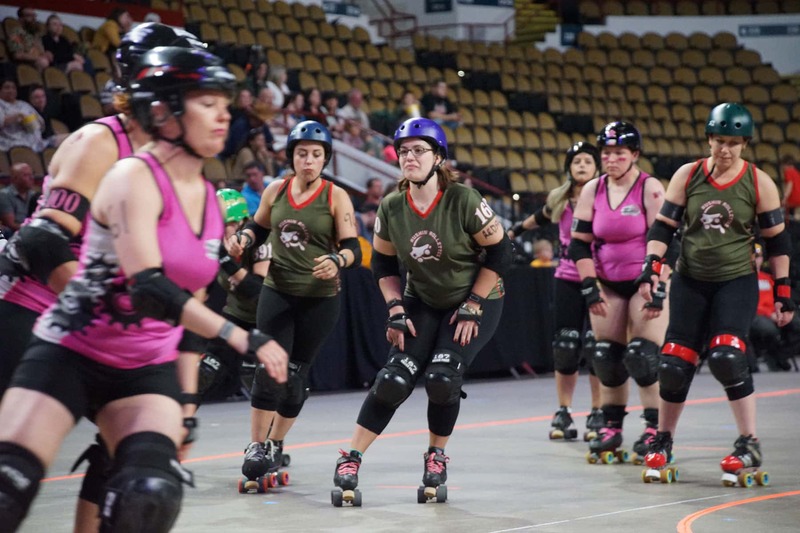 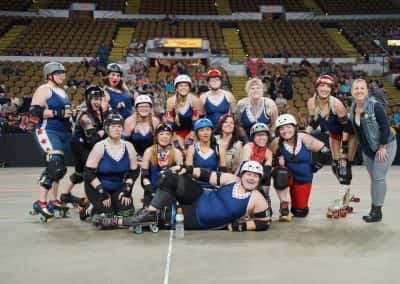 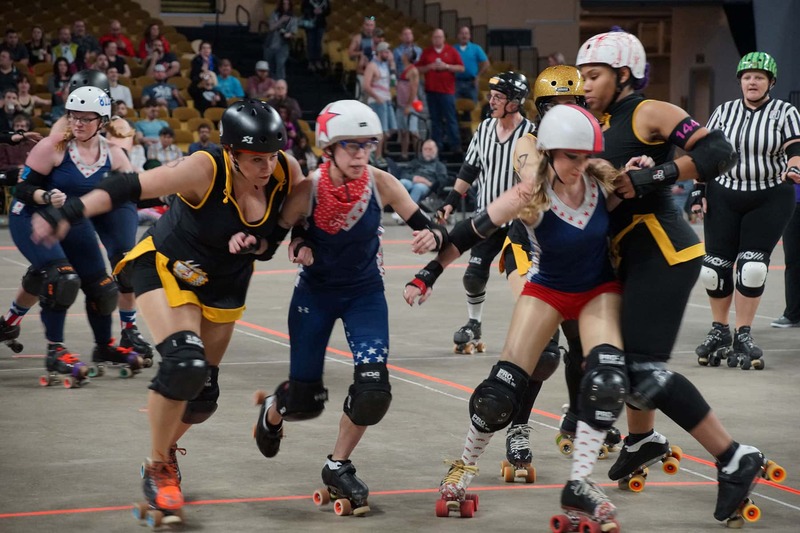 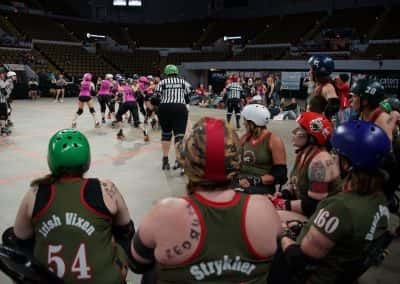 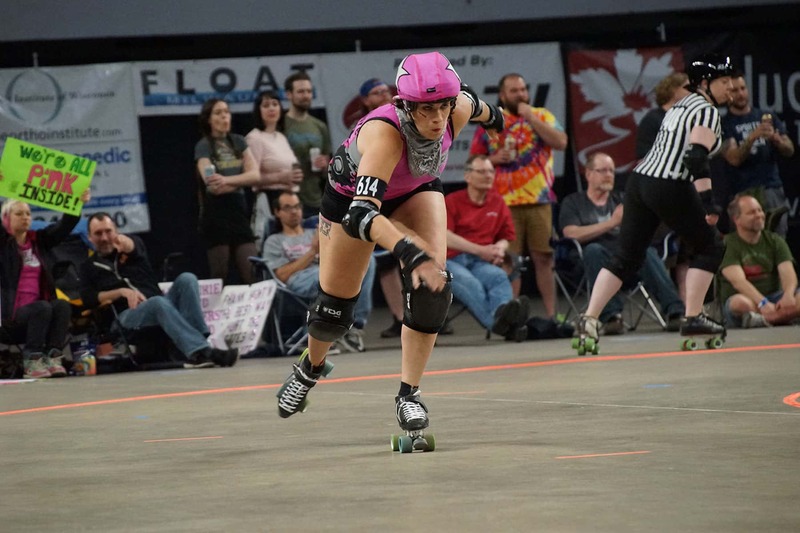 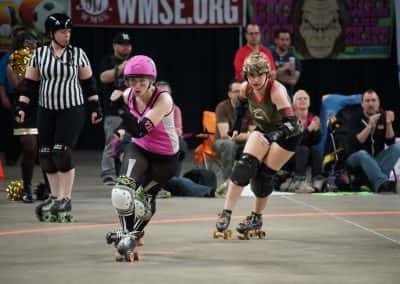 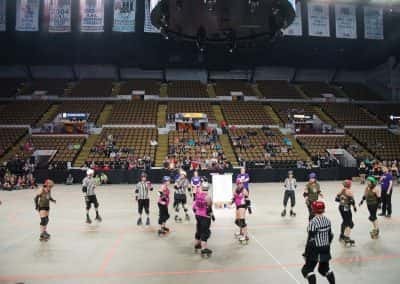 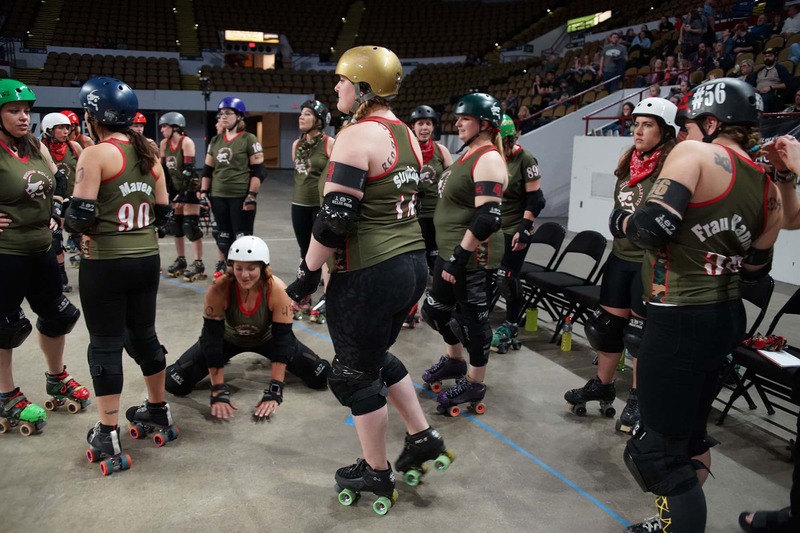 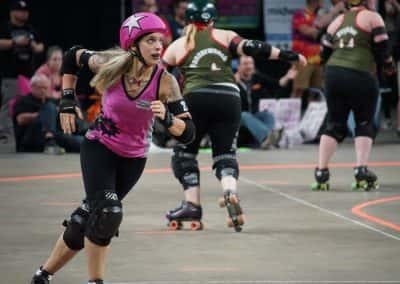 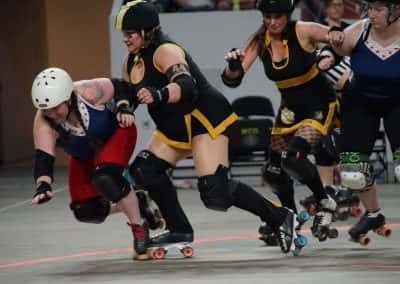 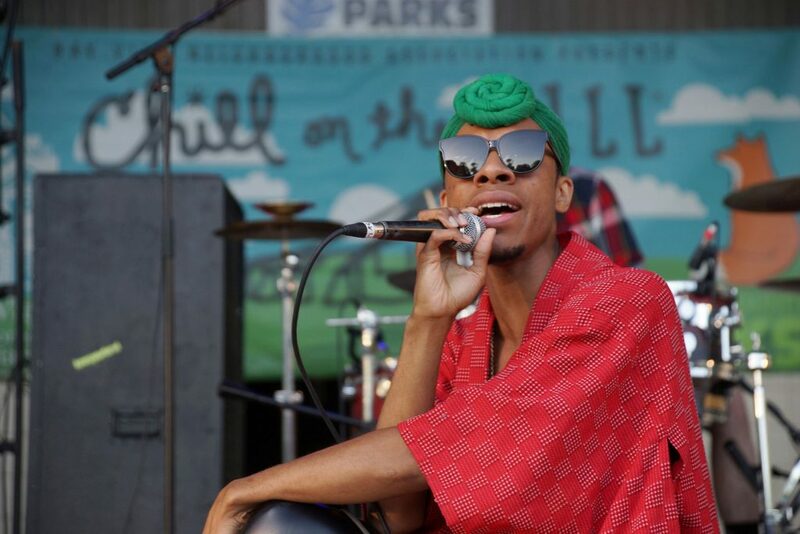 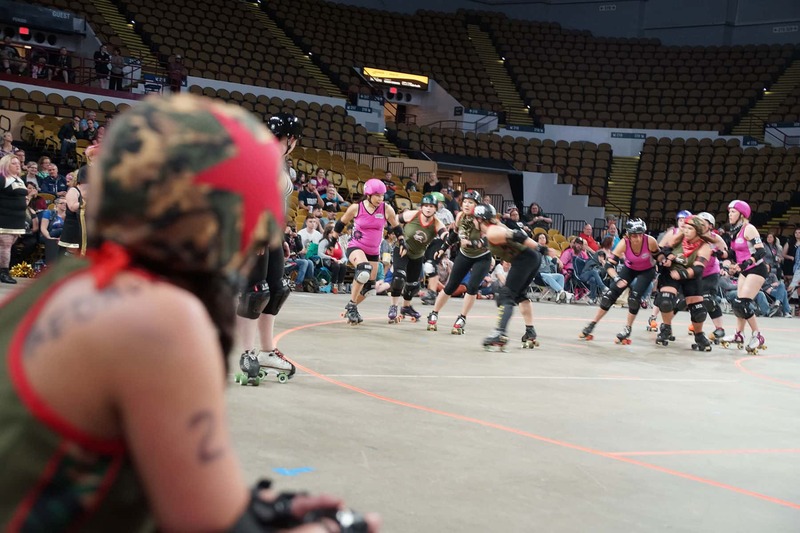 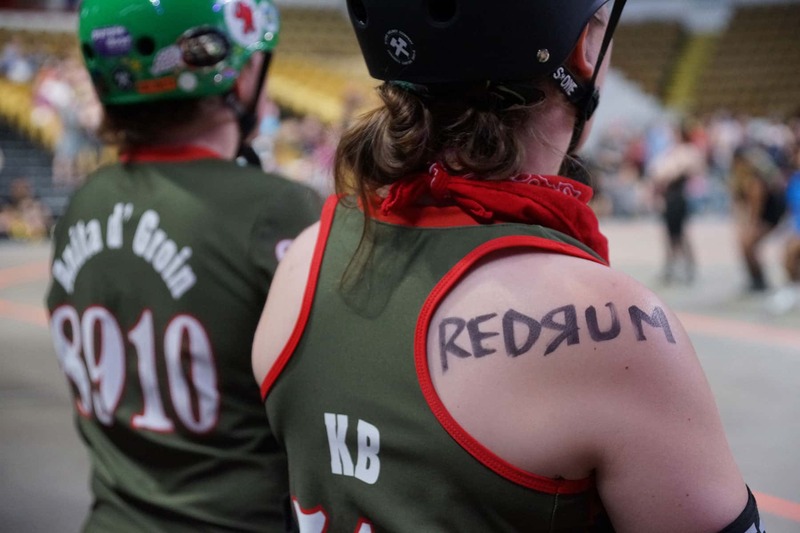 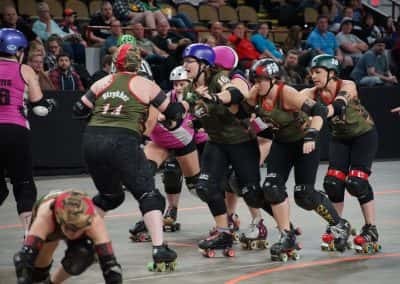 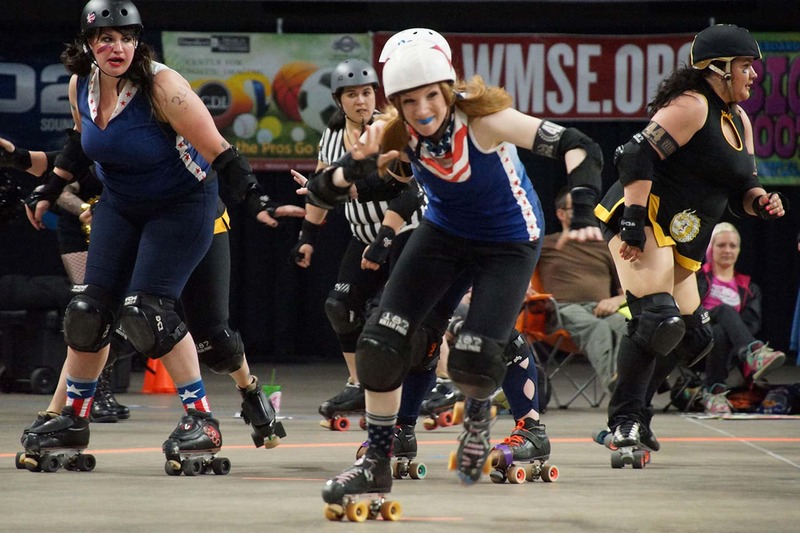 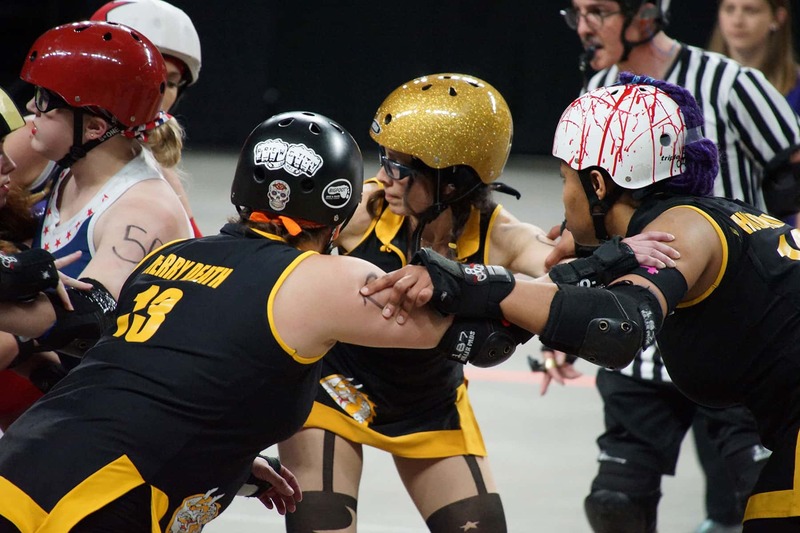 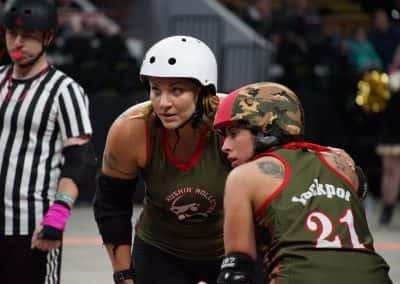 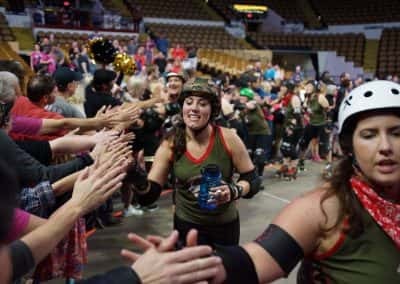 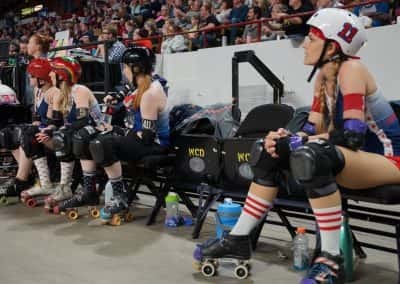 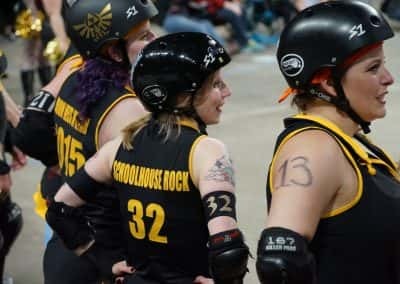 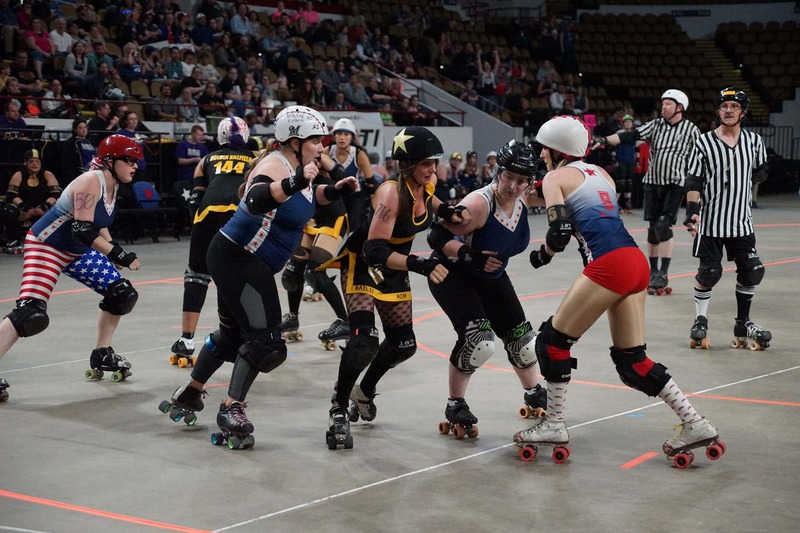 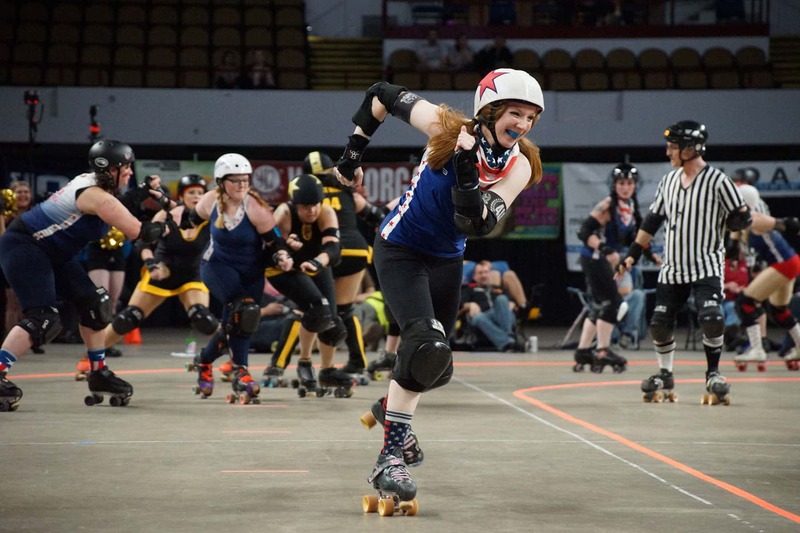 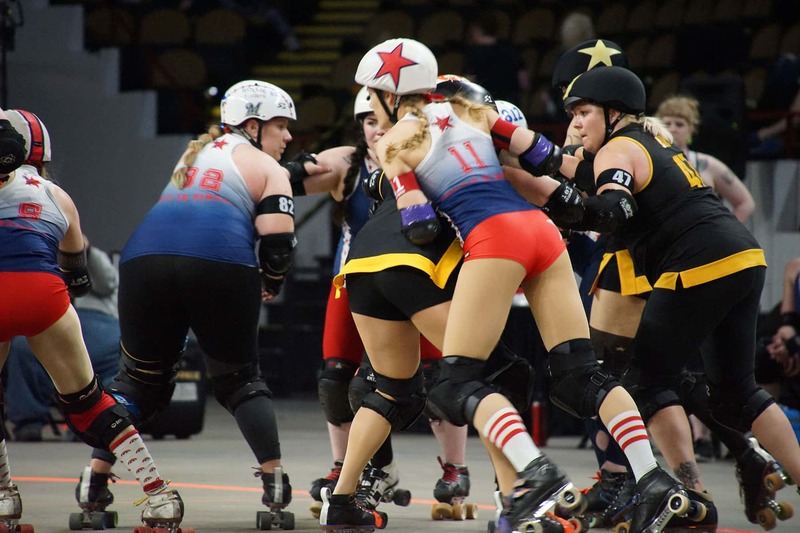 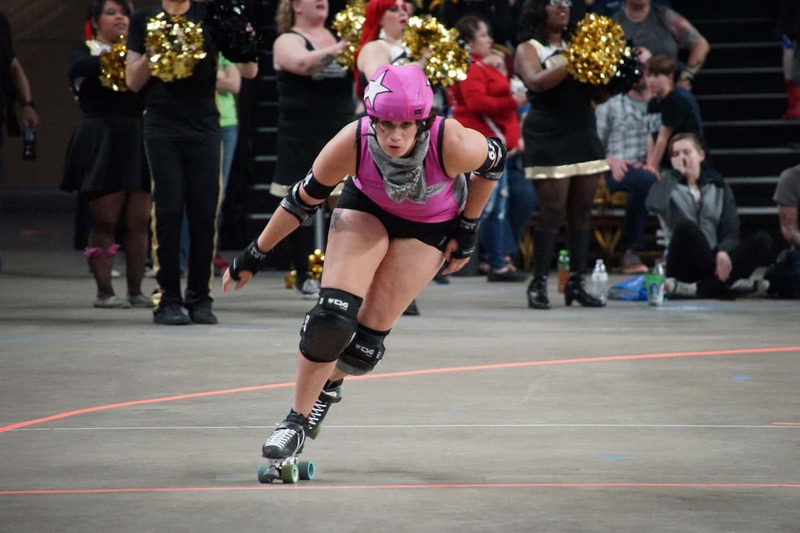 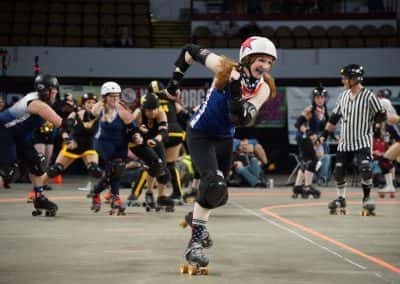 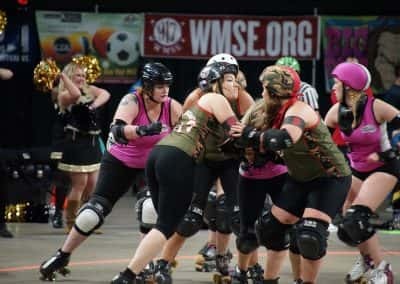 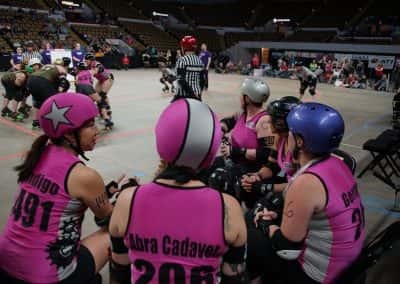 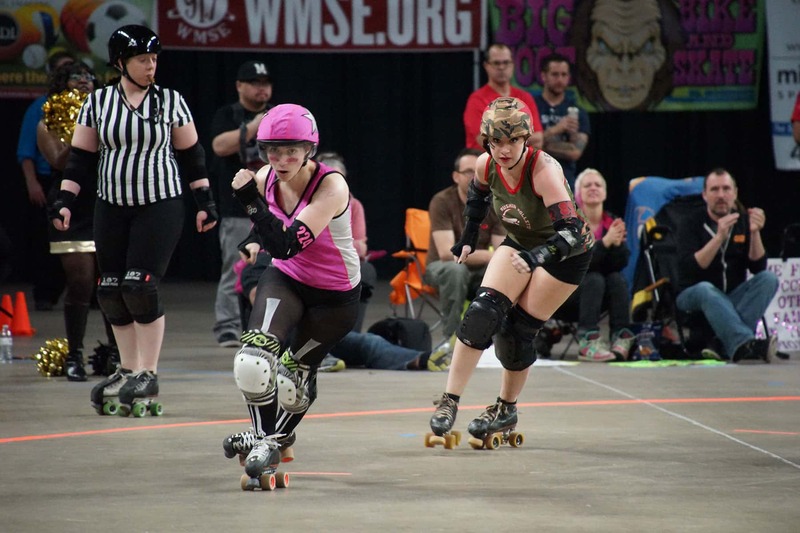 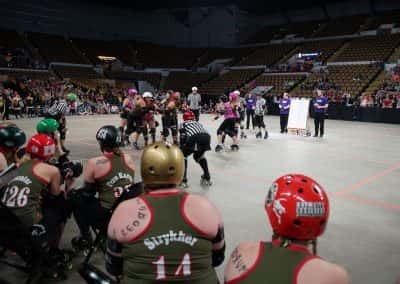 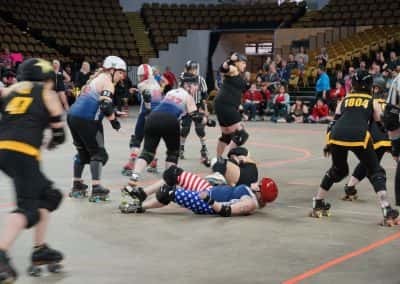 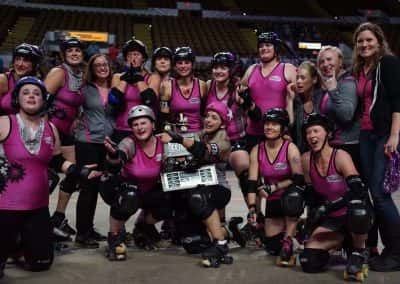 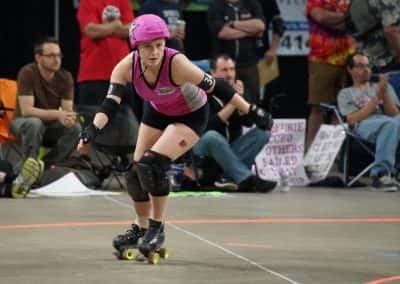 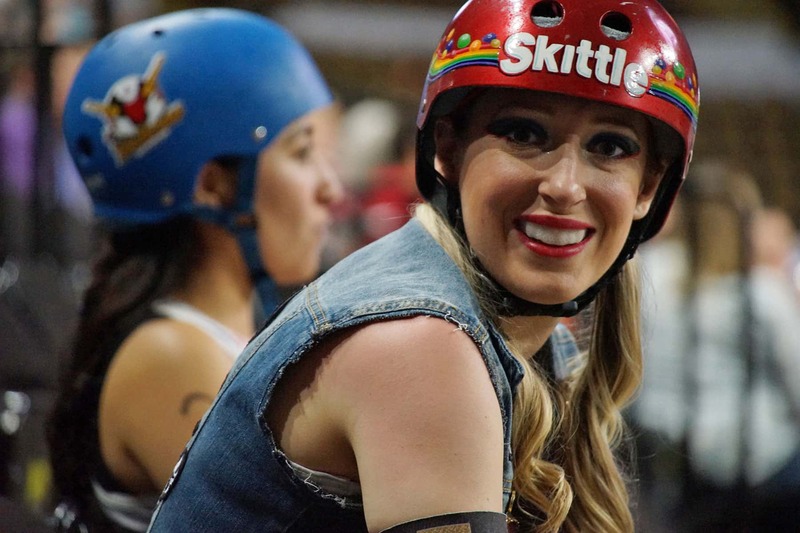 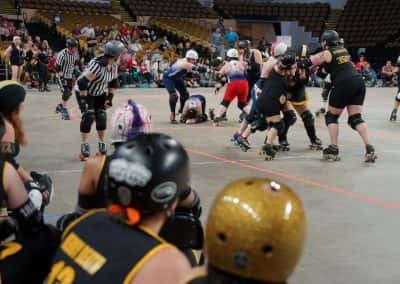 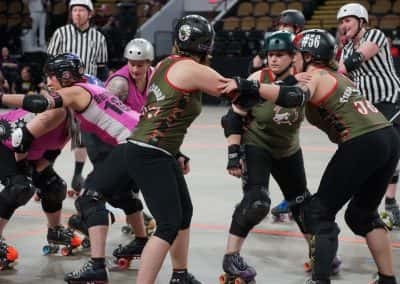 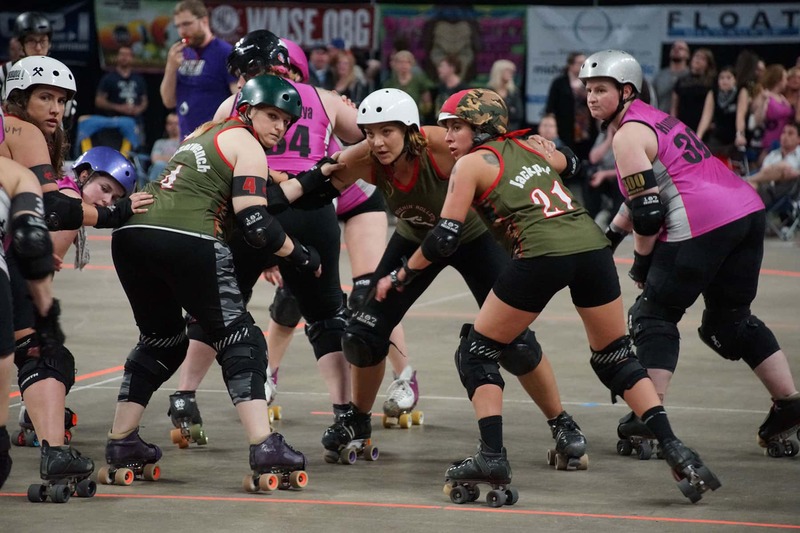 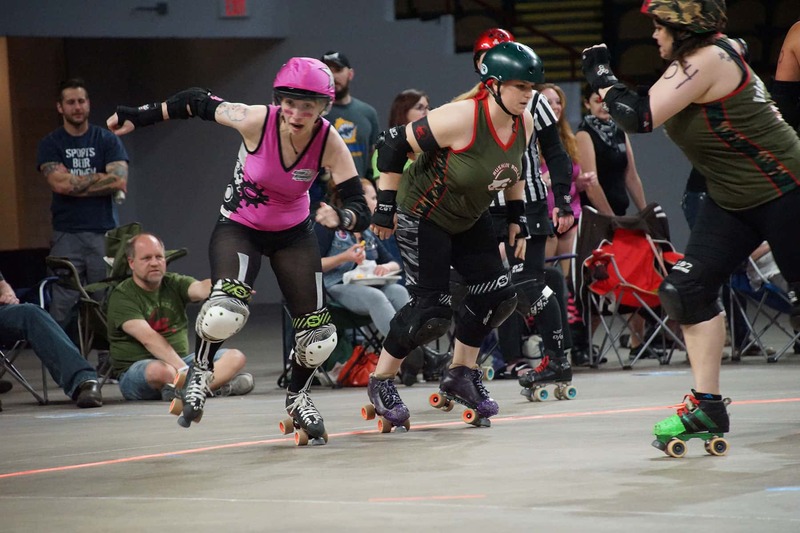 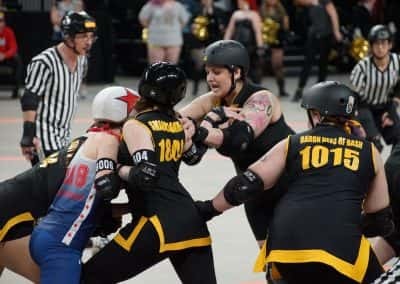 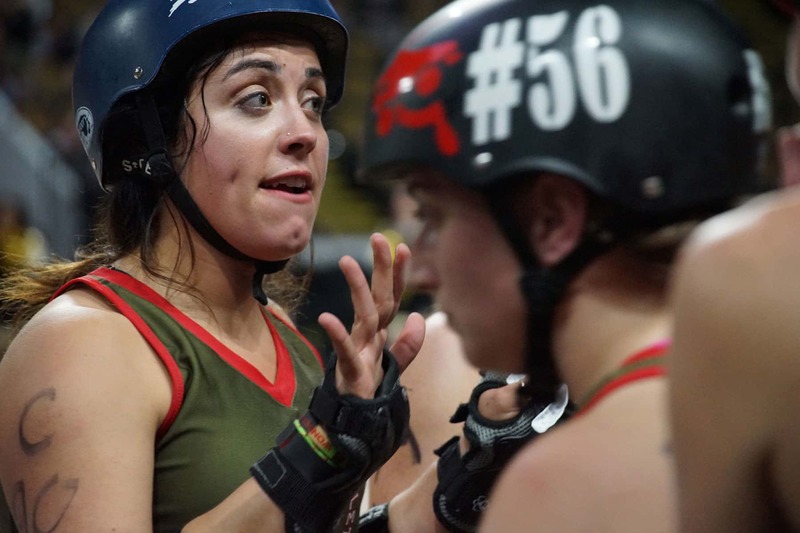 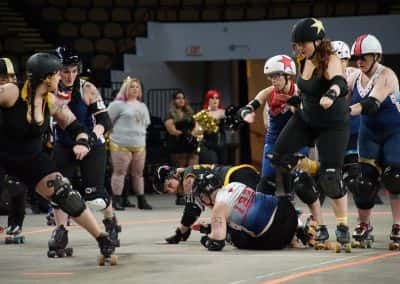 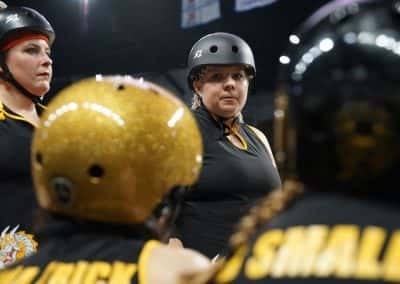 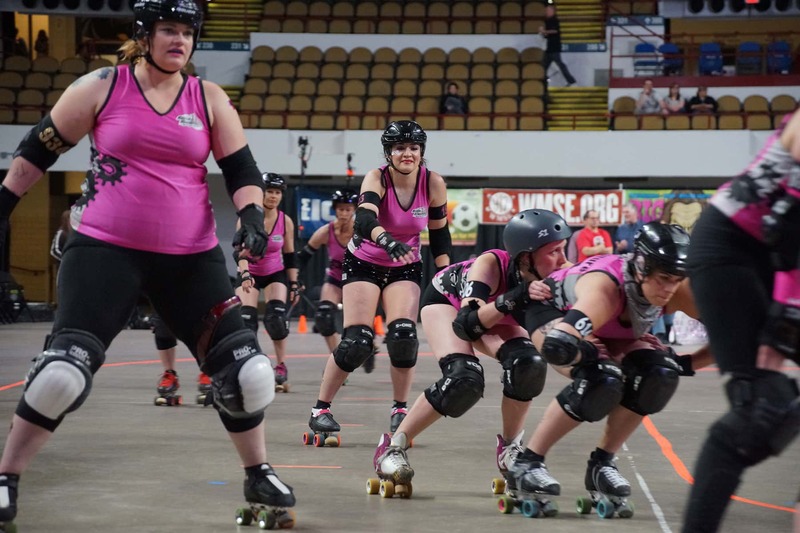 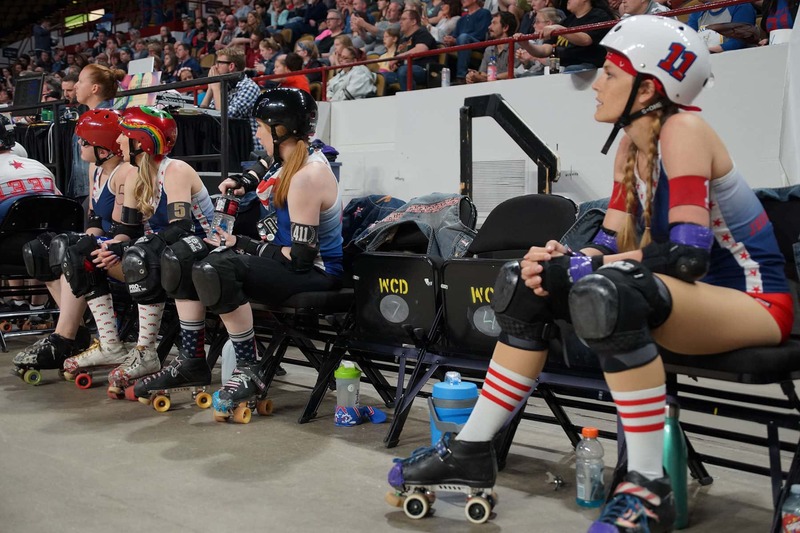 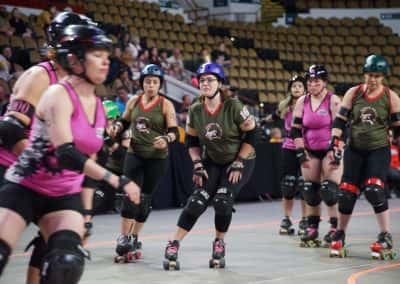 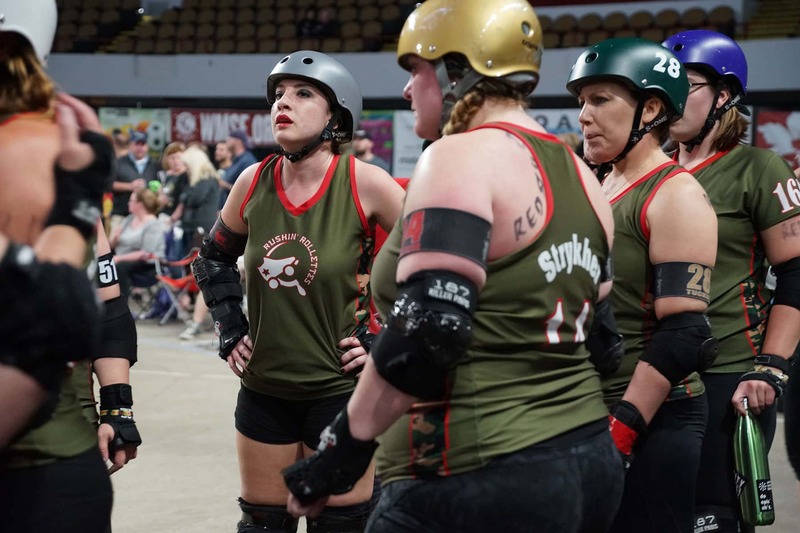 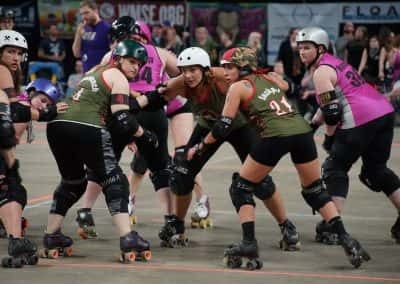 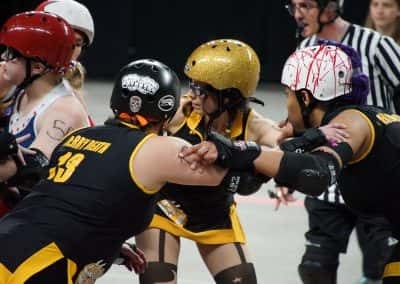 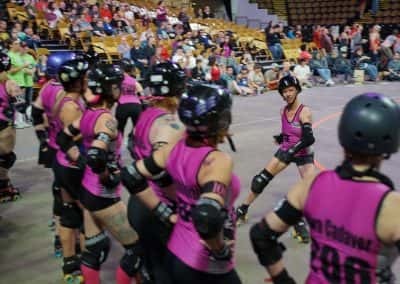 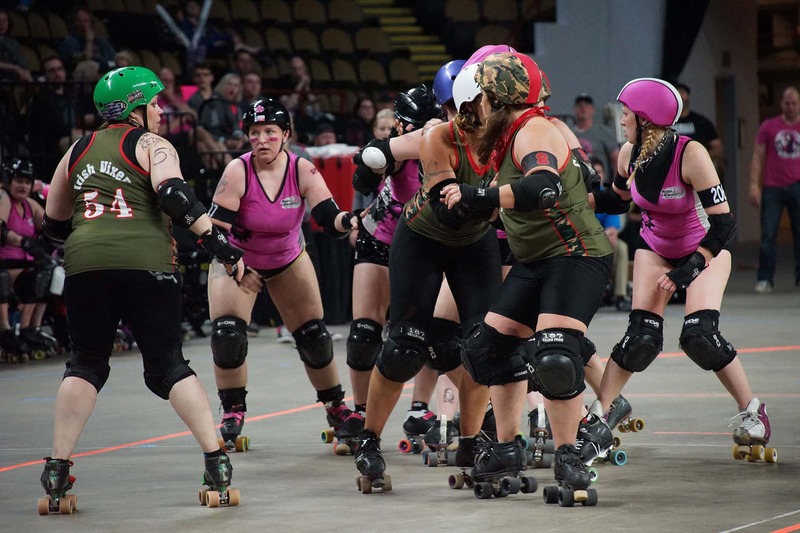 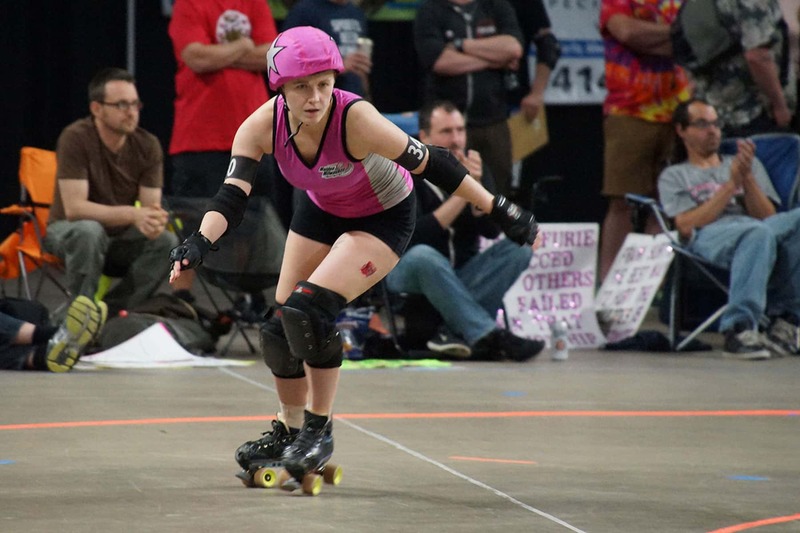 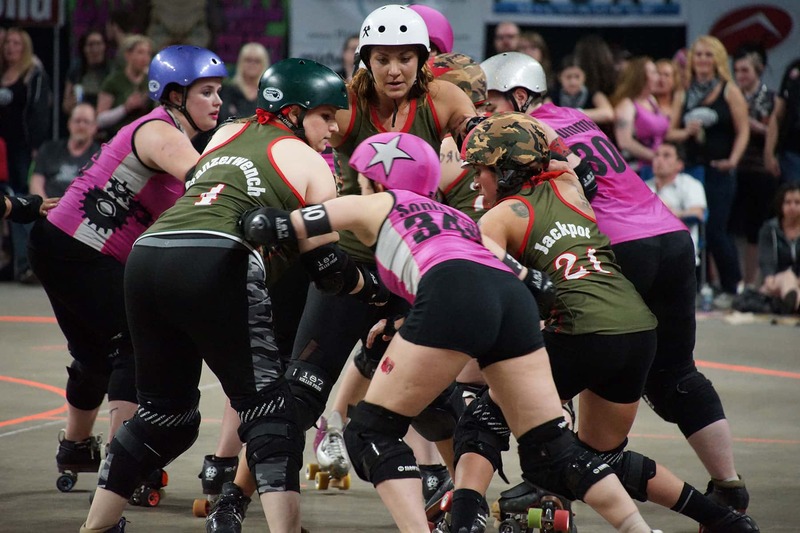 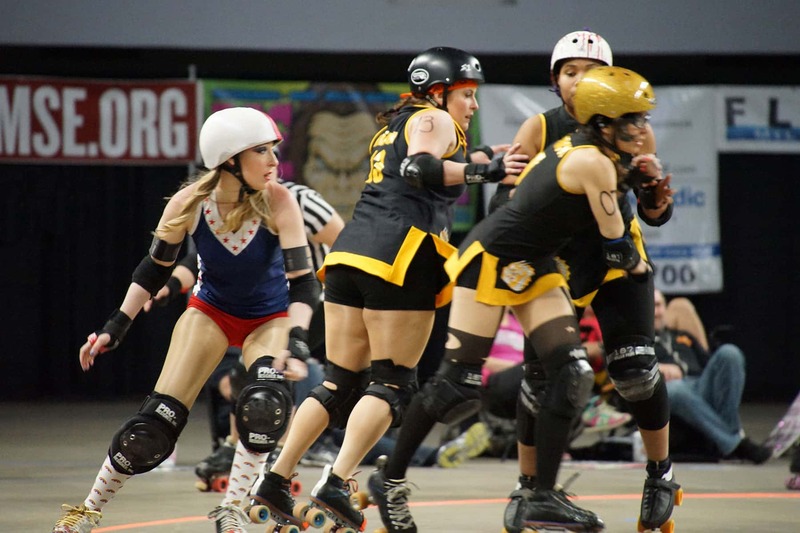 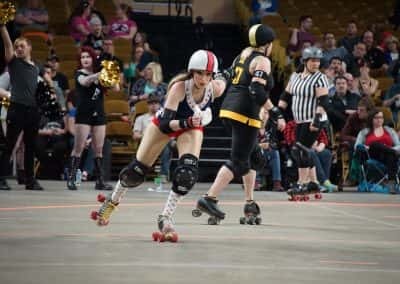 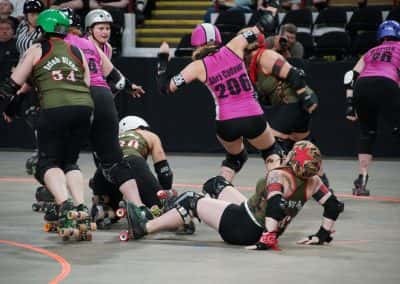 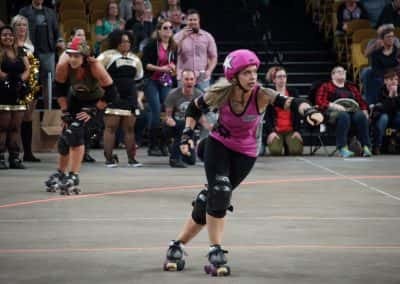 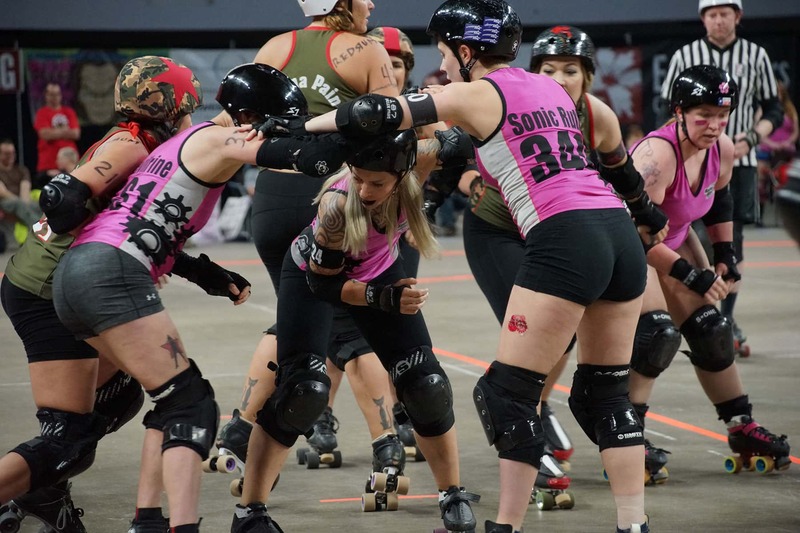 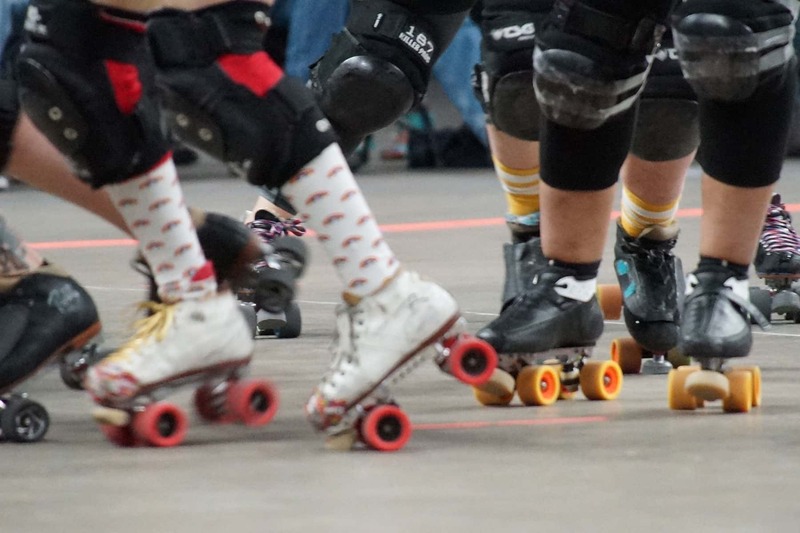 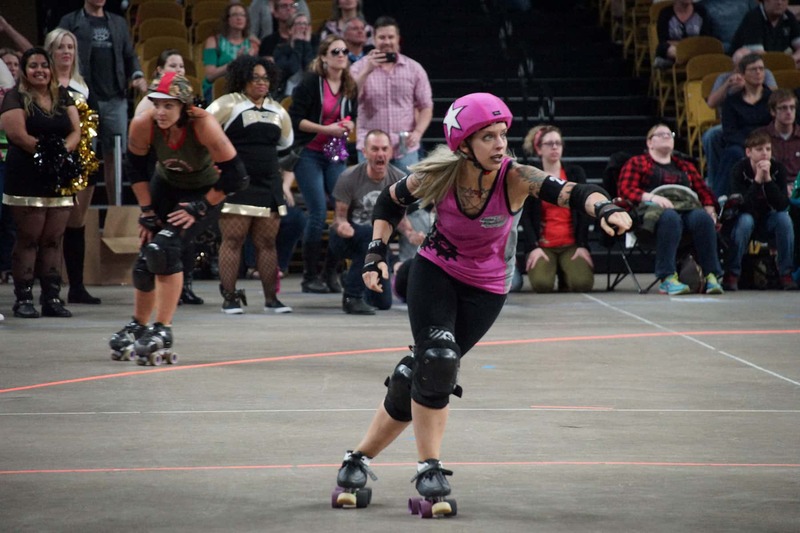 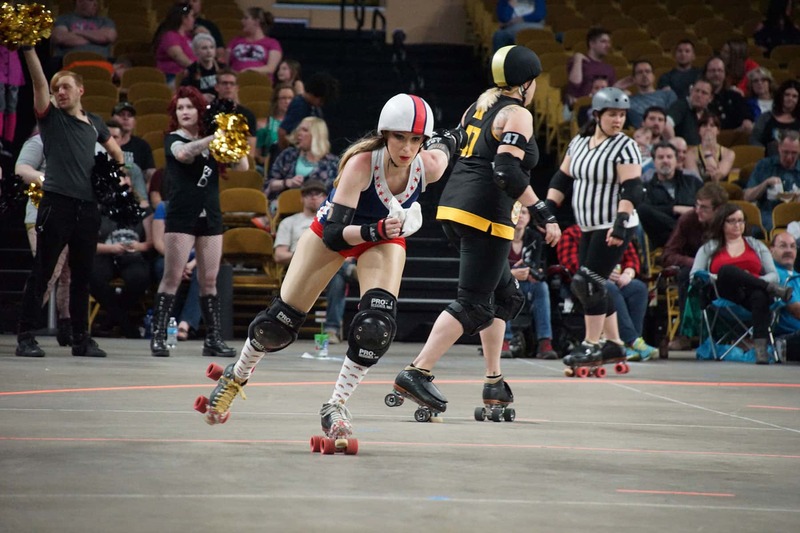 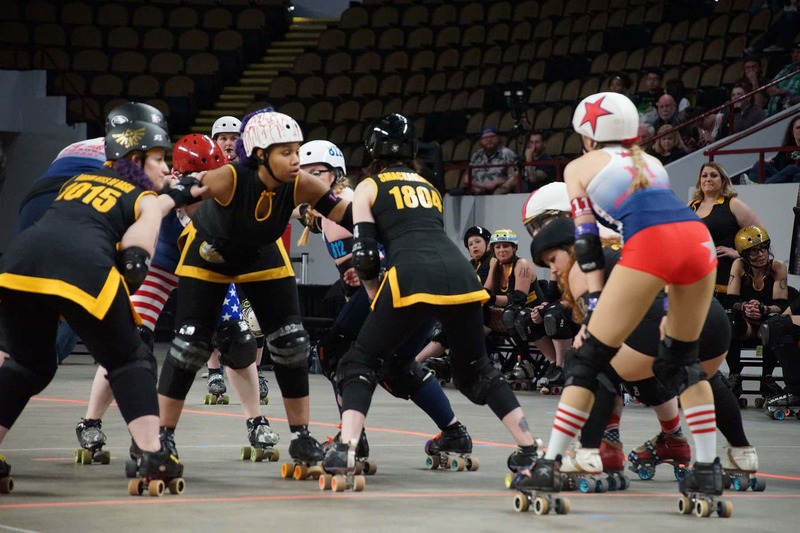 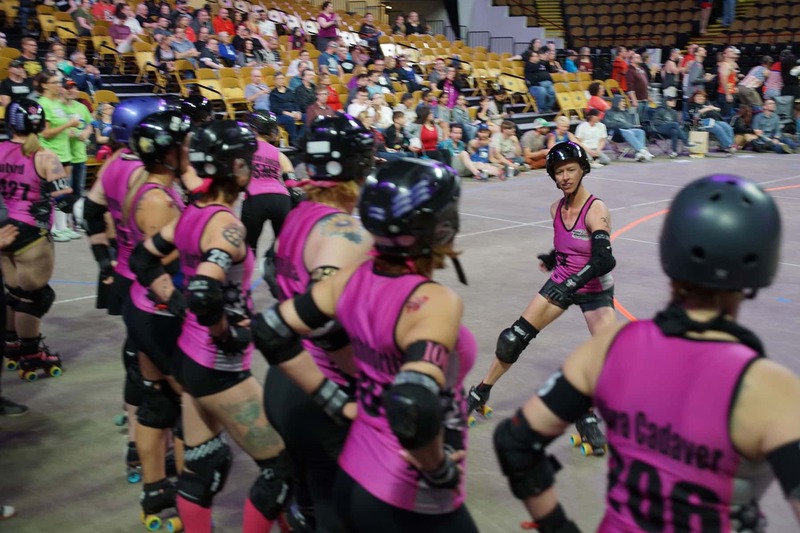 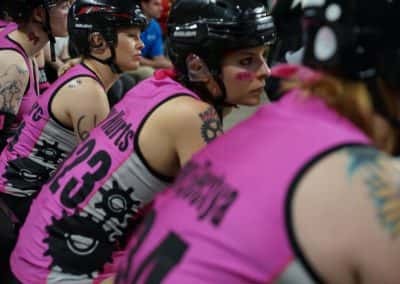 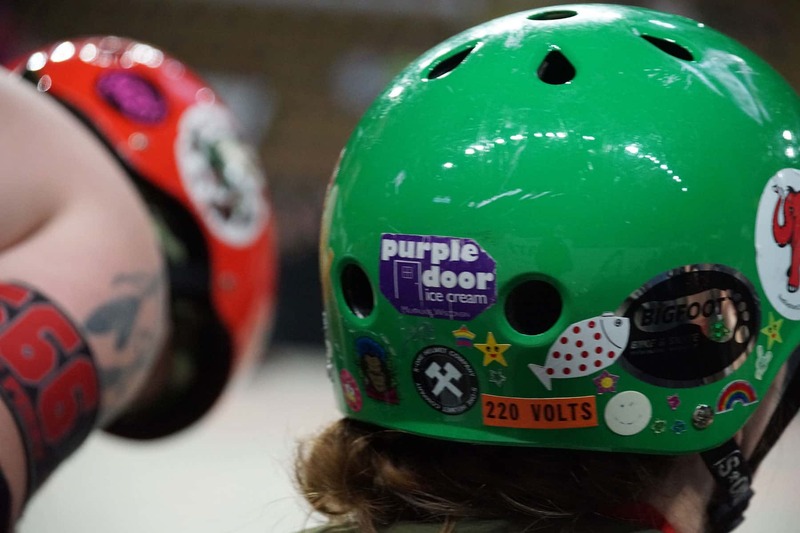 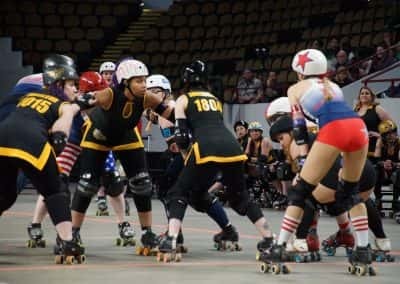 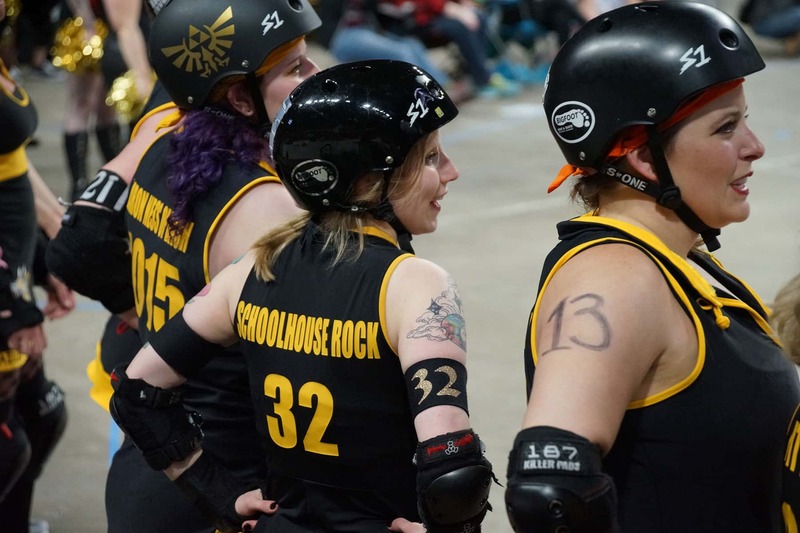 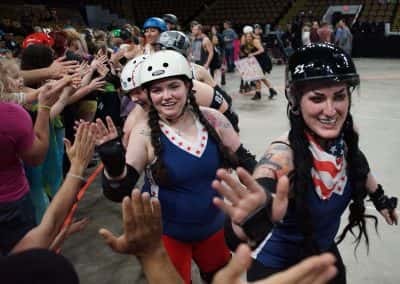 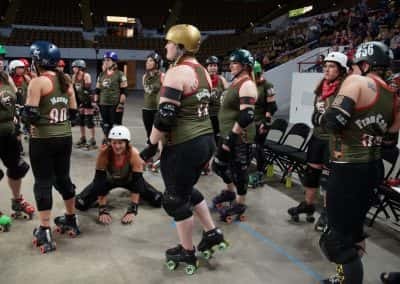 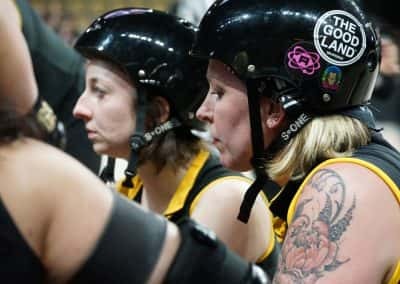 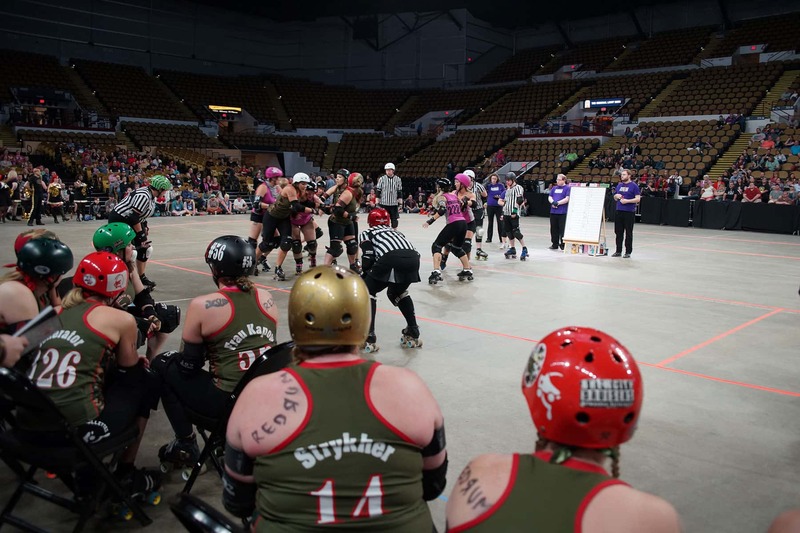 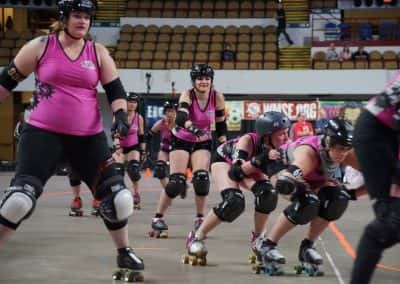 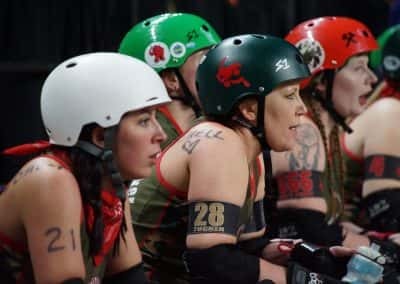 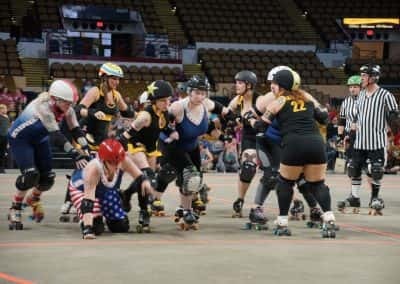 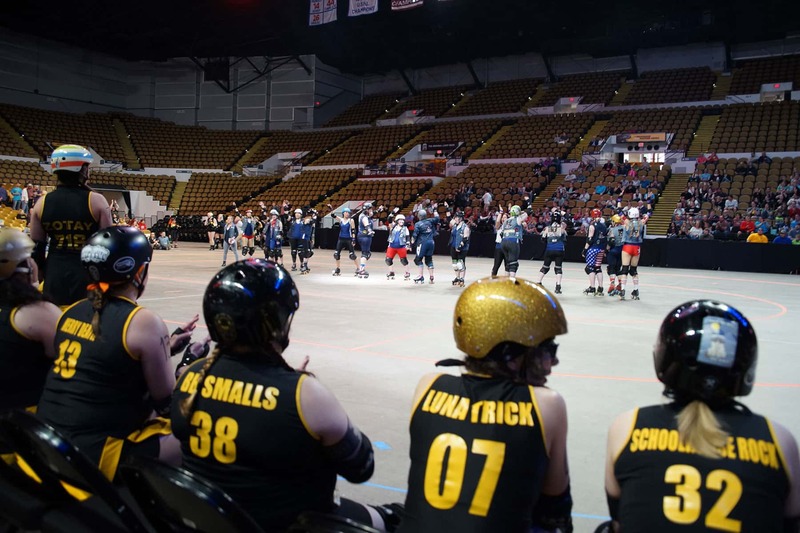 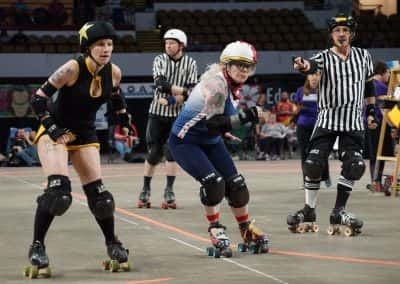 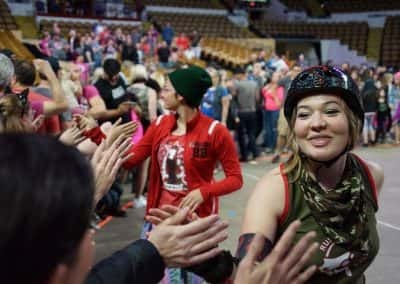 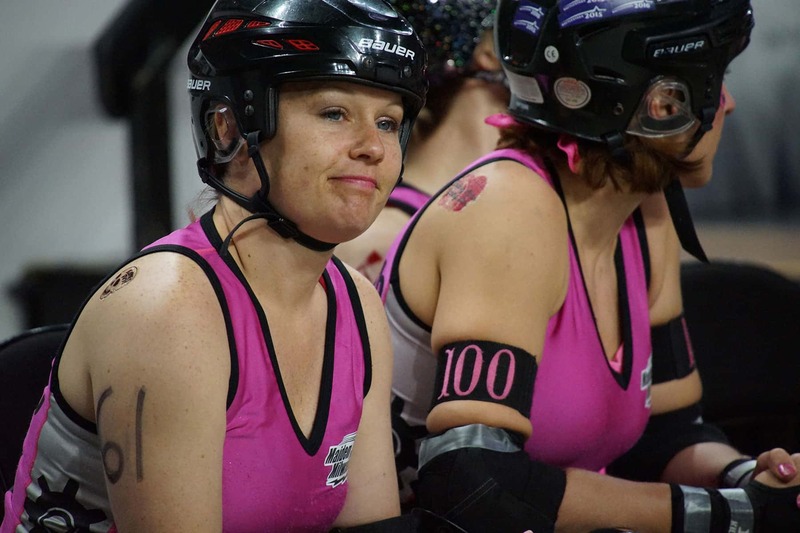 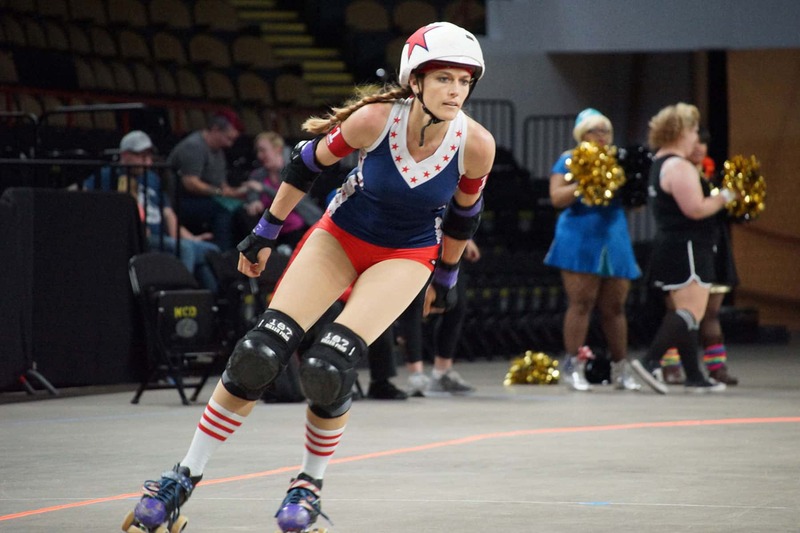 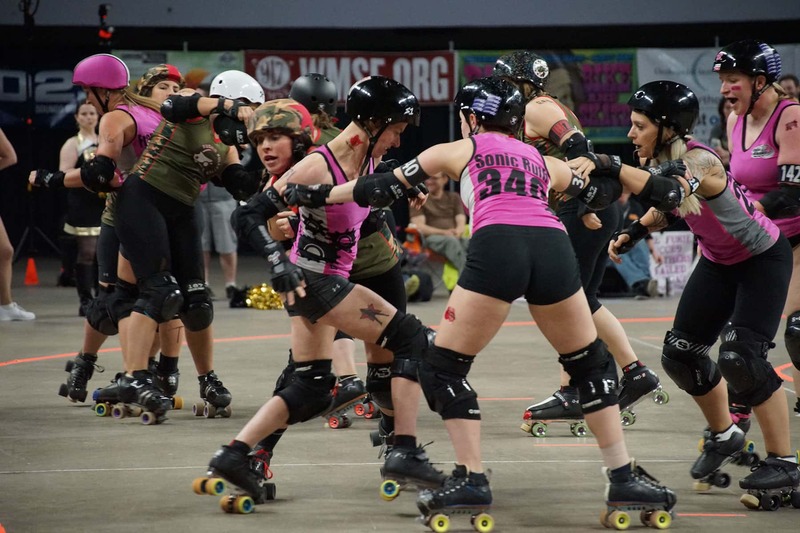 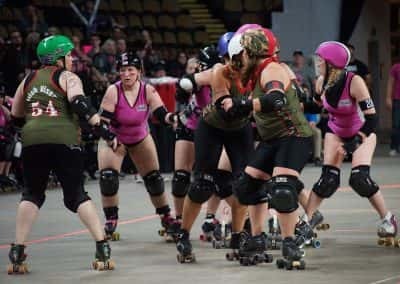 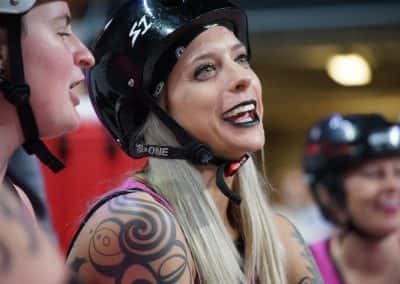 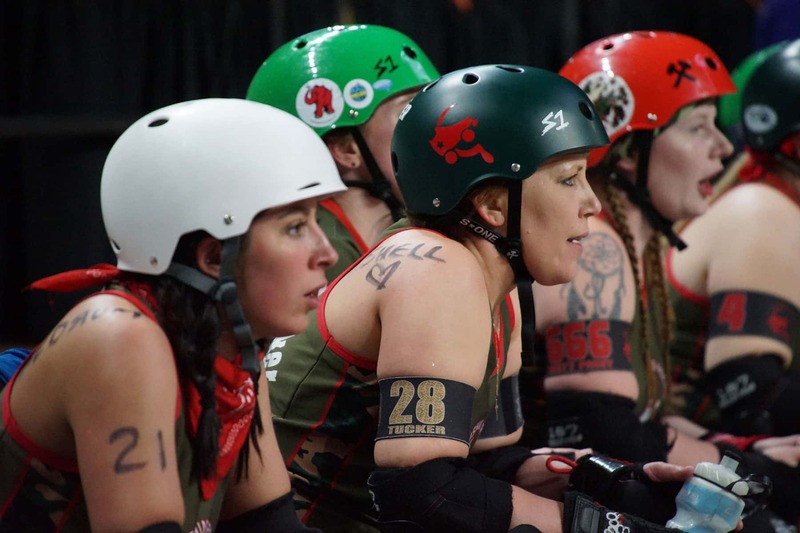 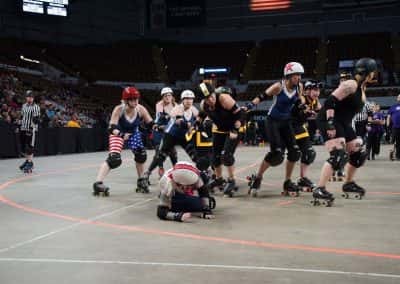 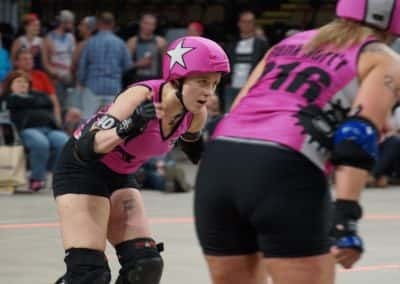 That included continuous practices, and organizing their packs into a defensive juggernaut that held back the Rollette jammers decisively, for just enough jams to keep the score close throughout the bout.